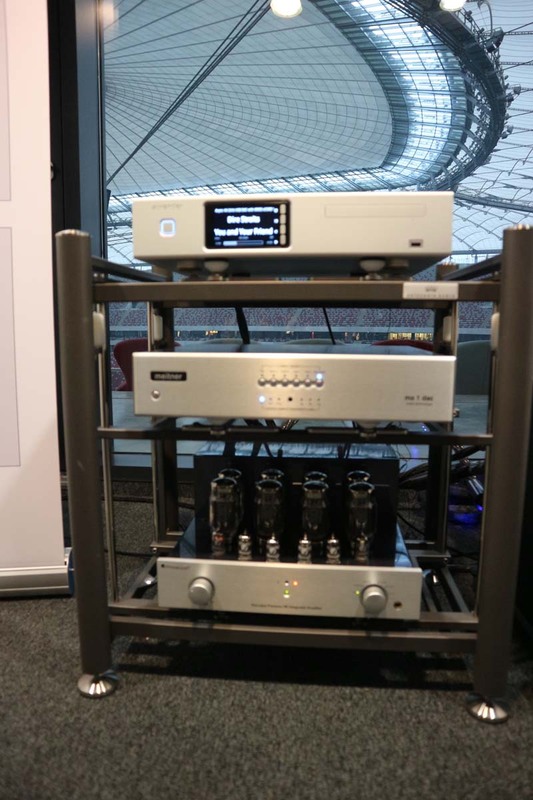 Now it’s over to the National Stadium in Warsaw for the final leg of the Audio Video Show 2018 and Hifi Pig’s last coverage of what was an absolutely fantastic show that we will certainly be back for next year. 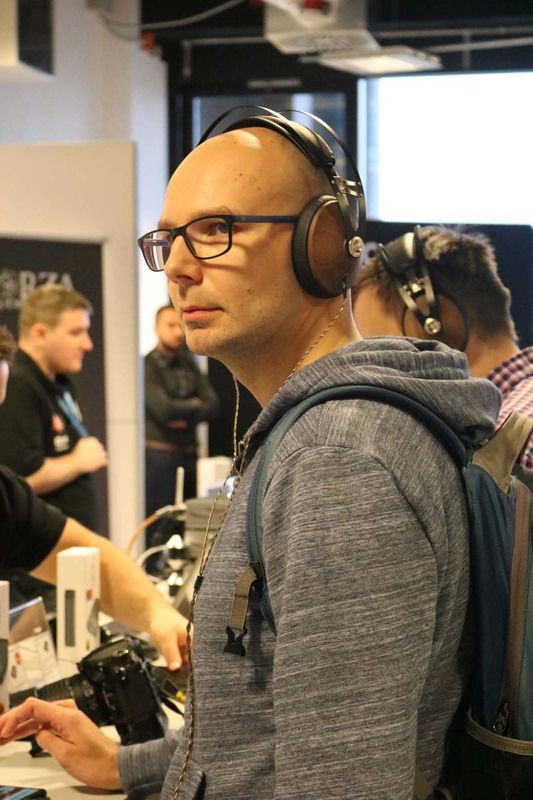 Congratulations to Adam and his team who have done a sterling job of organising the show, which is widely being touted as the best in Europe…and who are we to argue. 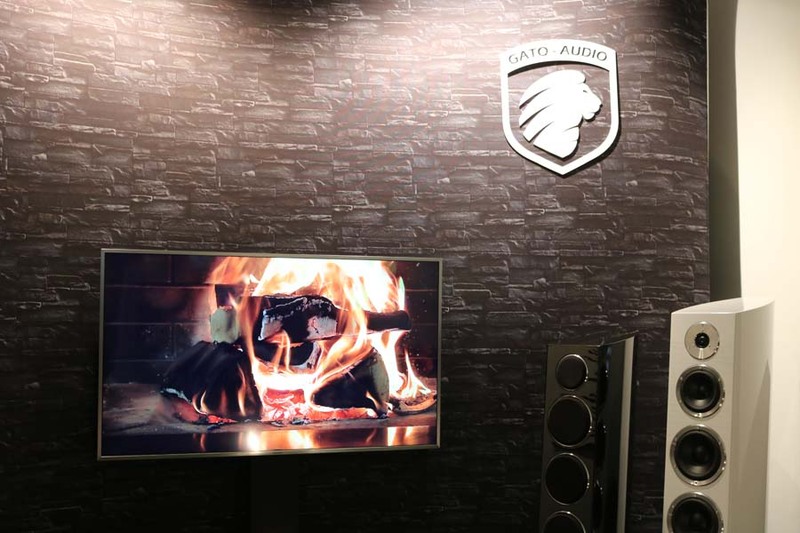 Gato Audio’s rooms are always stunningly simple and elegant…and of course they sound rather nice too. 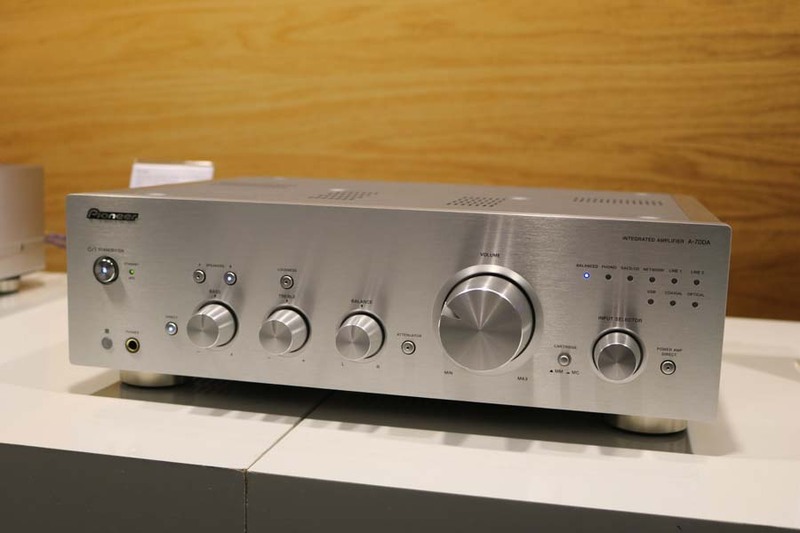 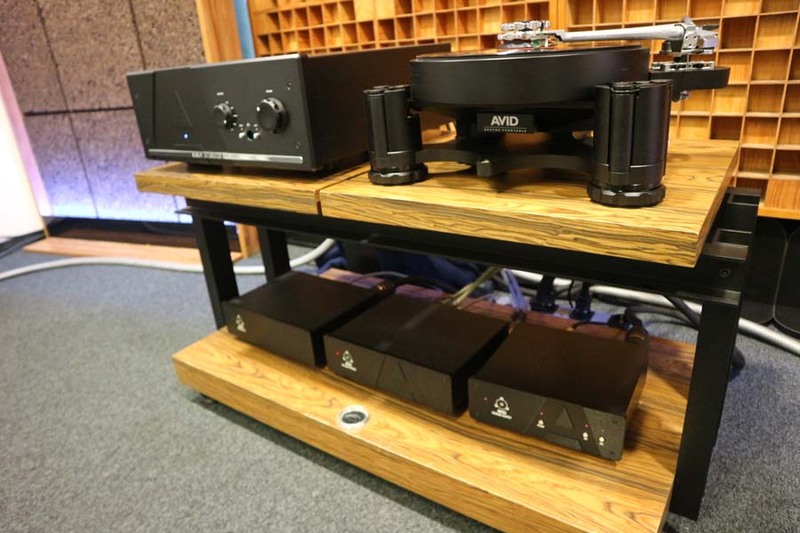 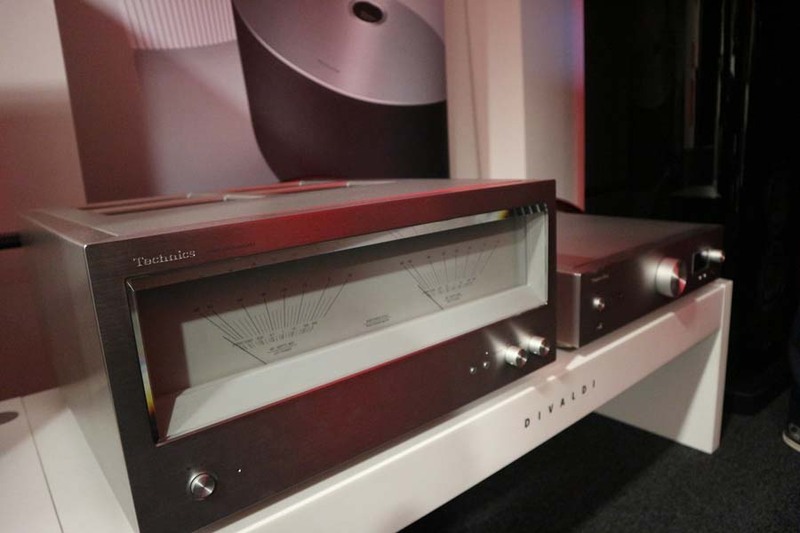 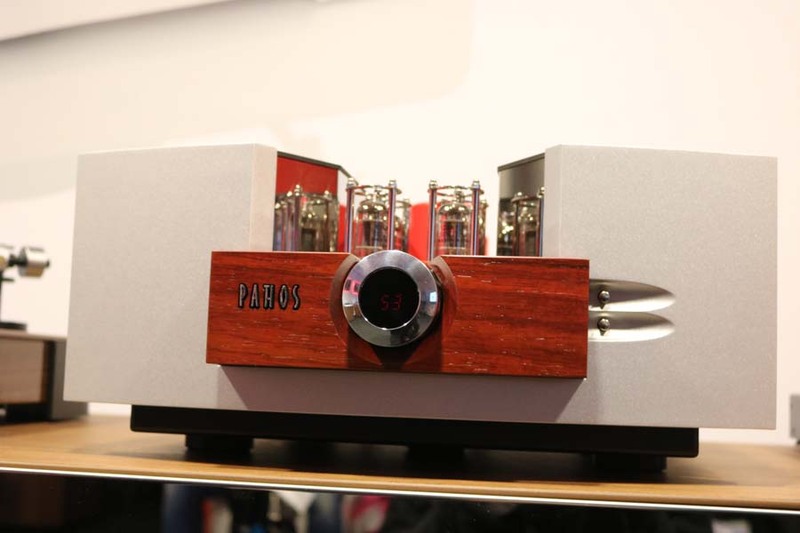 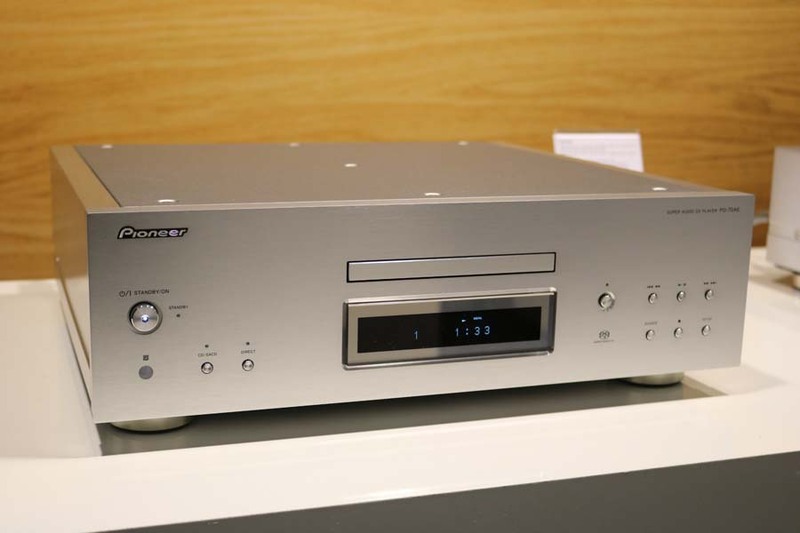 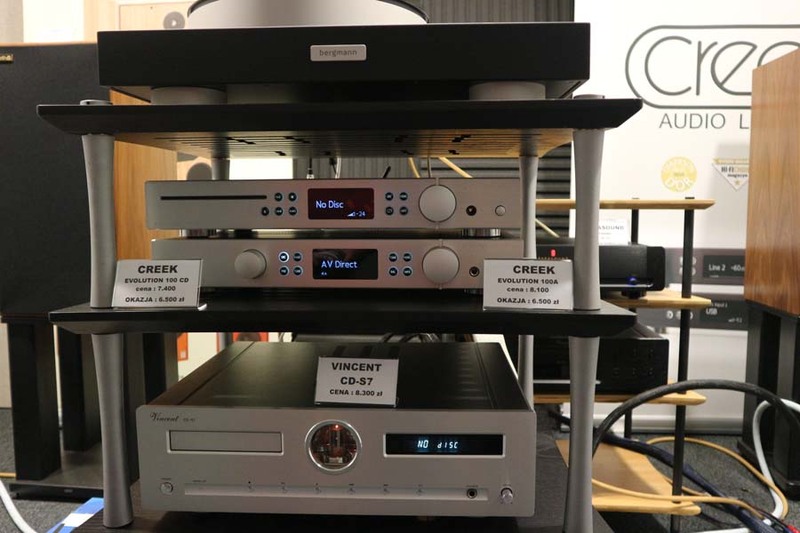 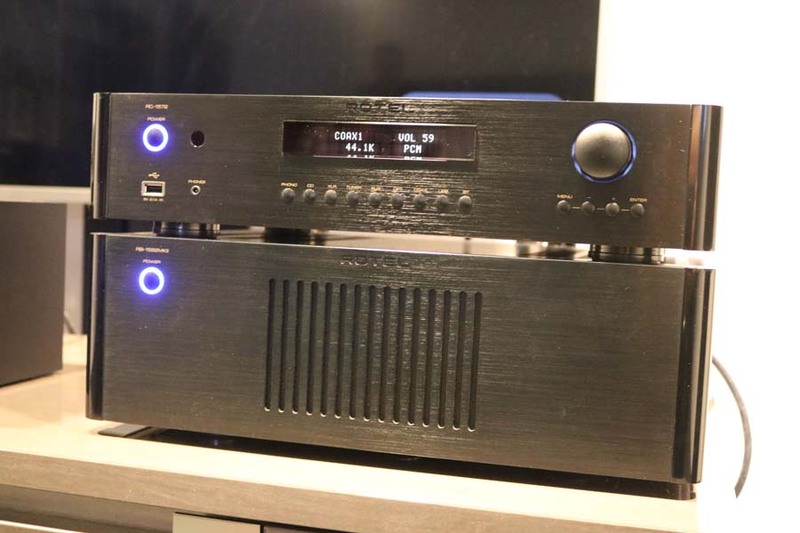 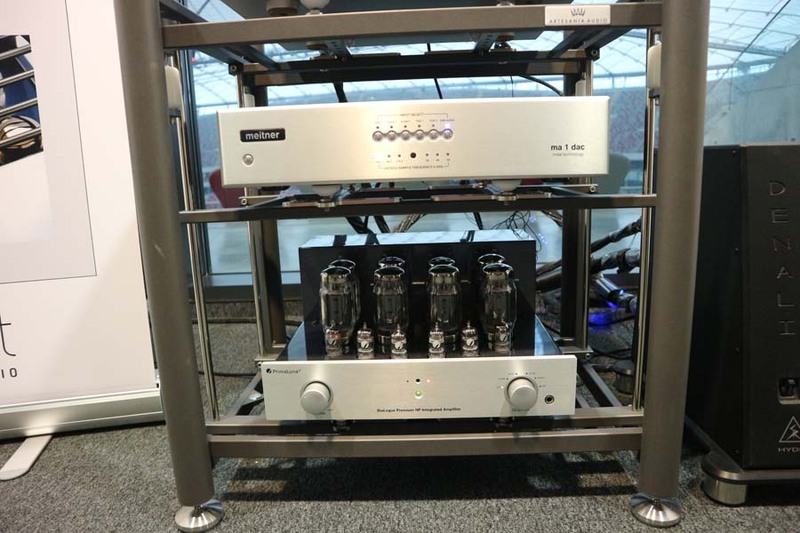 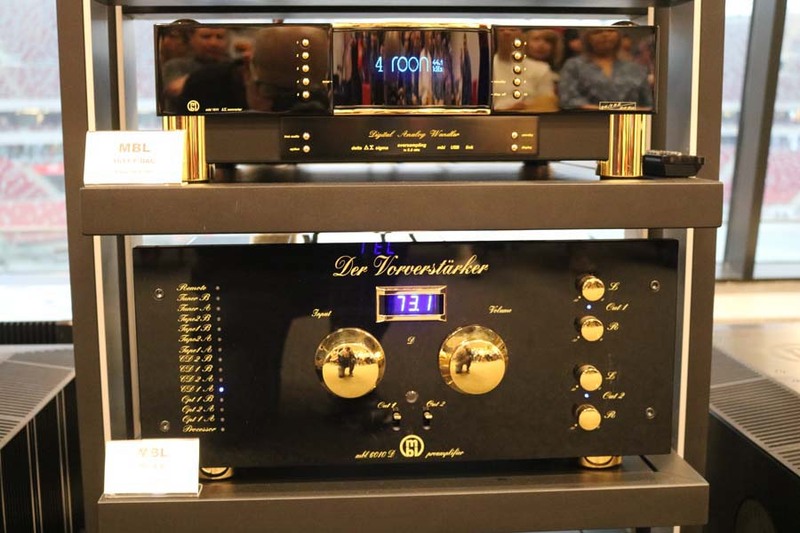 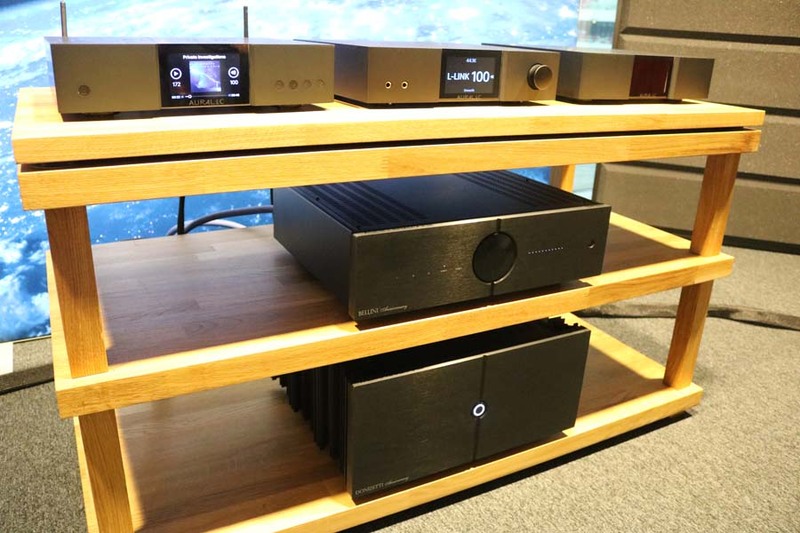 Here we were treated to the DIA 400S Amplifier and DAC, with amplification being provided by Class D amps and the DAC stage being a Burr-Brown PCM1794. 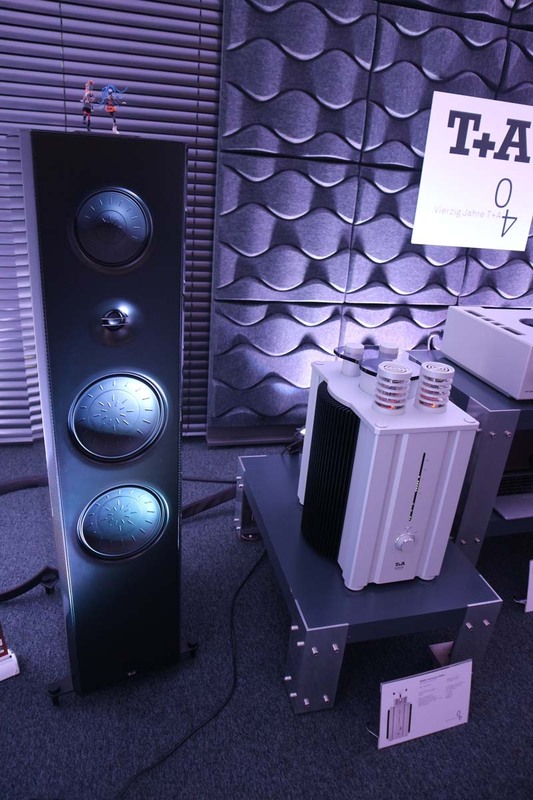 Speakers were Gato’s own PM8 standmounters. 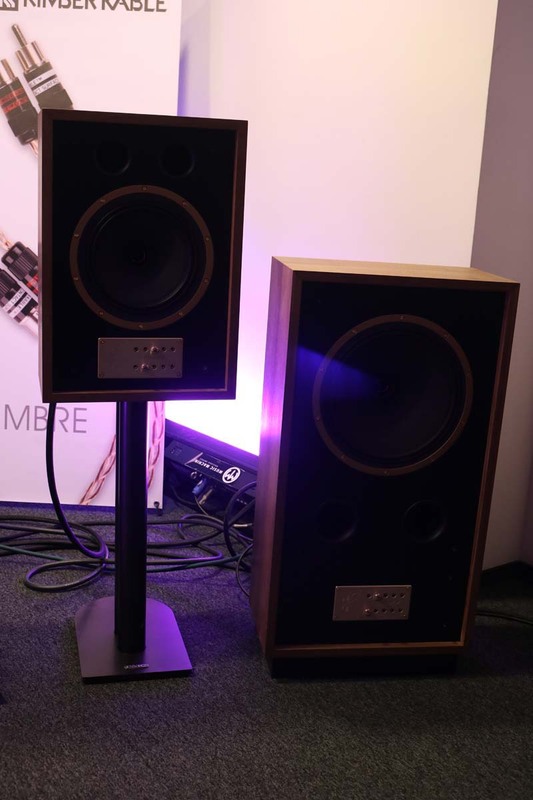 There’s nothing like a difference of opinion and this room really did split Linette and I. I quite enjoyed the room and the sound with Linette being a little more “forthright” in her view of the sound. 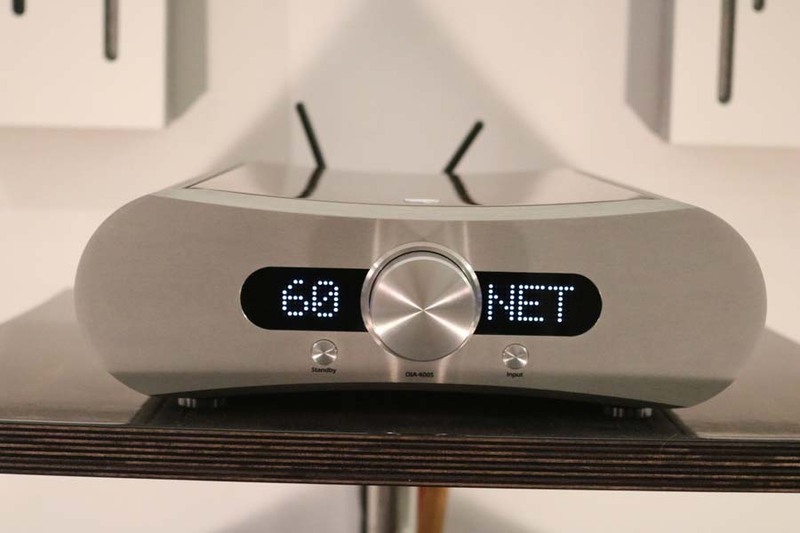 Playing was the MusicCast RN803 network player that uses SABRE 9006AS 192 kHz/24-bit DAC chip. 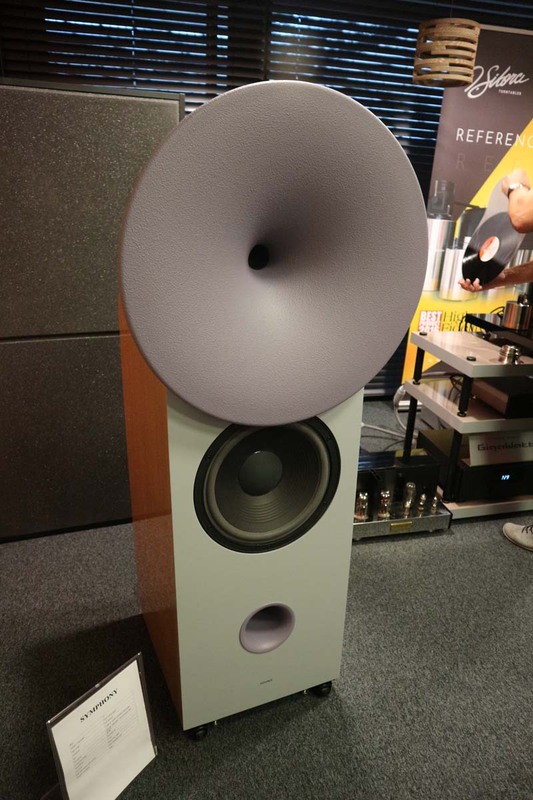 Speakers on the end of this were Mission’s QX3. 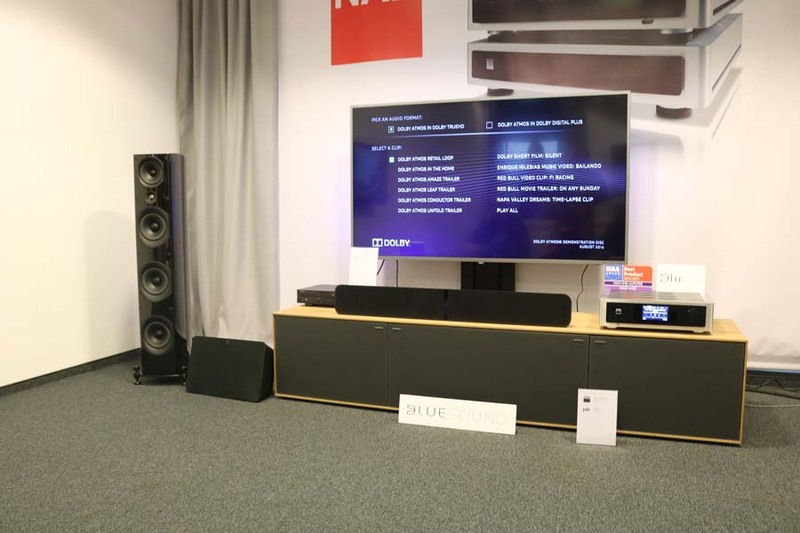 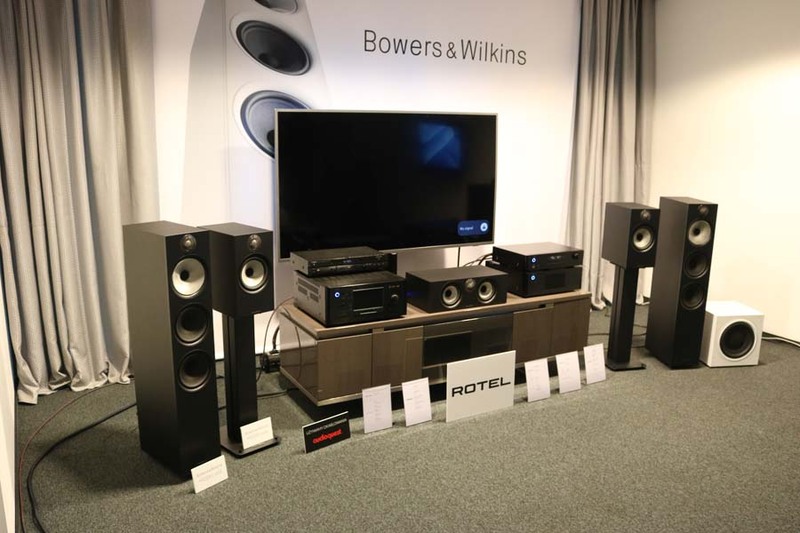 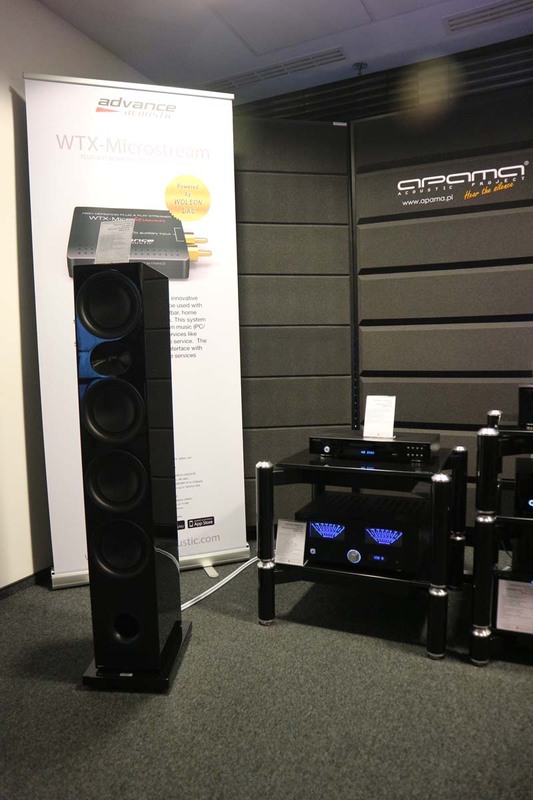 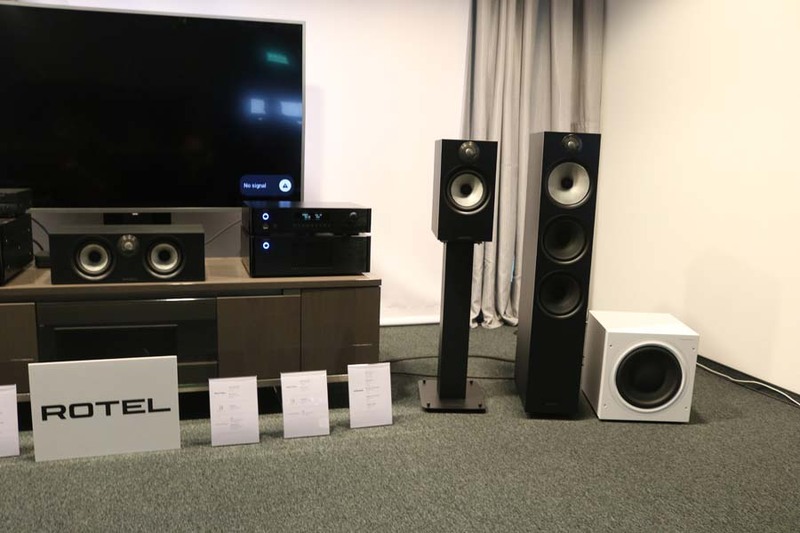 This polish distributor had three rooms with the first showcasing Rotel and Bowers and Wilkins. 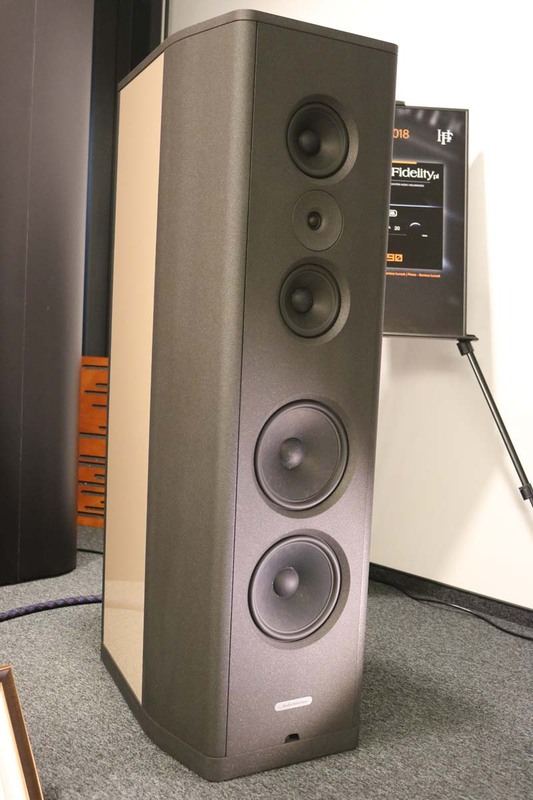 The latter being the new 600 series loudspeakers. 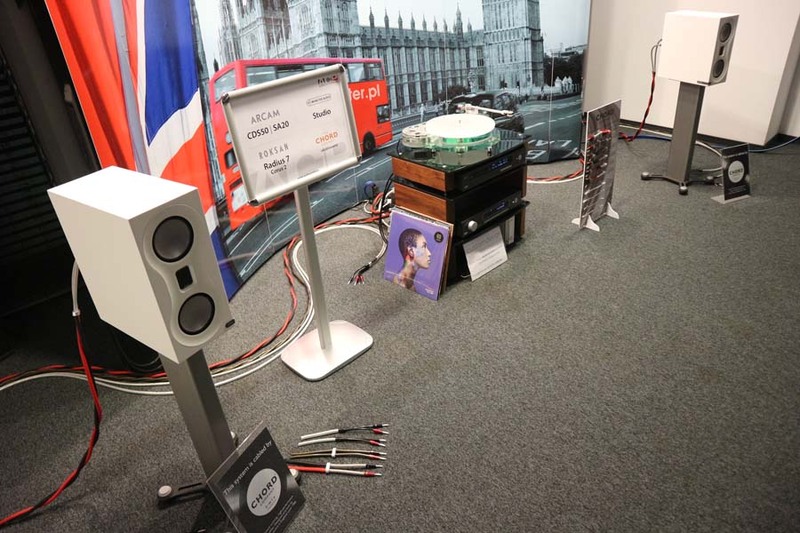 Their second room featured a NAD M32 amplifier into PSB imagine T3 loudspeakers. 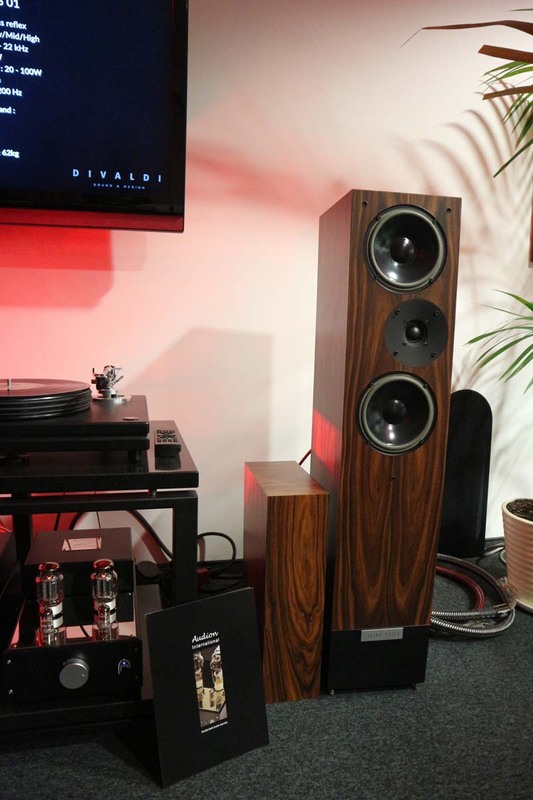 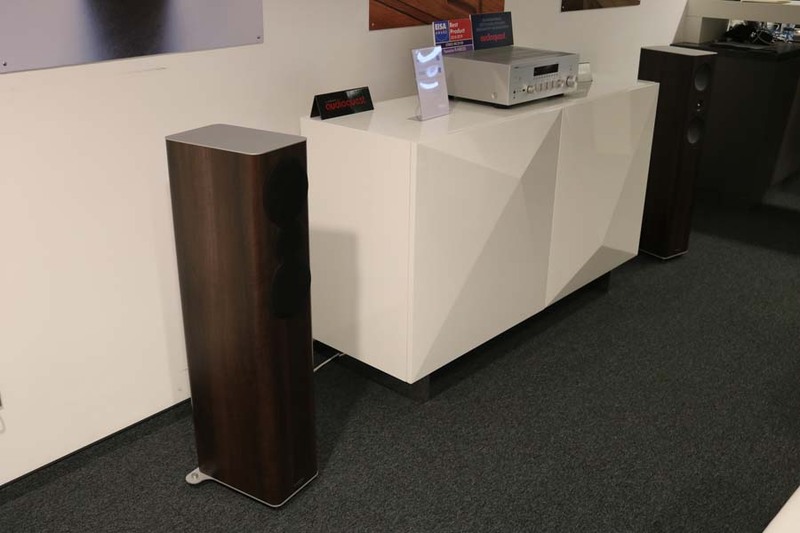 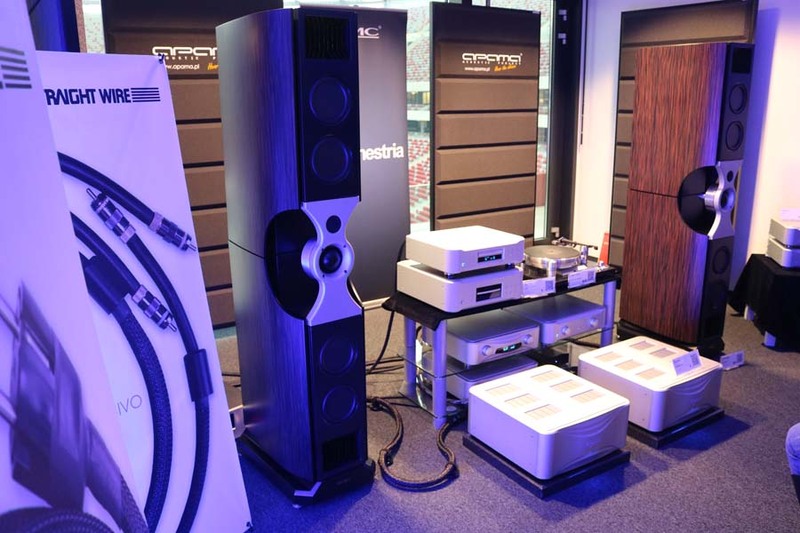 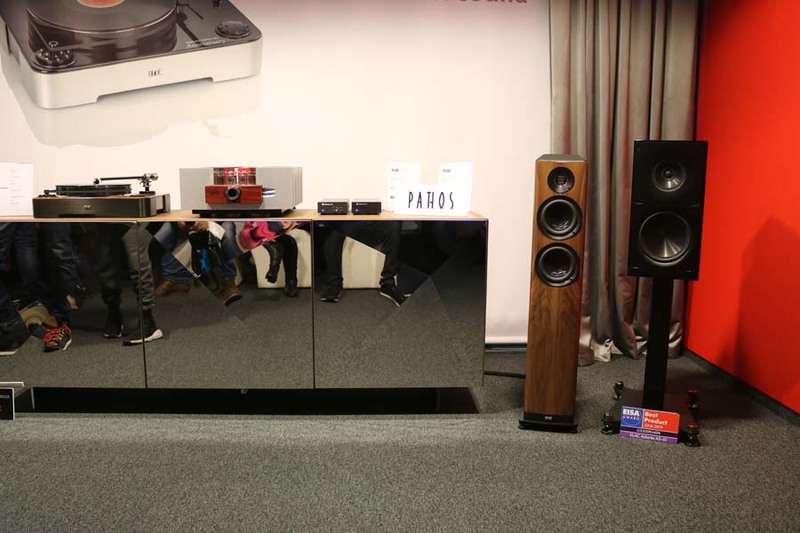 The final room showcased Elac and Pathos and it was clear that as we moved through the rooms, as prices got higher so did the listening experience. 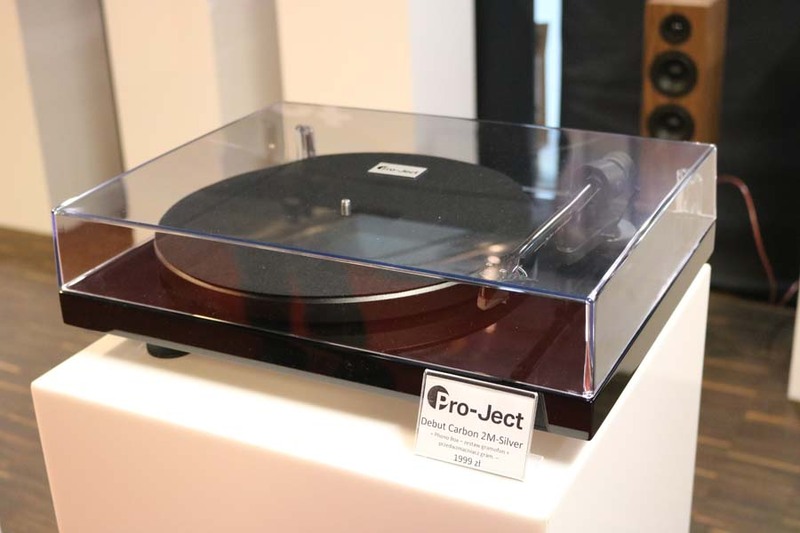 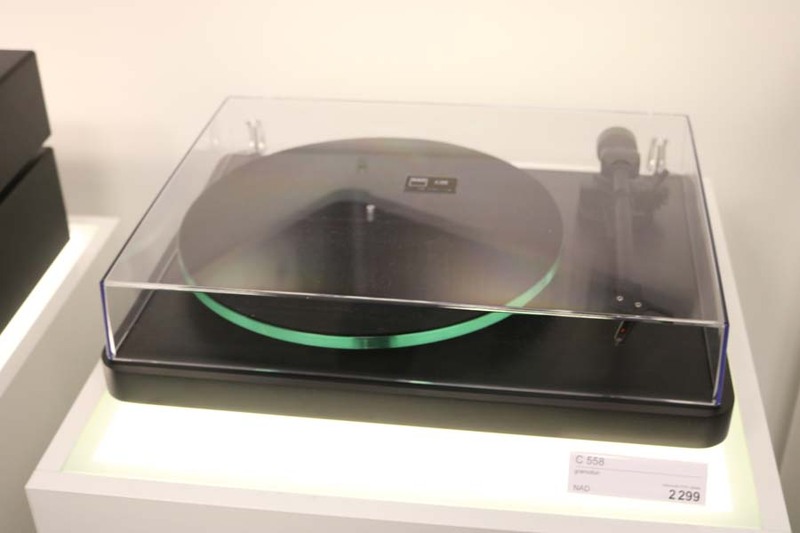 Pro-Ject had a static stand at the stadium showing of some of their turntables and electronics. 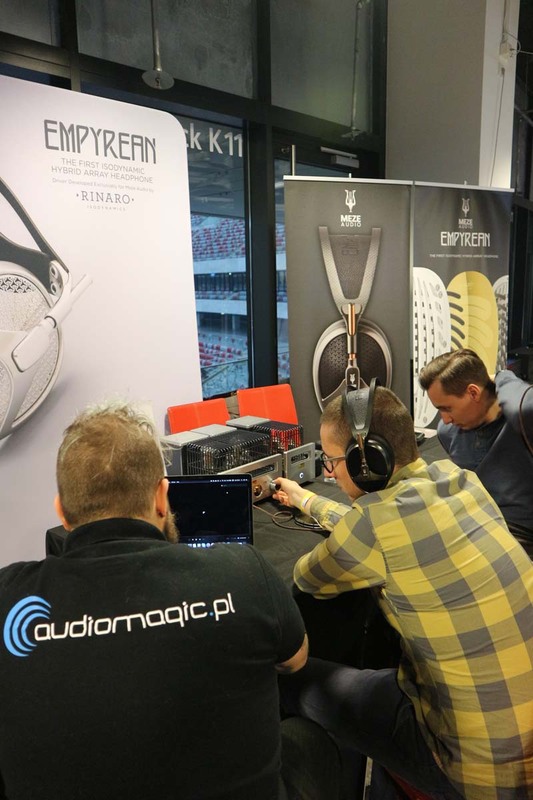 This room was absolutely rammed every time we tried to get in, and we did try several times, showing just how popular this pairing is in Poland. 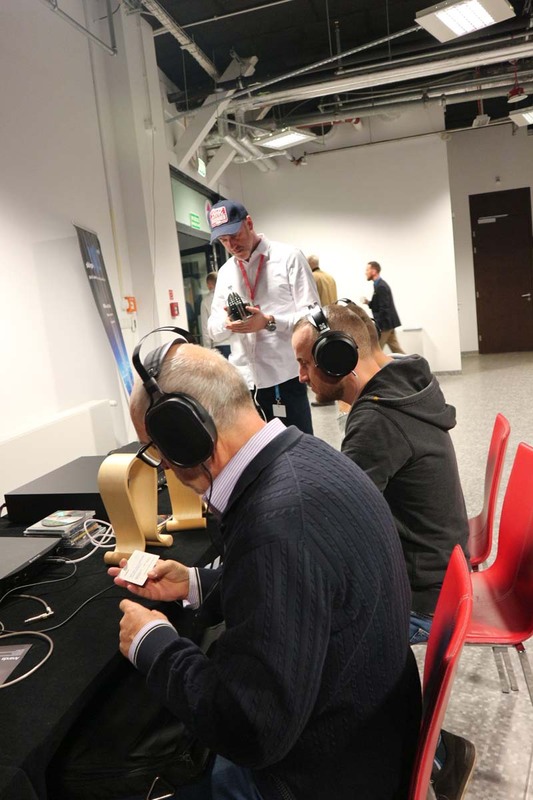 Photos are taken from their static displays with the final shot showing just how busy the room was. 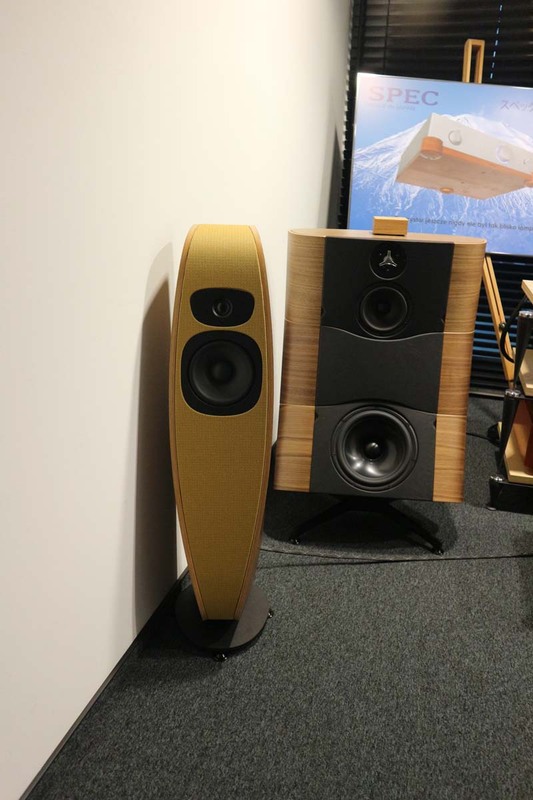 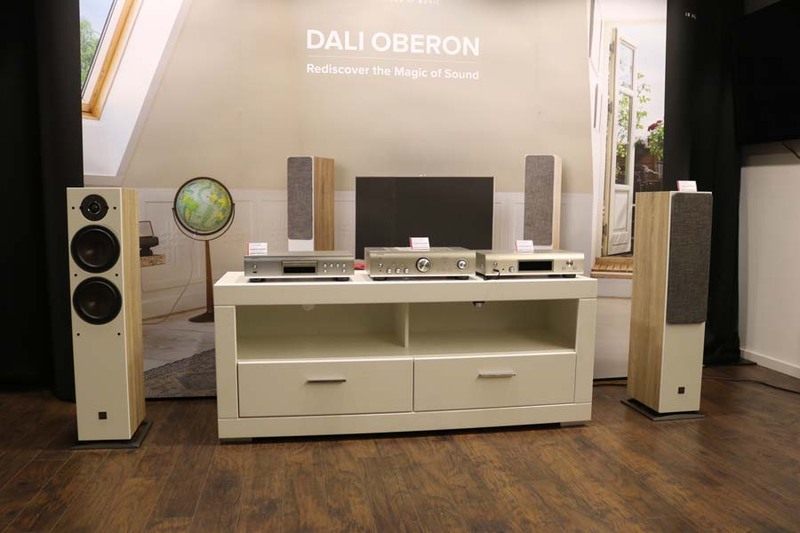 What I like about this show is that you have the likes of the Naim Statement and Focal Grand Utopias in one room and then in the next you have the relatively cheap and cheerful offerings in the very next room. 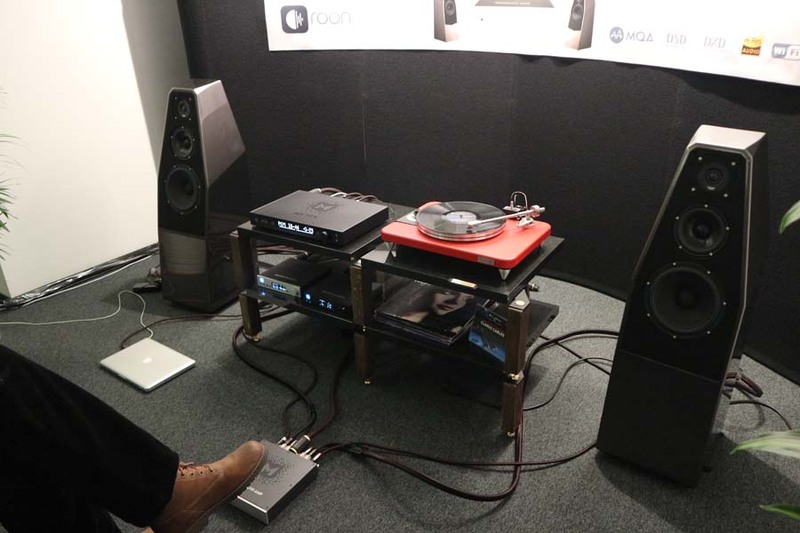 This Pioneer set up sounded a lot better than i was expecting. 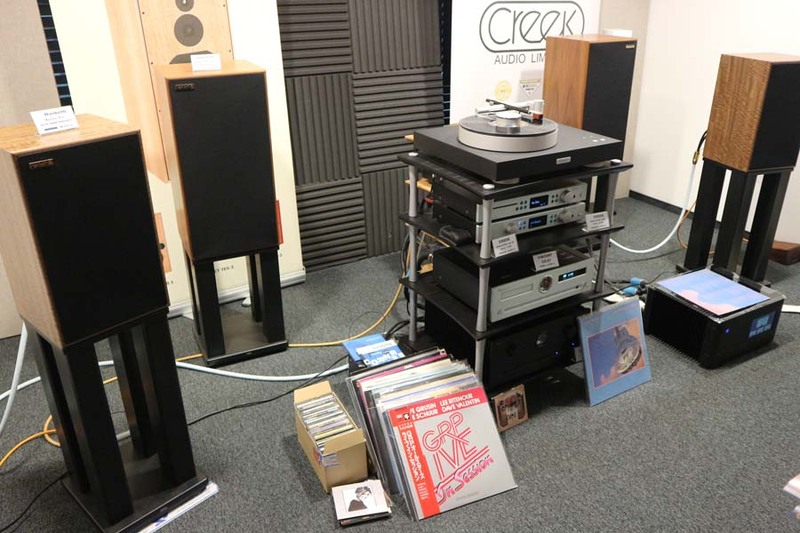 I also love that classic seventies/eighties aesthetic but brought up to date of the boxes. 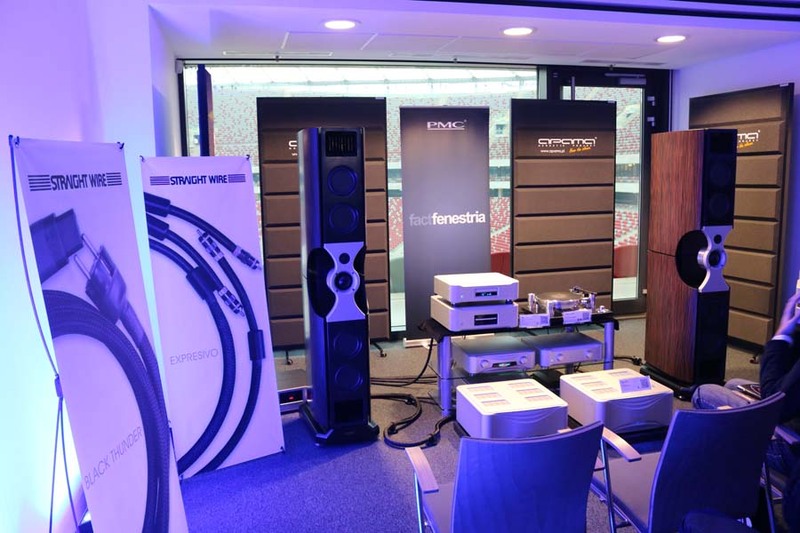 And now we’re onto another high-end room in the form of PMC with their utterly stunning Finestria loudspeakers, this time being powered by esoteric electronics and featuring an Oracle turntable. 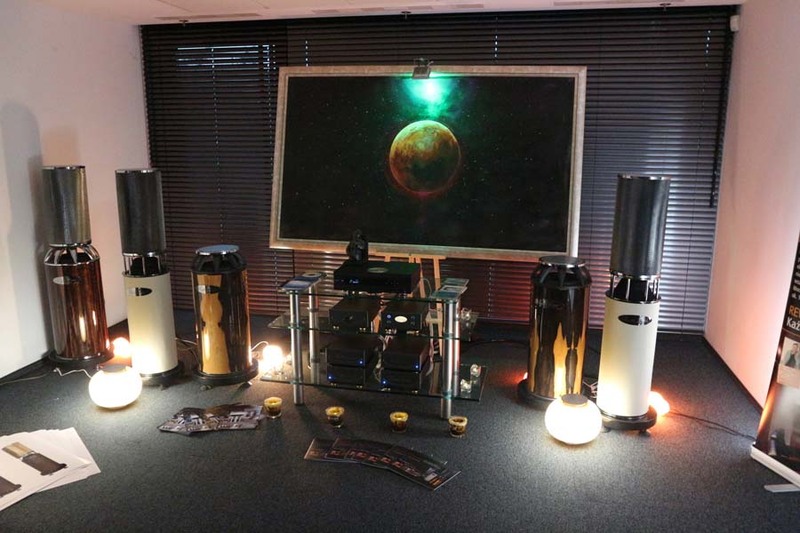 This system was beautifully un-hassled that pretty much put everything else at the show to shame. 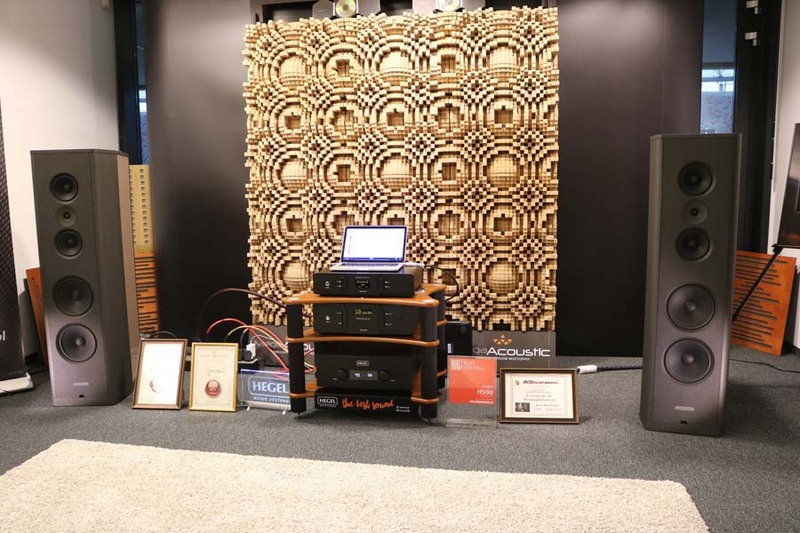 This is a stunning loudspeaker/amplifier pairing. 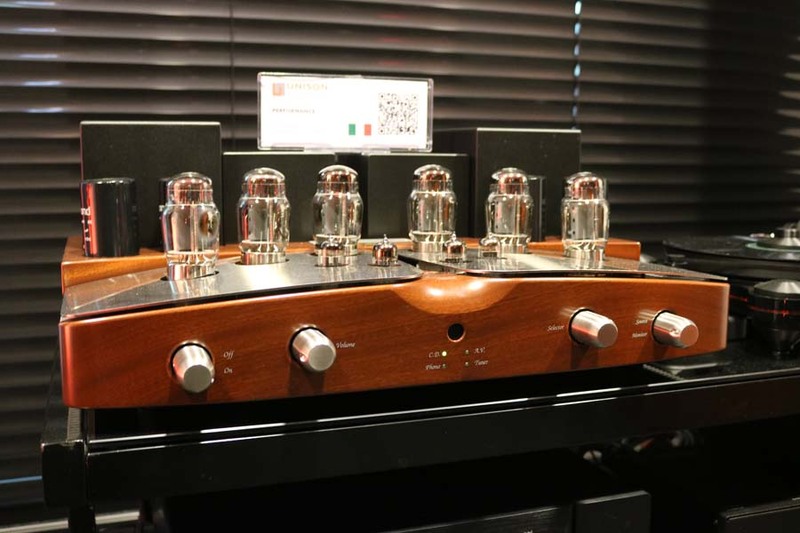 Two sister brands from Italy that rarely fail to impress. 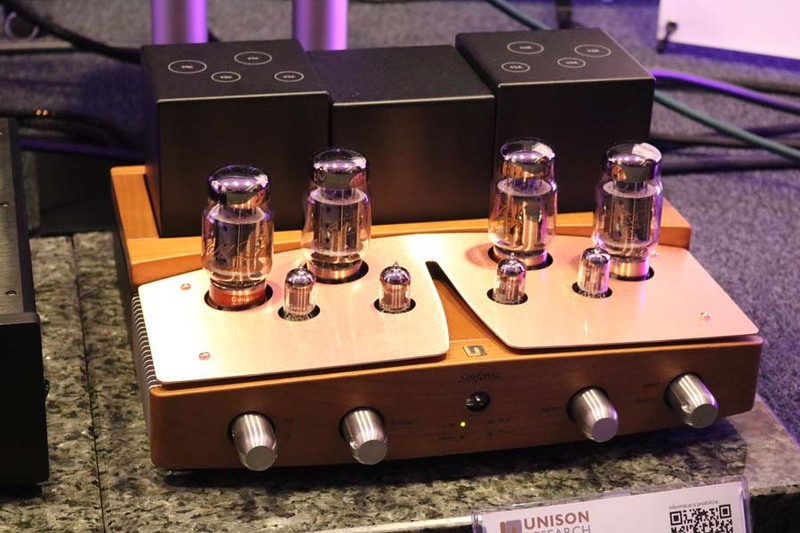 Having owned Unison Research products in the past I can vouch for their sonic performance and lovely build quality. 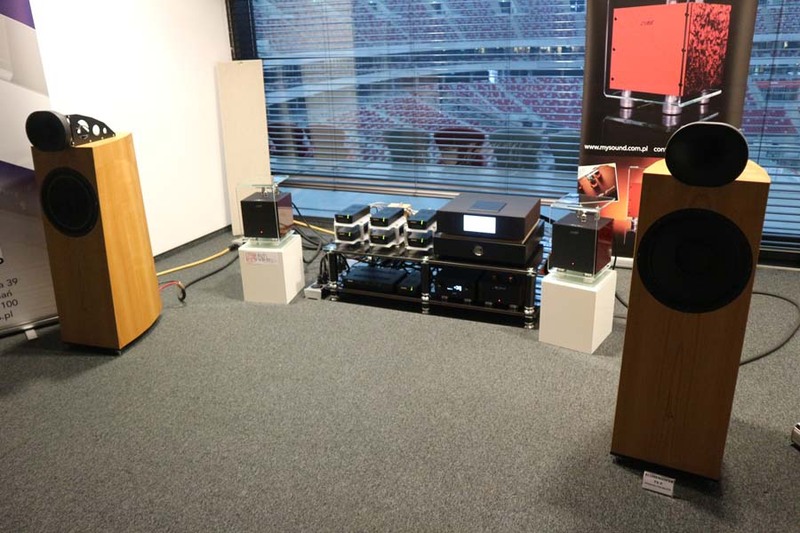 Here we have the CD Due, Unico Due integrated and Opera Max 2 loudspeakers powering the main system. 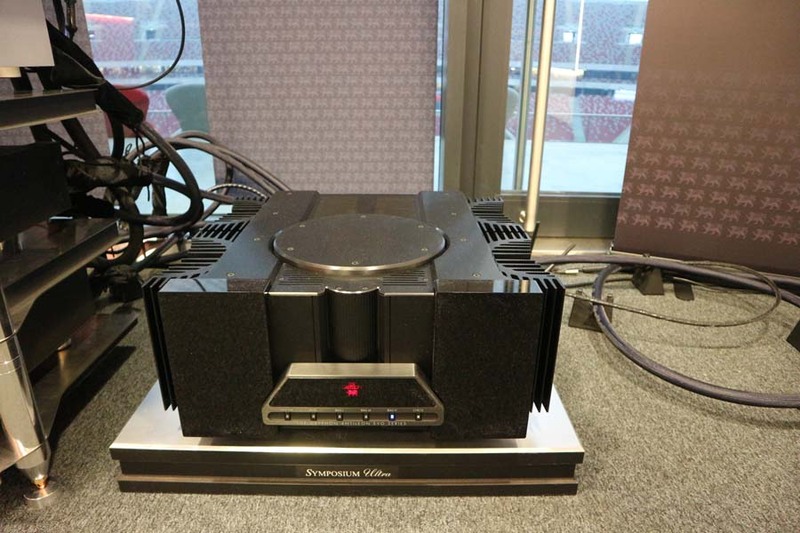 Sadly we didn’t get to hear the valve amp. 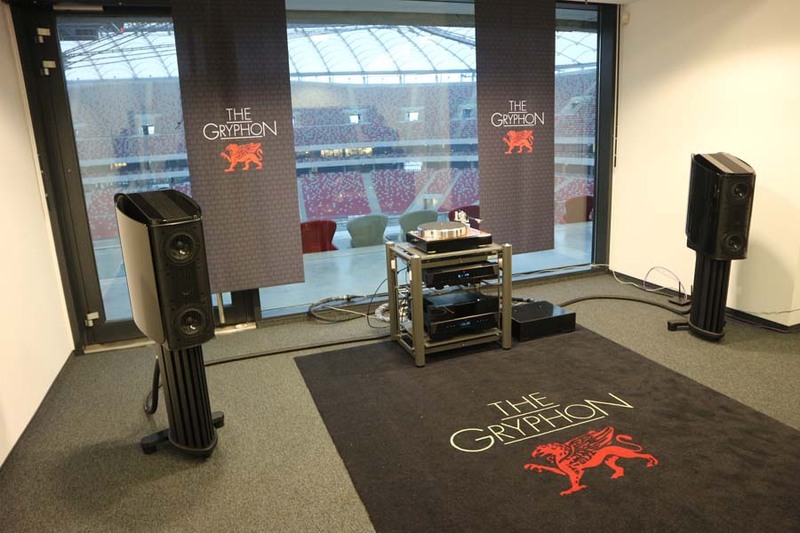 Like the last room this was a very nice sounding room. 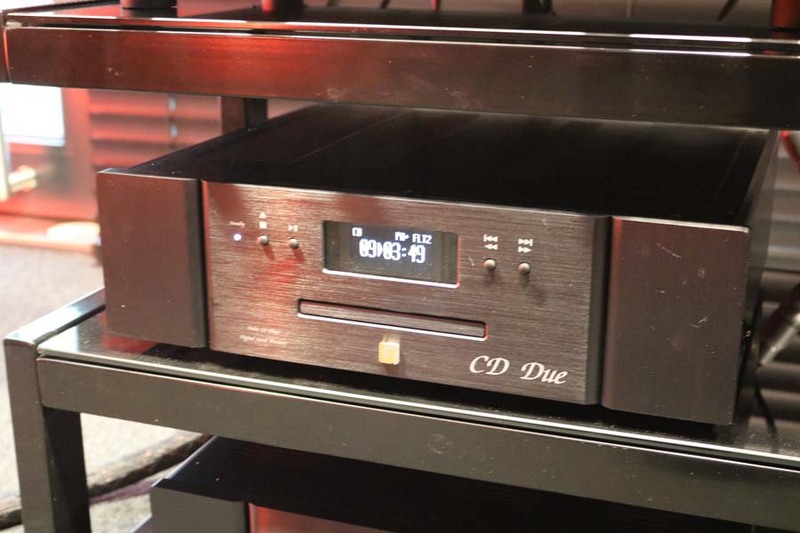 Unico Due CD player with a Unico Pre into Unico DM monoblocs. 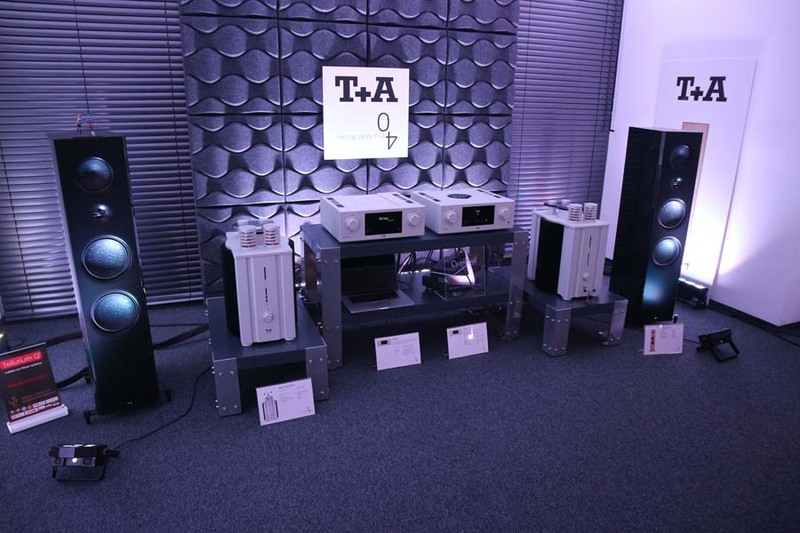 The speakers are the Quadral Titan 9 which brought this system together wonderfully. 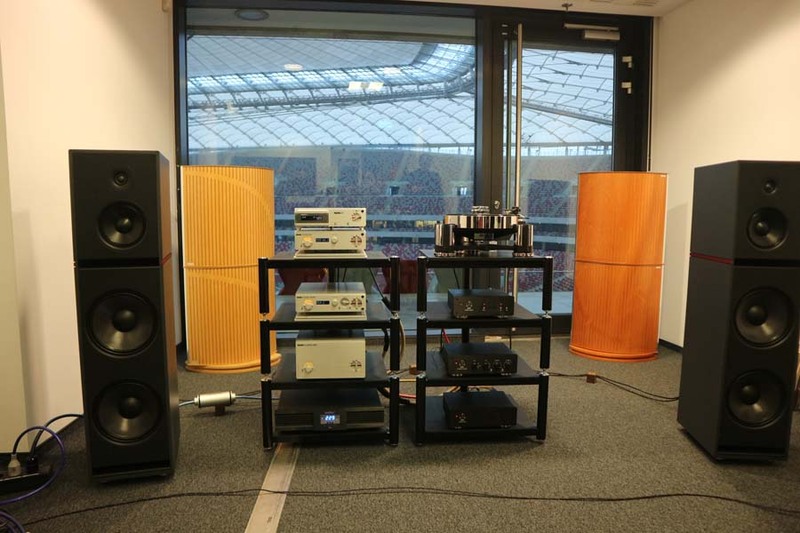 Now I’m no Adele fan but I’ve heard her live recording of Someone Like You a couple of times now, the last time being on a big Cabasse/Chord system at Munich and on both occasions it has sounded wonderful…perhaps i ought to get the DVD…. 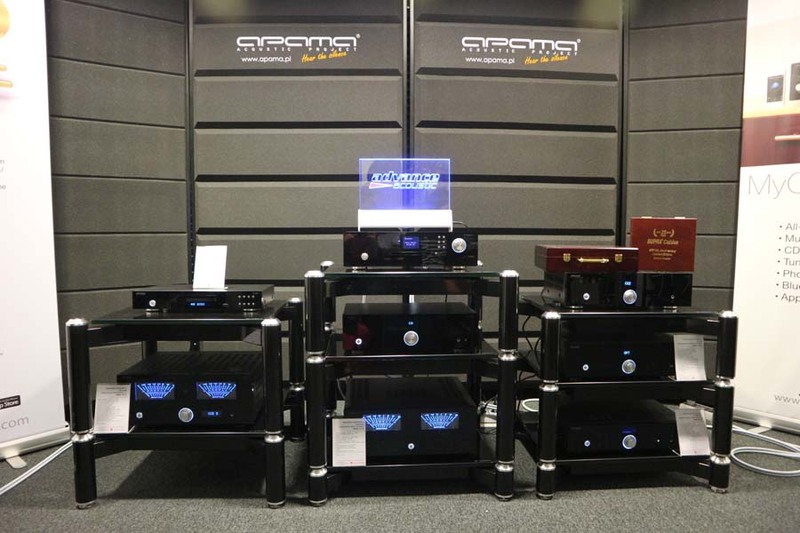 Fyne Audio are a relatively newcomer to the industry, but a company with decades of experience behind them. 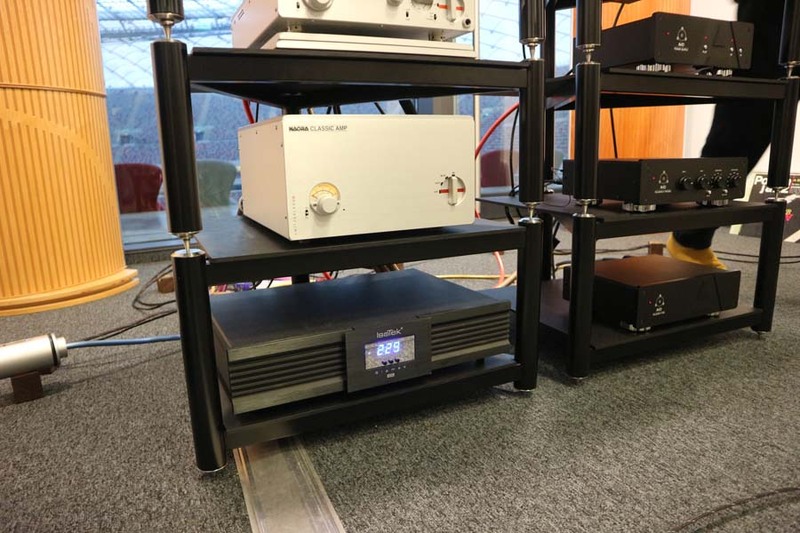 Based in Scotland we’ve spoken about the company lots in the recent months (Search on the side bar of Hifi Pig is your friend) and so I’ll not go into too much detail here. 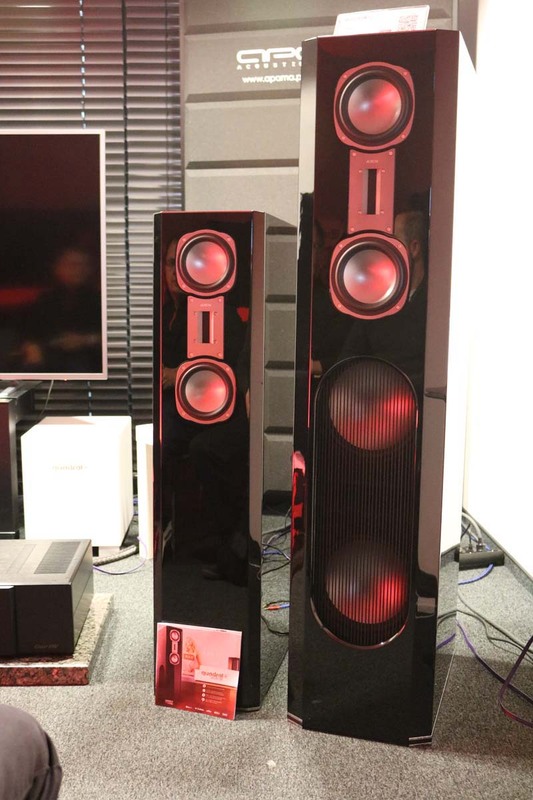 Playing in the room were the company’s F1-10 speakers. 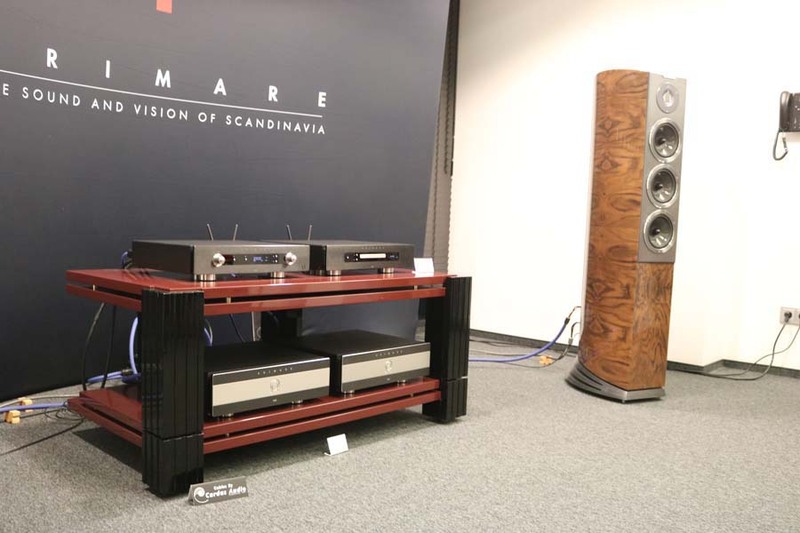 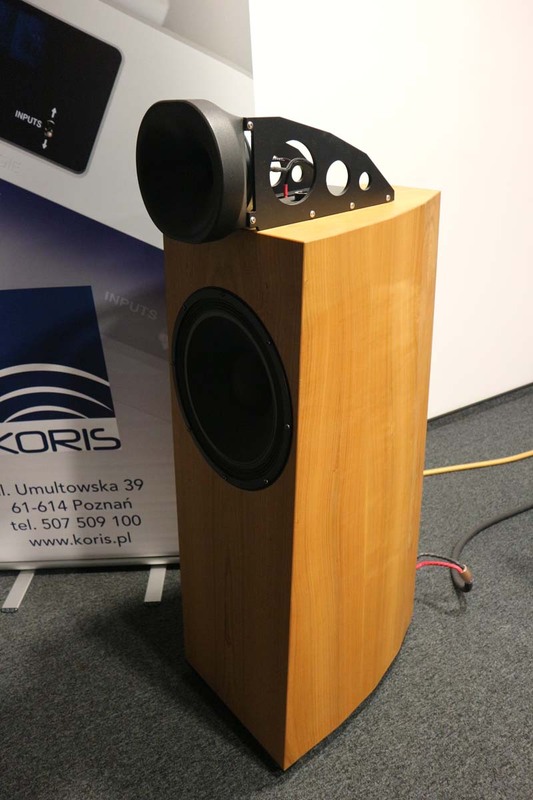 These are an unusual, but not unattractive loudspeaker, that use Fyne’s IsoFlare drivers to deliver a point source. 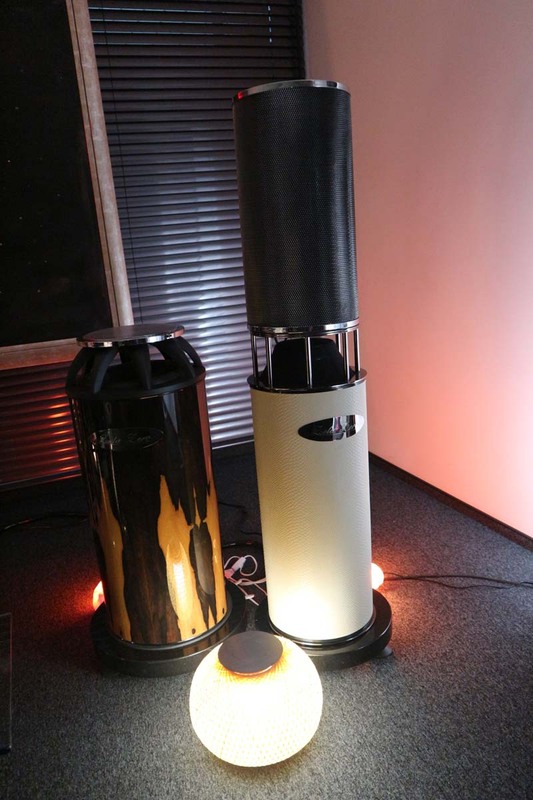 Controls are provided for user adjustment of high frequency energy and presence which is a novel feature. 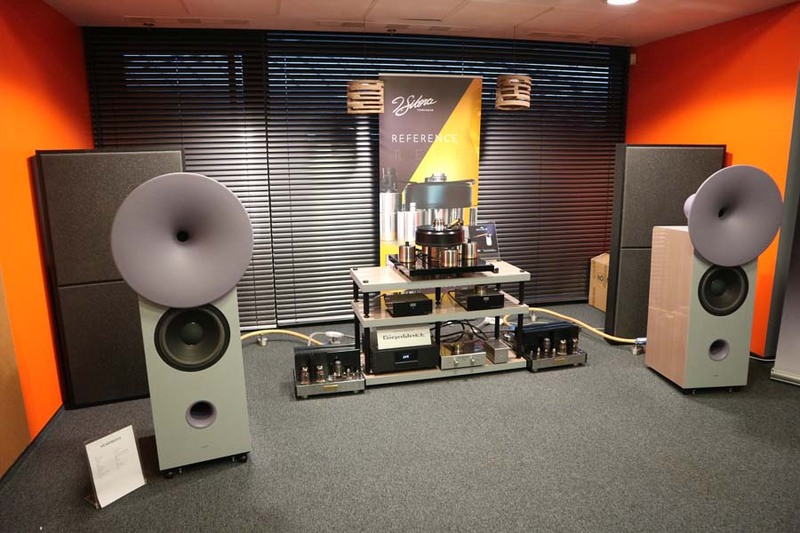 Powered by the Synthesis Titan amp we have a great sounding room that threw a good soundstage wherever in the room you sat…and i did move around a fair bit to experience this. 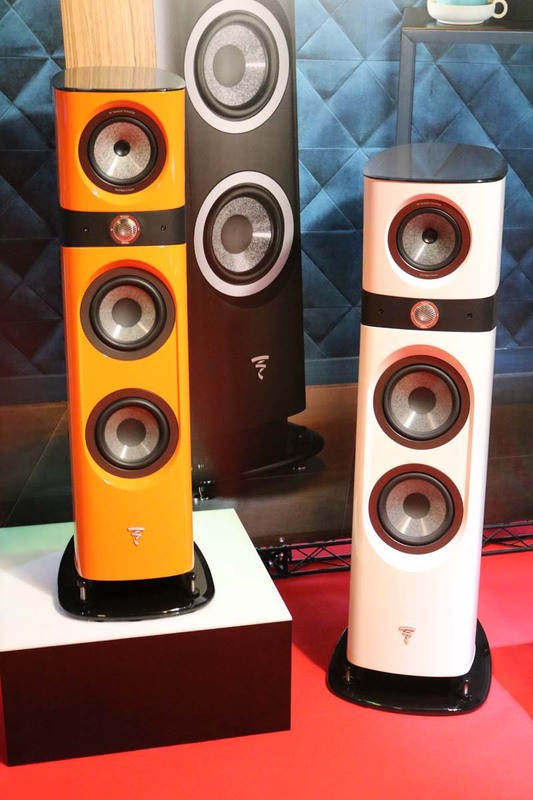 You can read the Hifi Pig review of the f500 speakers from Fyne here. 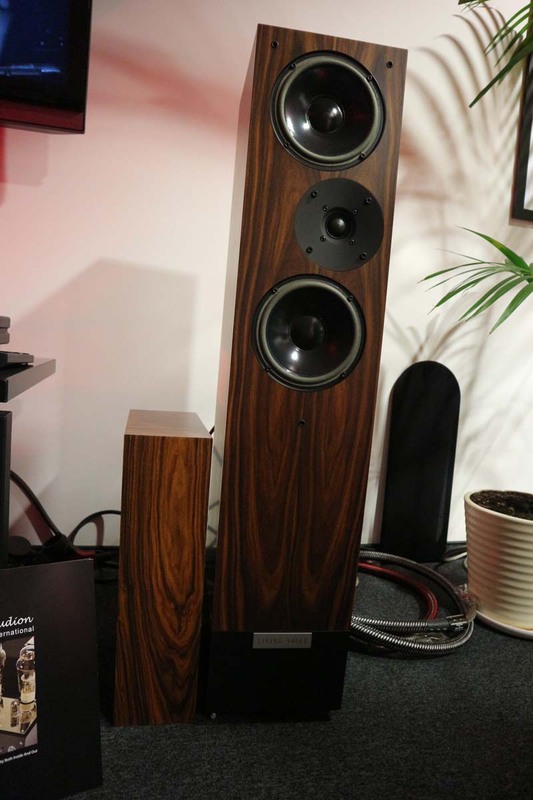 I have a soft spot for Audio Physic speakers and have owned them on a couple of occasions. 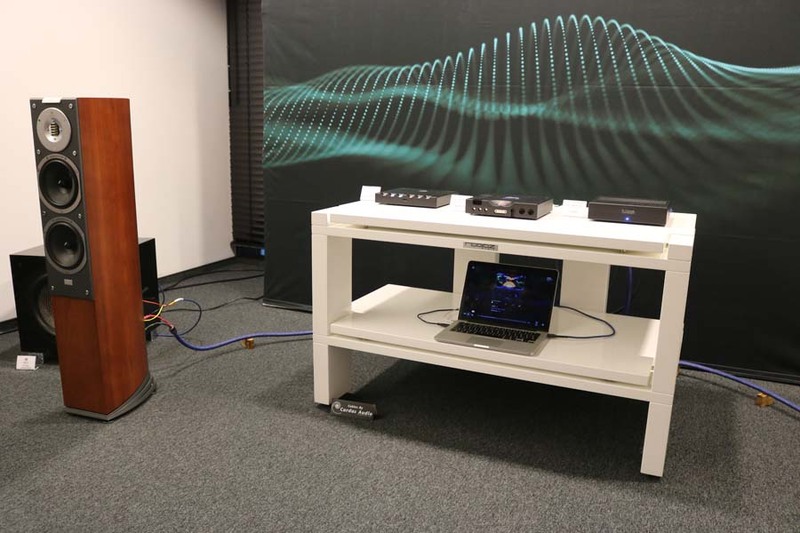 This was a busy room to the point i sat on the very edge but still I managed to be presented with a good idea of the mix in front of me – Audio Physics are renowned for their holographic presentation. 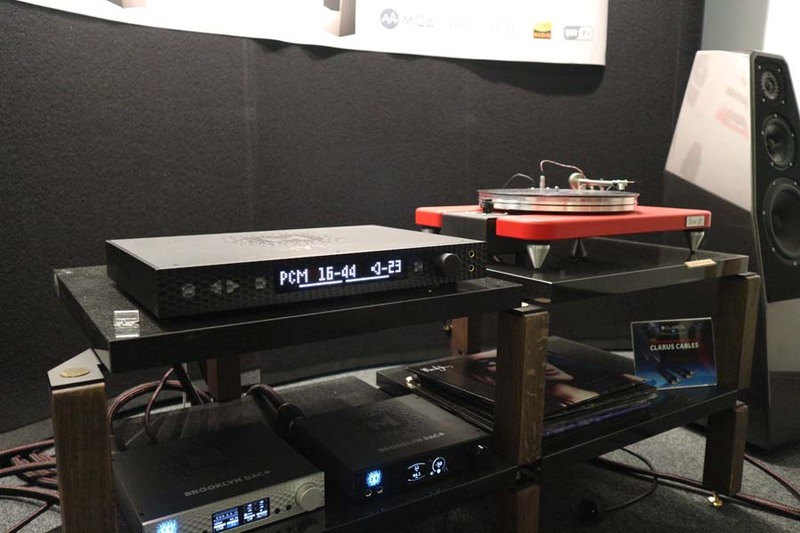 The Cyrus electronics were a very good match here. 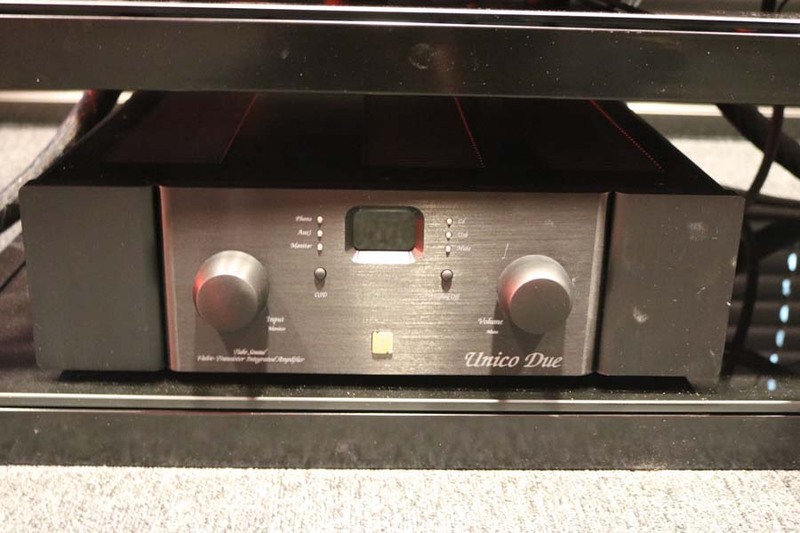 The Legacy Cheviots were playing in the room when we went in using a Unison Research Sinfonia amp and Unico CD Uno. 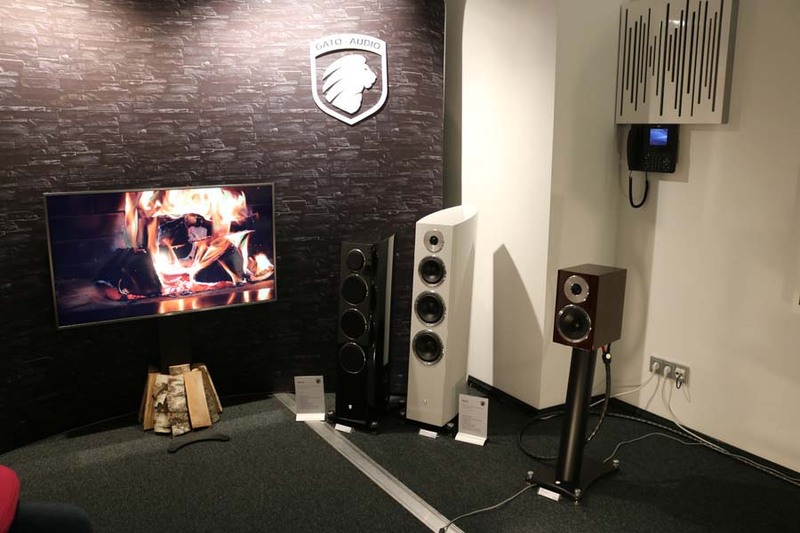 I was very impressed with the sound in this room and its superb imaging. 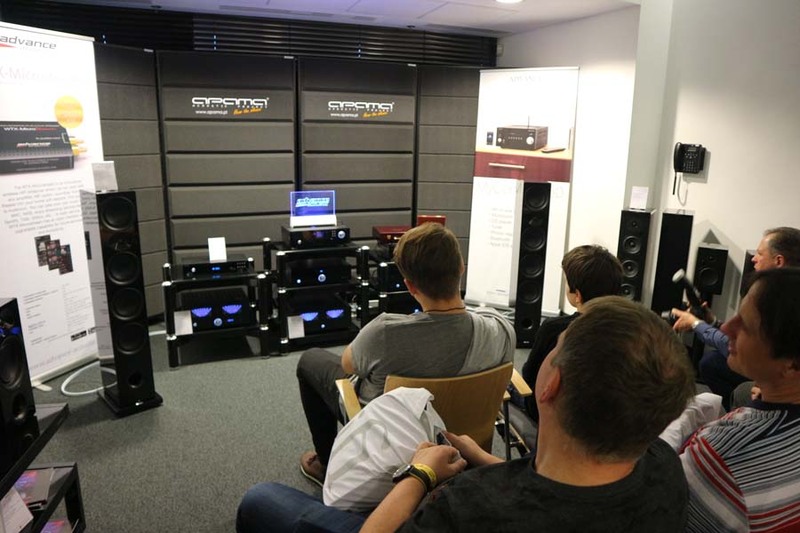 The speakers did disappear and we were struggling to tell which speaker was actually playing. 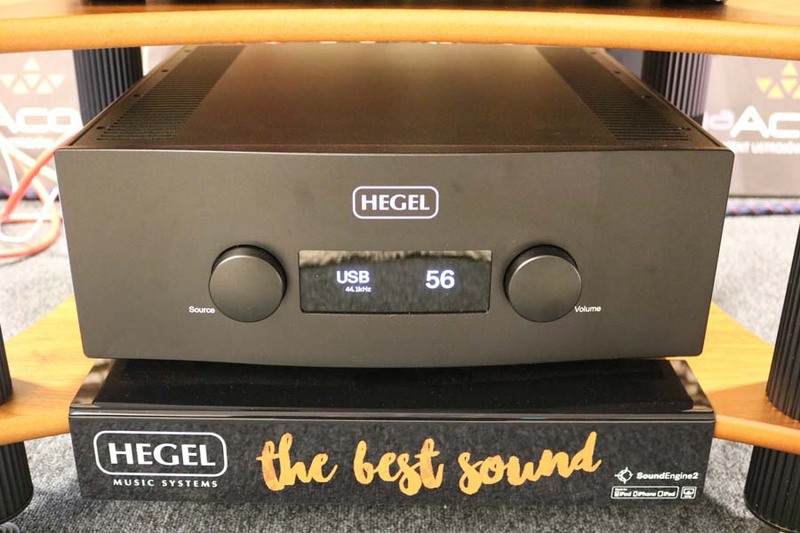 OK, so this was an interesting one that I fully expected to hate, but in actual fact I thought the Edge from B&O really rather good. 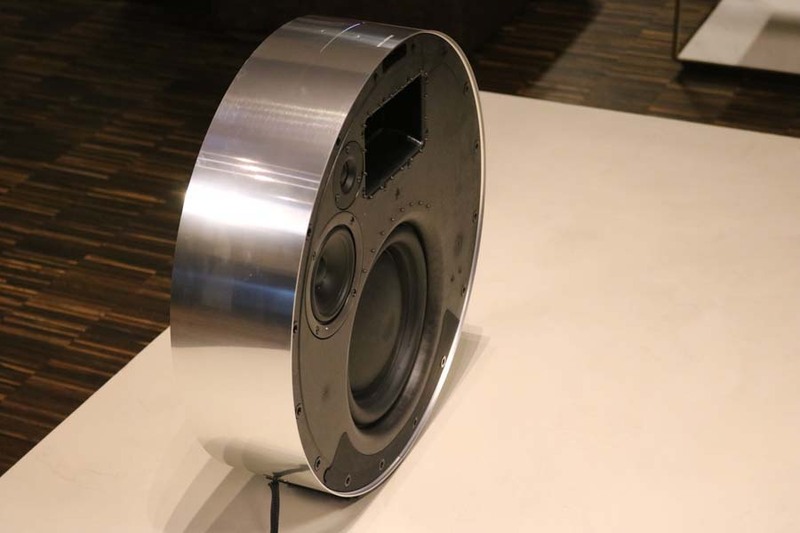 It can be wall mounted or placed on the floor and sports a ten inch bass driver, a four inch mid-driver and a three-quarter inch tweeter. 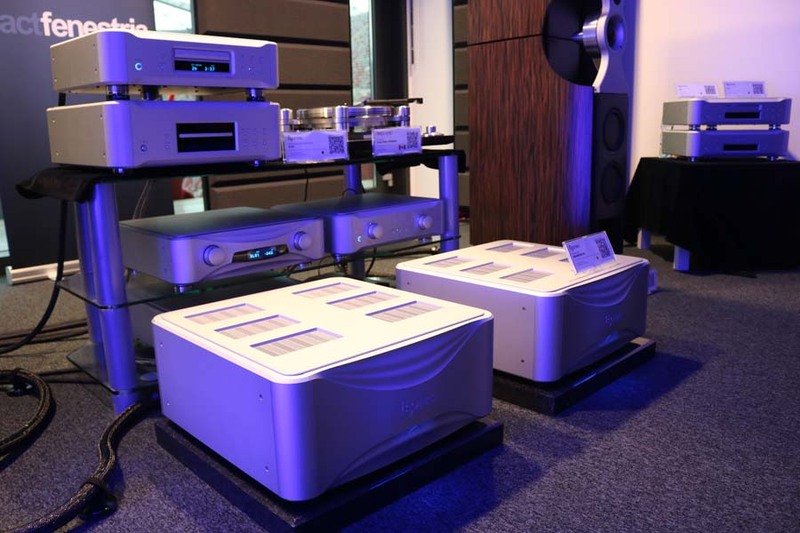 The rep demonstrated how the volume could be turned up by rolling the unit – clever. 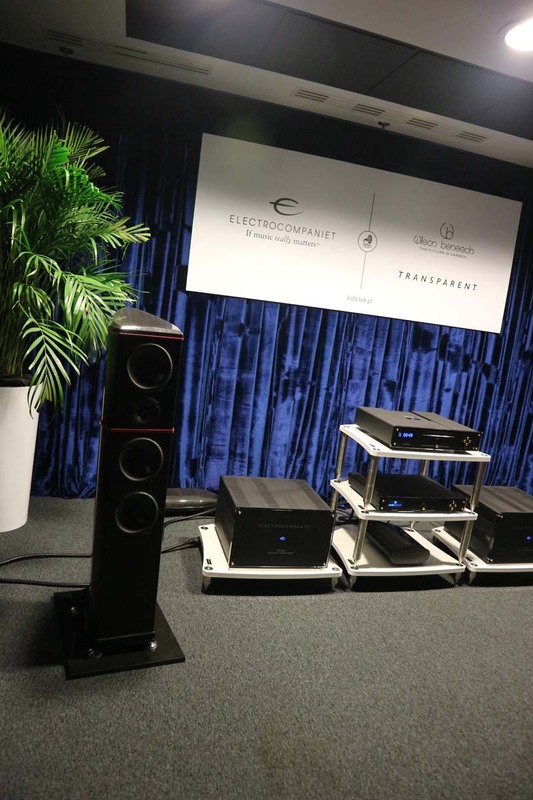 The sound emanating from both sides of the edge really wasn’t half bad and I’d certainly give it house room on this performance. 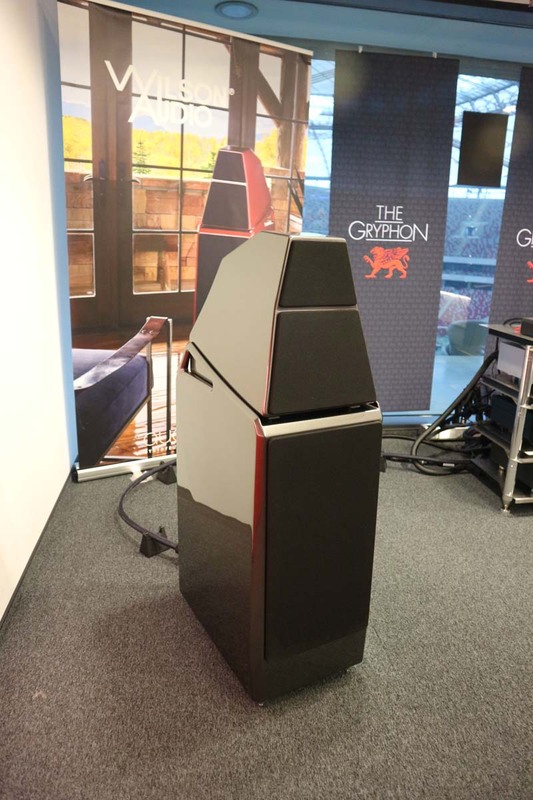 Price in the UK is £2900. 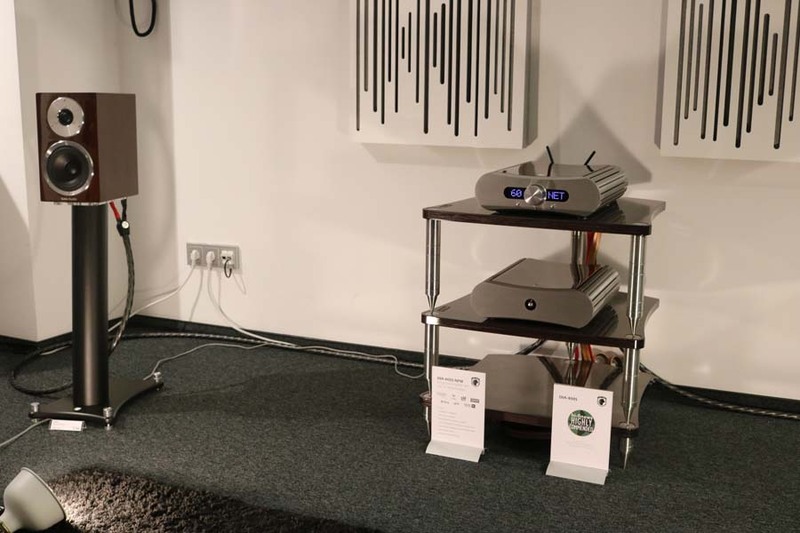 German uber-brand MBL were showing off their Reference range of speakers and electronics at Audio Video Show Warsaw and very good it was too – as it should be given the price of this kit. 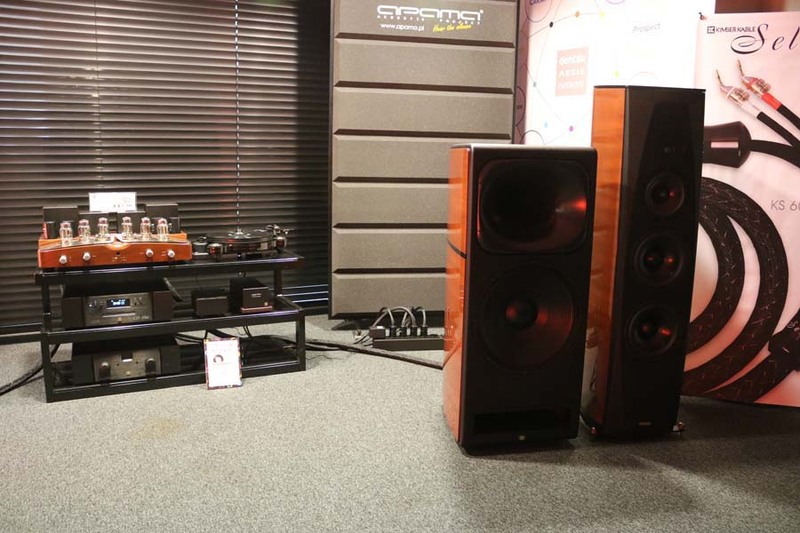 Speakers are the Radialstrahler mbl 101 X-treme with their omni-directional mid and tweeter units – the things that look like rugby balls. 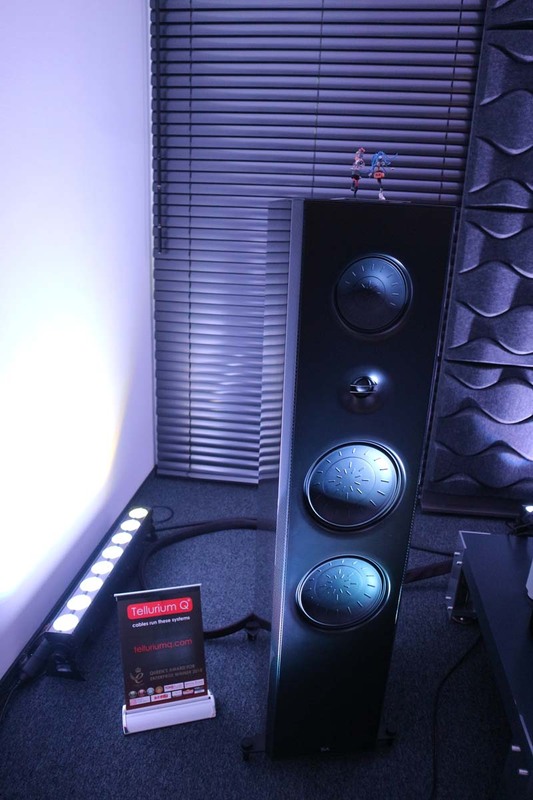 Their 101 X sub, you can see it just through the main speaker, went LOW, perhaps a little too low for the room but this overall was a stunning sounding room. 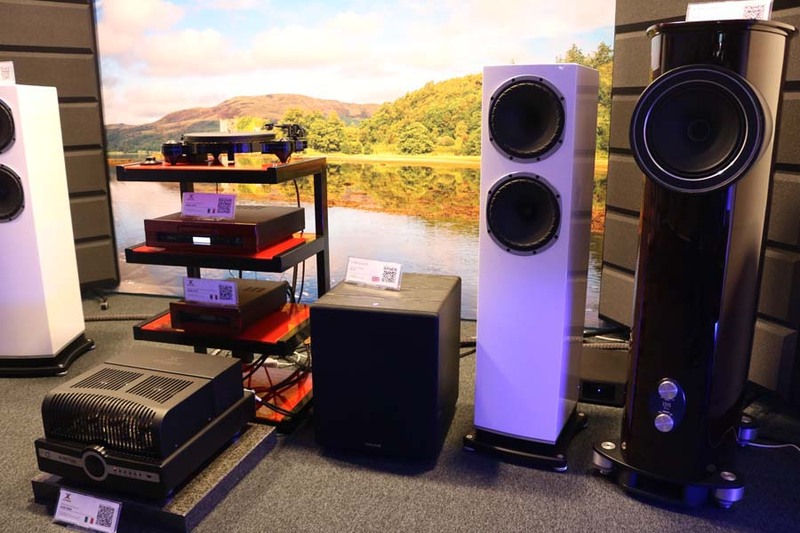 The sub and the main unit are a whopping £193 310 in the UK. 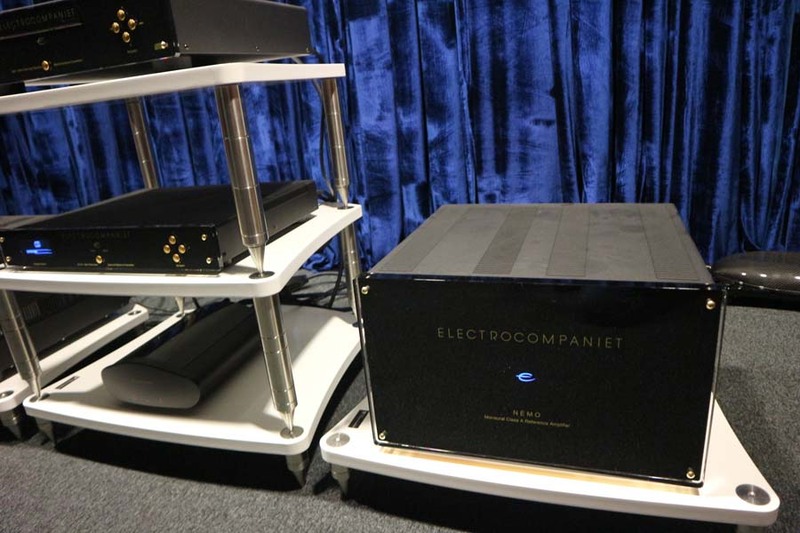 The bigger amps the best part of £40K, the 601D Preamp is £20K, CD transport around £10K and the DAC another £21K. 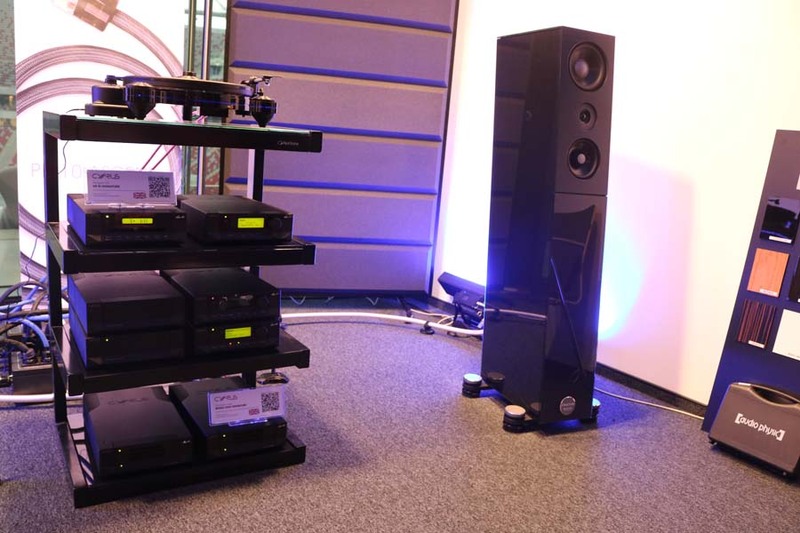 So not including the smaller of the monoblocs seen in the picture we’re looking at a system costing the best part of £285 000. 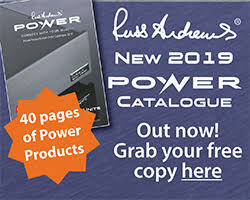 To put this into perspective of some kind I was flicking though one of Linette’s fashion magazines and saw a bra, yes a bra, that cost £900…well it’s some kind of perspective. 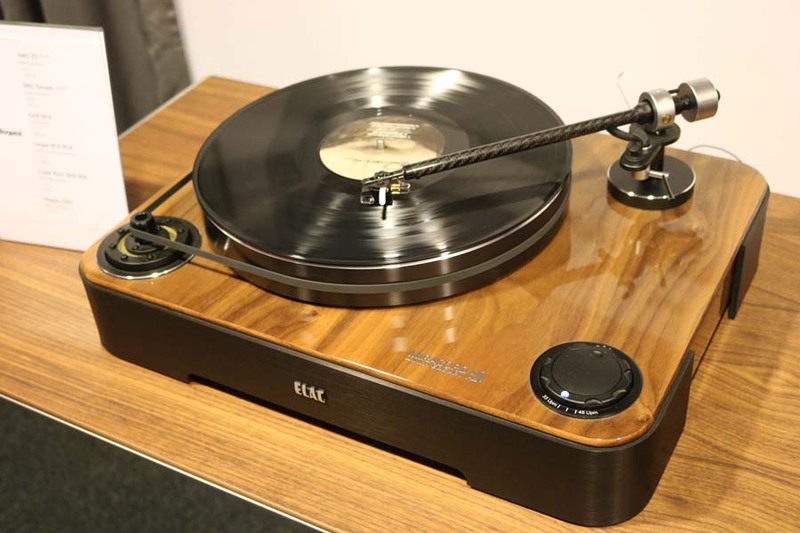 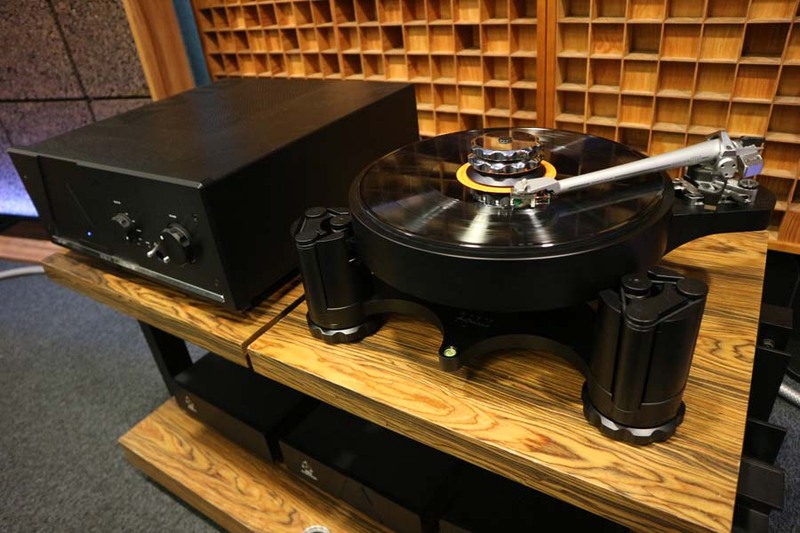 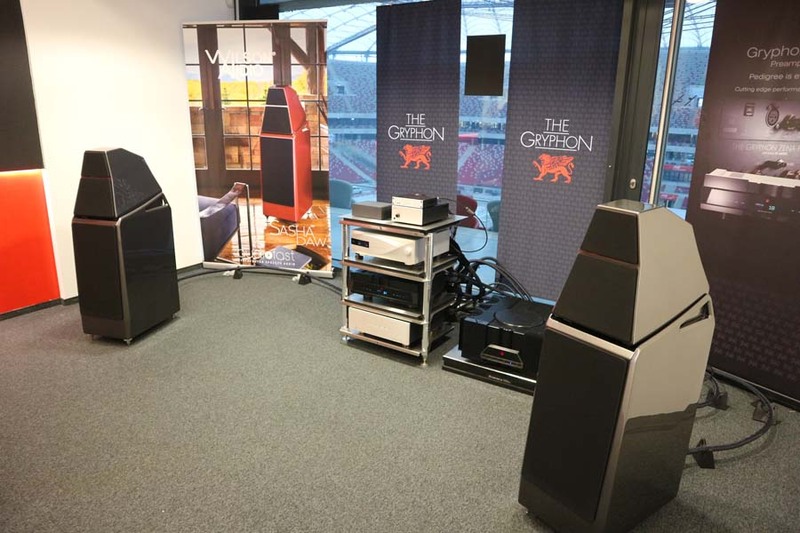 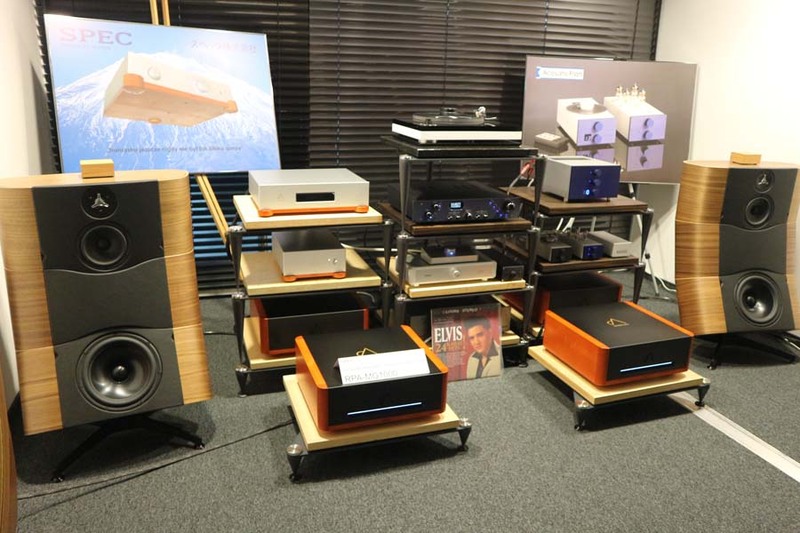 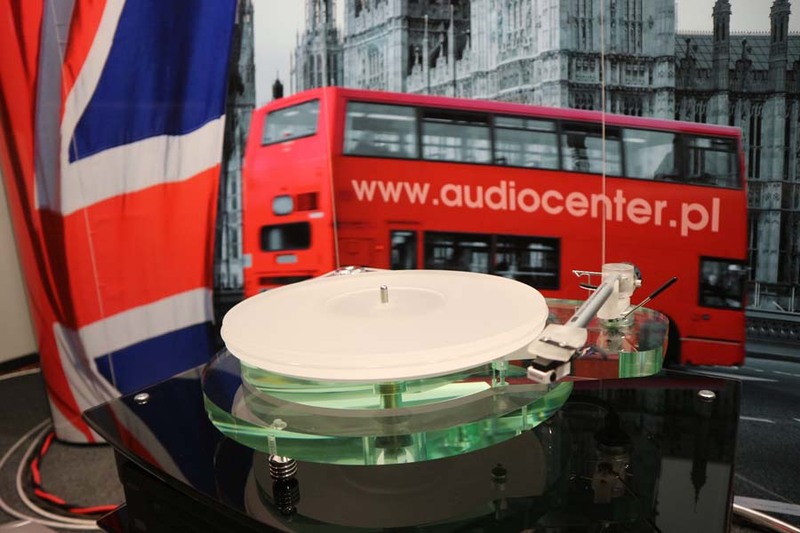 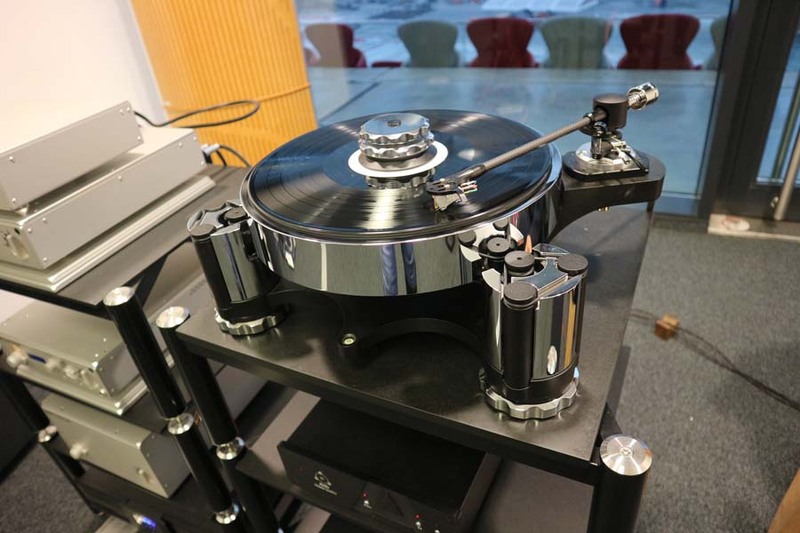 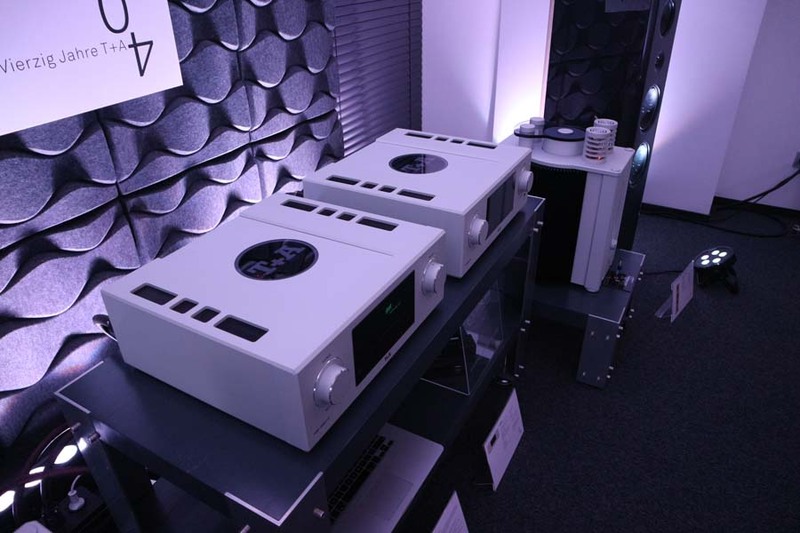 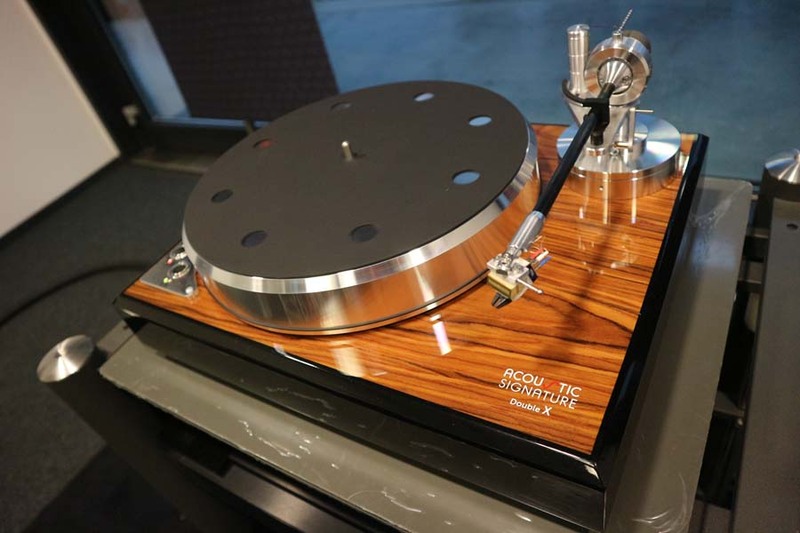 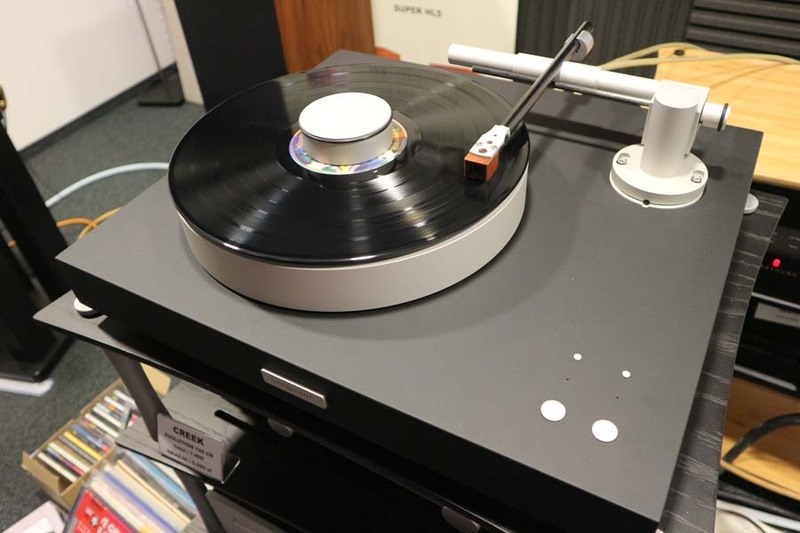 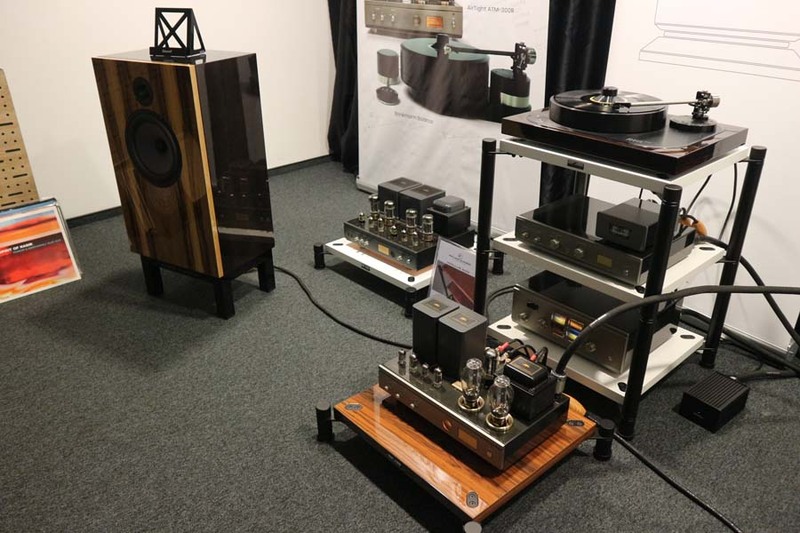 Things seem to be getting a touch more high end again and the next room was demoing VTL Siegfried amps, Rockport Technology Lyra loudspeakers and a VPI Avenger turntable. 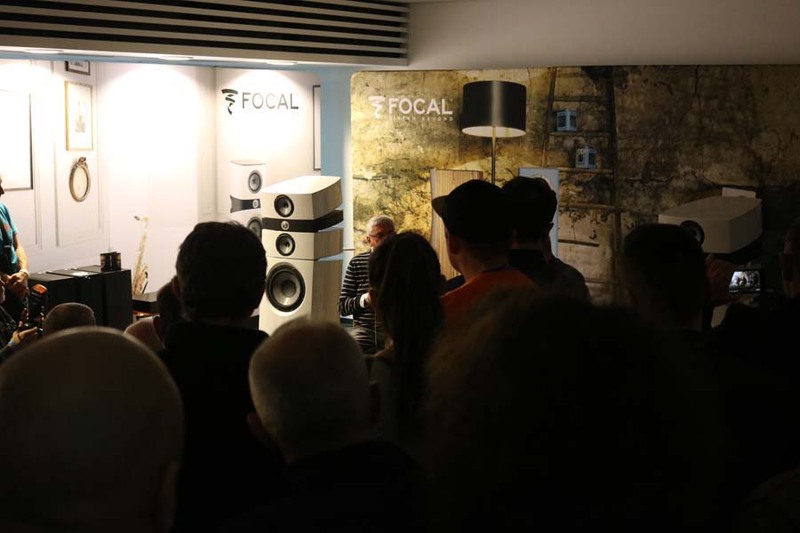 This again was a very good sounding room, though at no inconsiderable outlay. 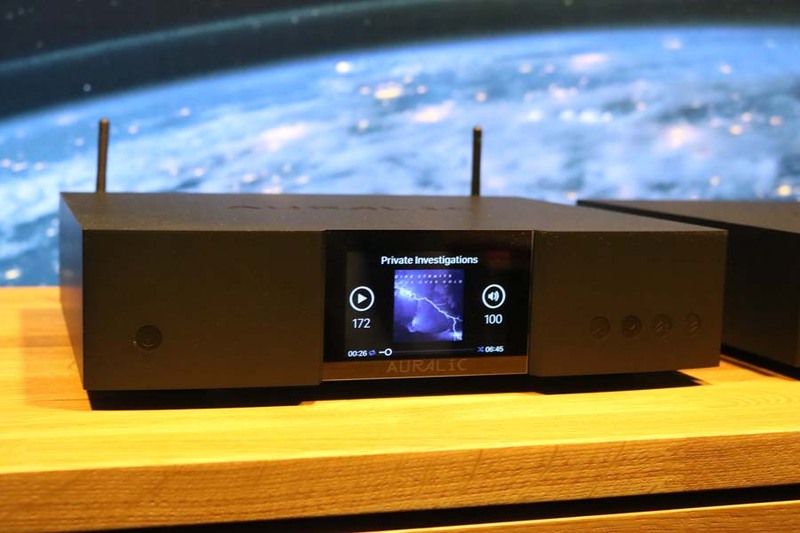 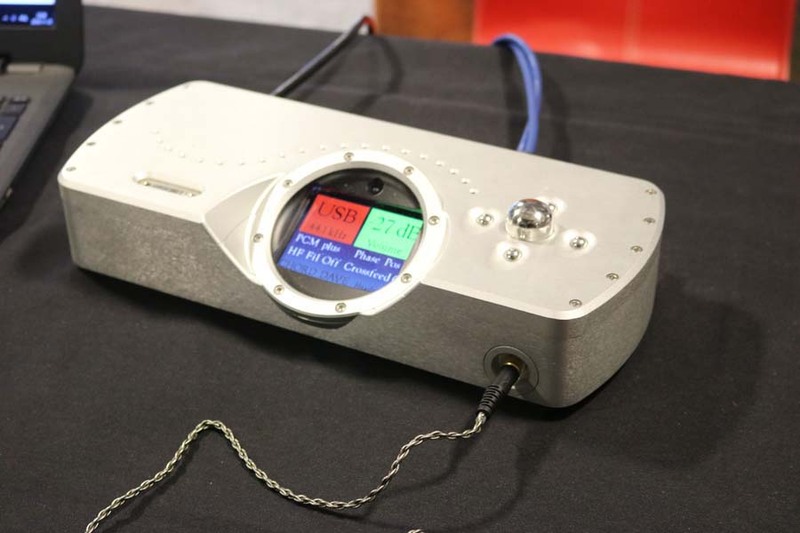 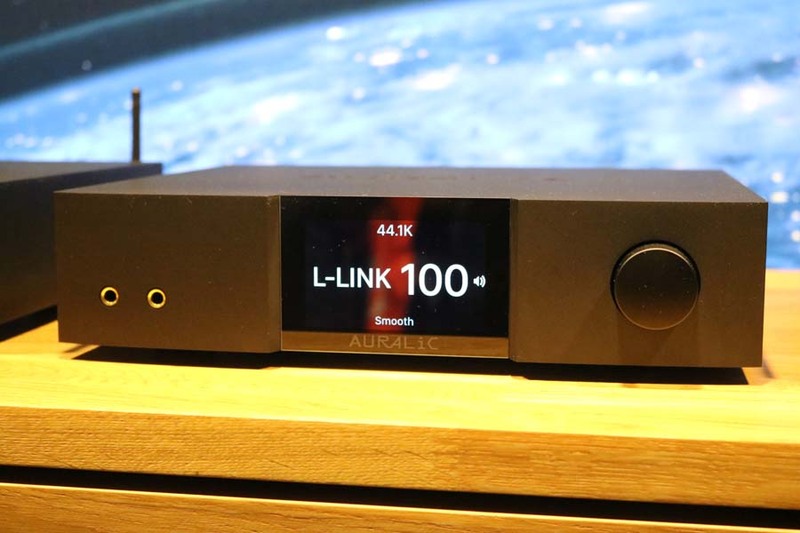 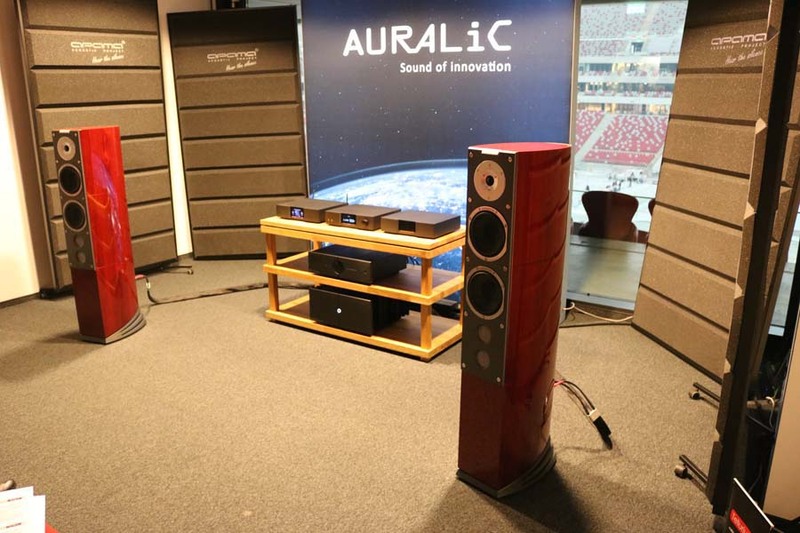 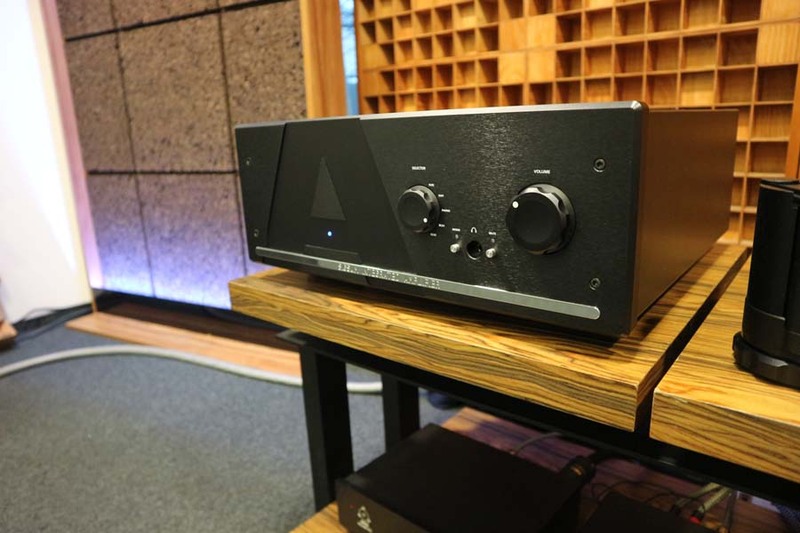 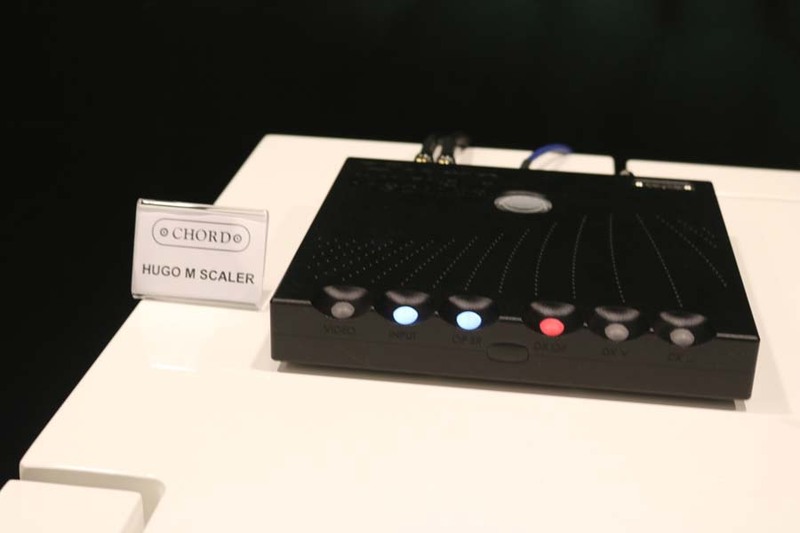 Auralic were showing their Aries G2 streamer, Vega G2 DAC and Leo GX reference clock. 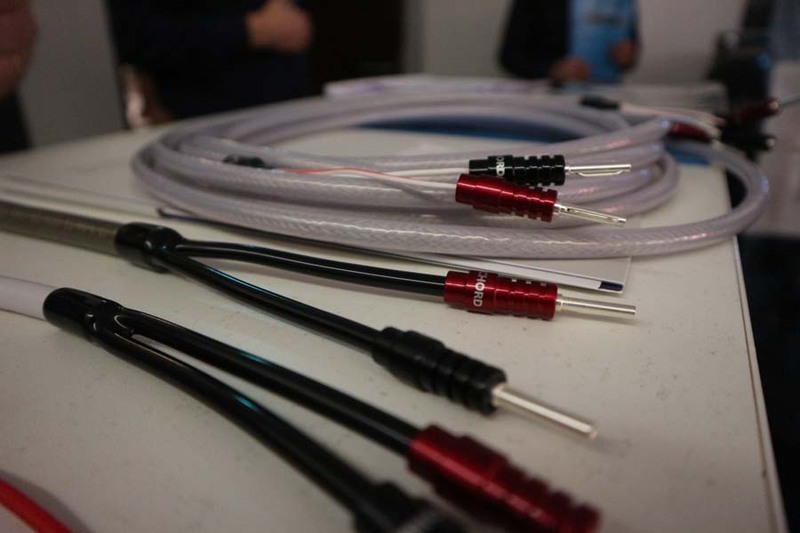 Tellurium Q cables were being used here too. 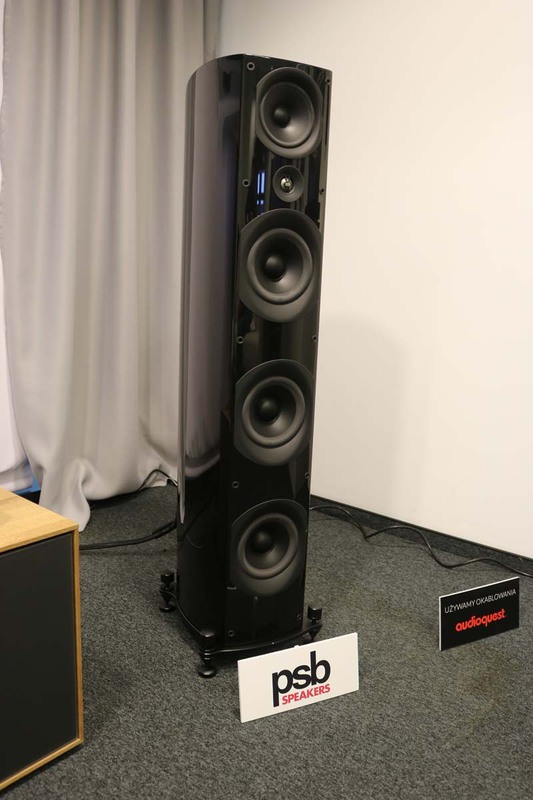 Speakers are from Danish brand Audiovector. 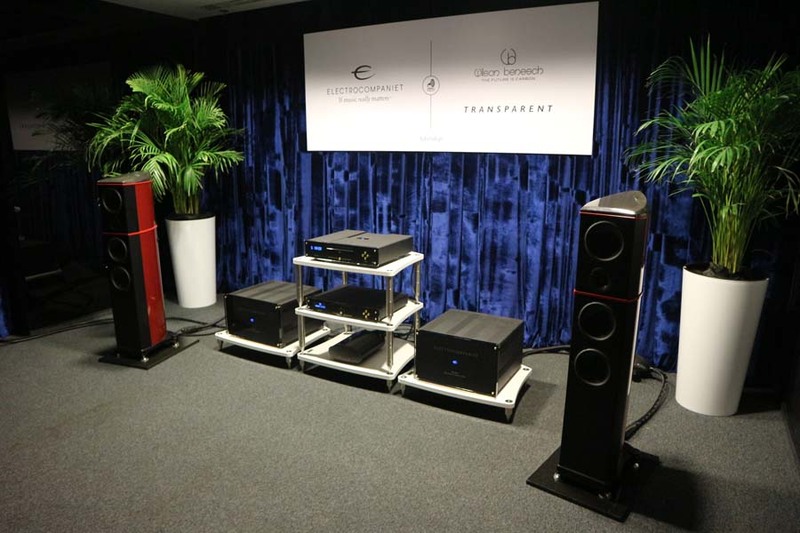 This was an excellent system sound clean and accurate. 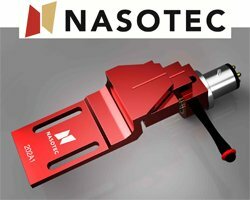 Definitely a partnership you should consider if you are in the market. 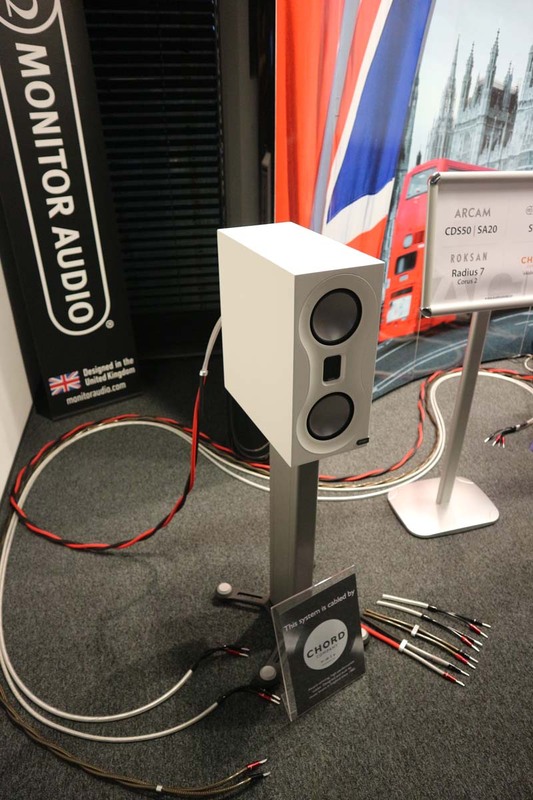 Hugo M Scaler, Hugo TT2 and the TToby from Chord Electronics feeding the Audiovector Avantgarde Arette speakers and cables by Cardas were producing a lively and unforced sound that for me was one of the most impressive sounds of the show given the relatively modest price-point. 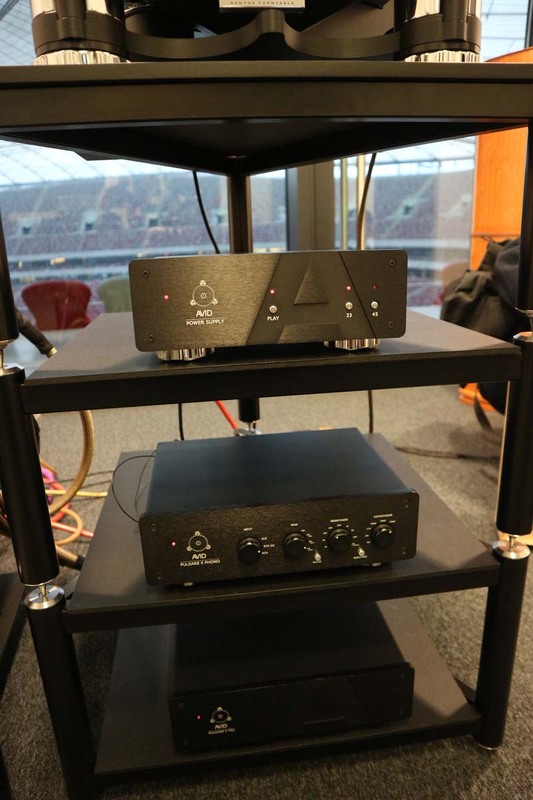 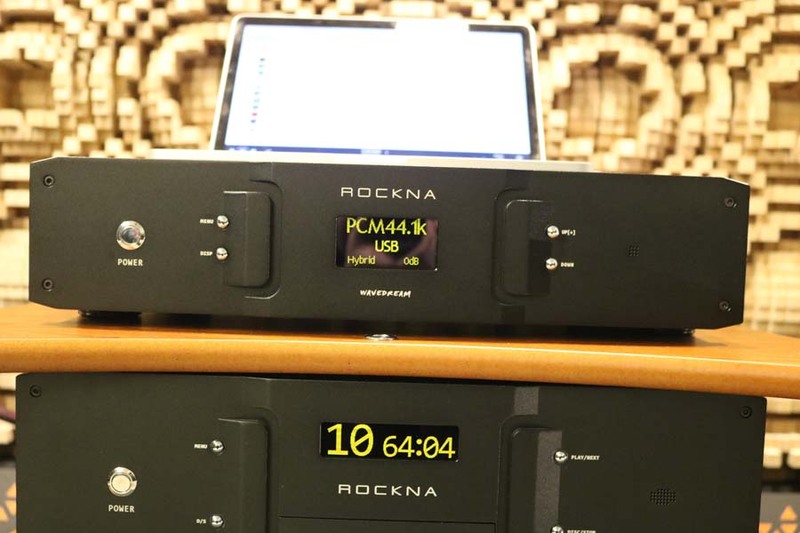 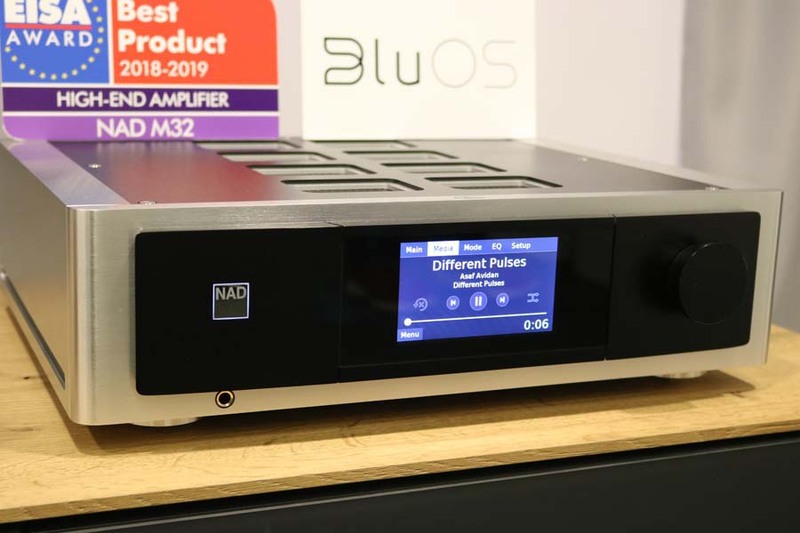 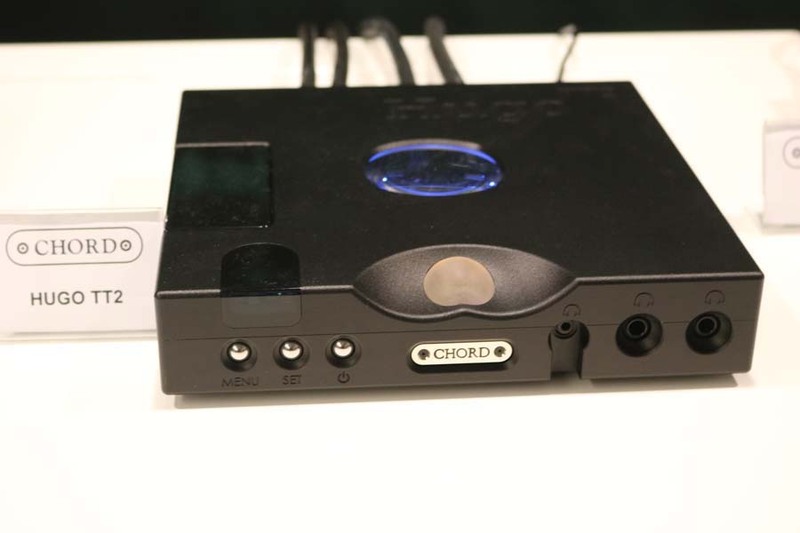 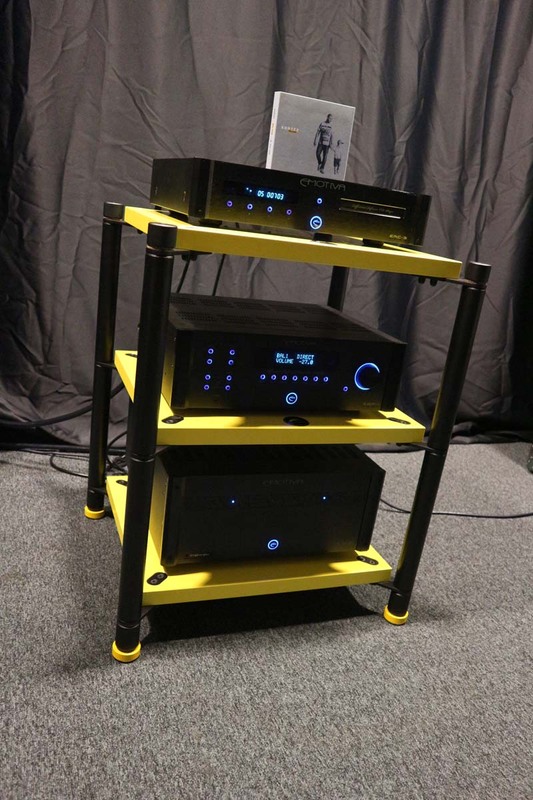 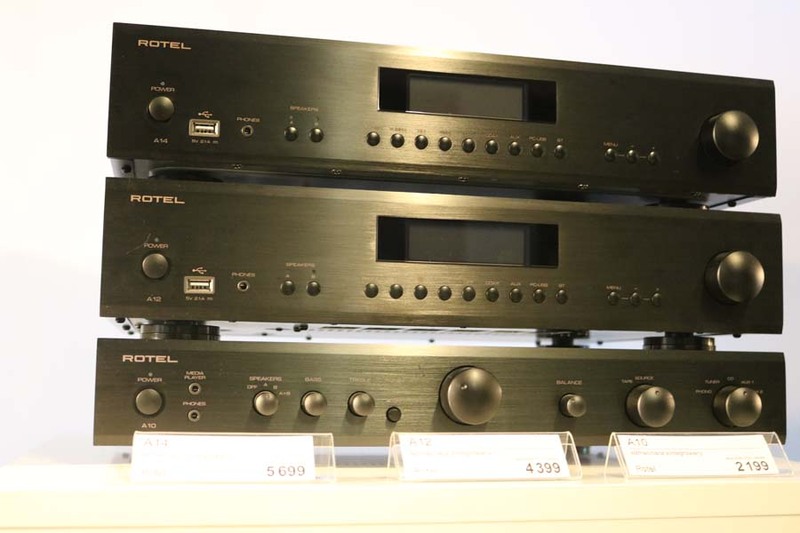 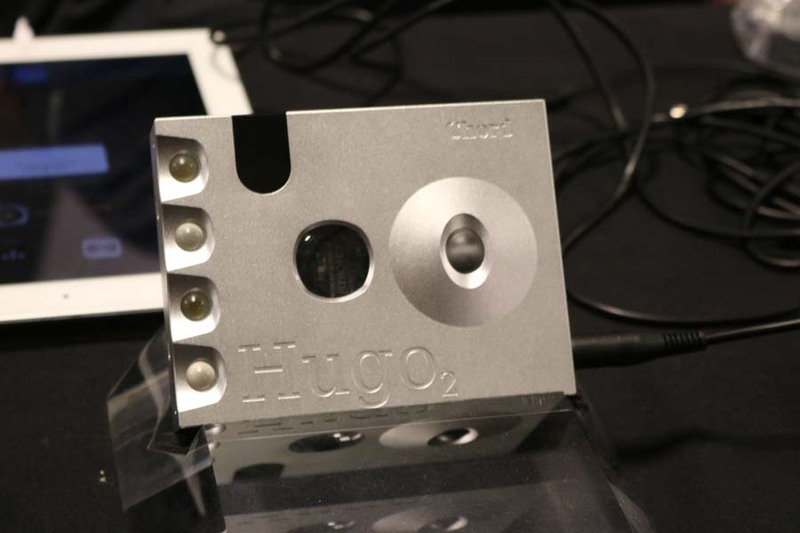 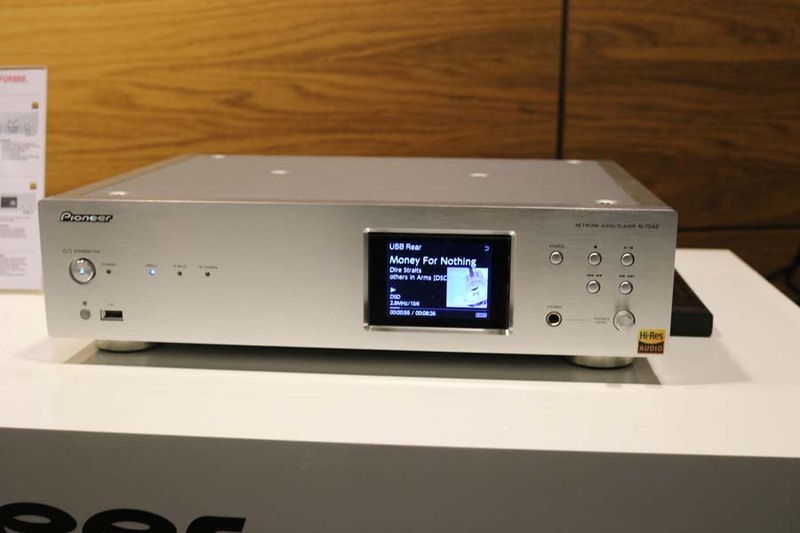 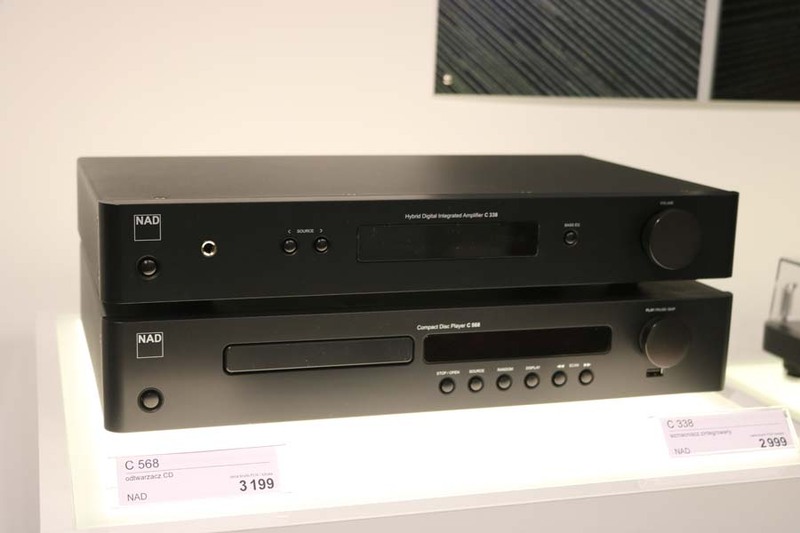 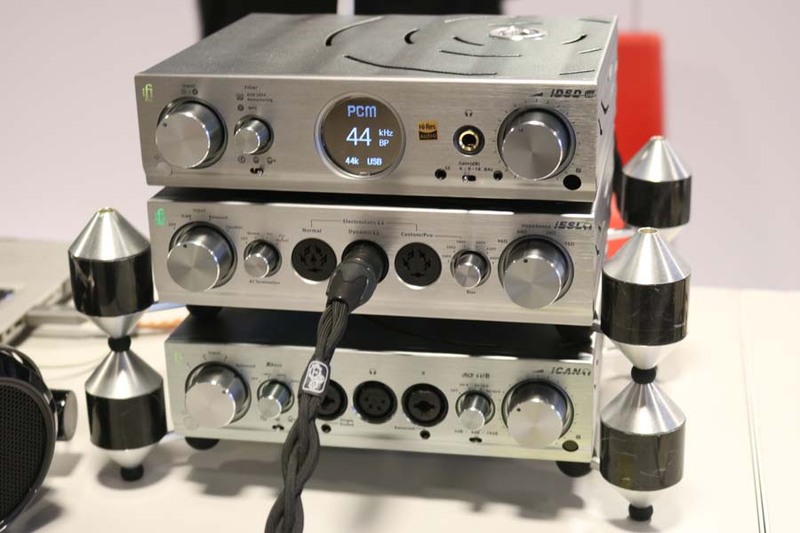 TToby gives out 100Watts a channel, the Hugo TT2 will handle 768kHz PCM and DSD 512 playback whilst Hugo M Scaler uses Rob Watts’ unique filter technology to upscale standard 44.1kHz digital audio up to 705.6kHz (16x CD’s 44.1kHz native resolution), which is fed to the Hugu TT2; Hugo M Scaler extends its upscaling performance to 768kHz (from 96kHz input data) into the Hugo TT 2. 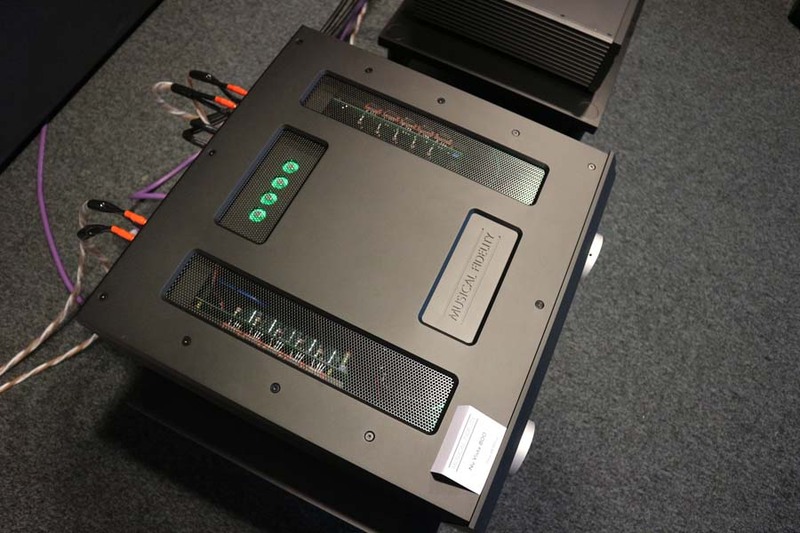 This is an unobtrusive and stylish looking system that I am finding hard to find fault with. 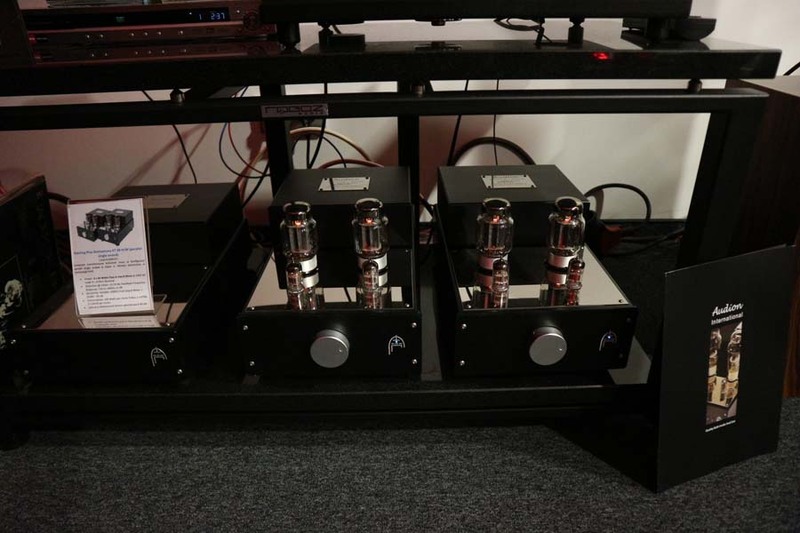 Audiovector R8s being fed their juice by Primare electronics through Cardas cables. 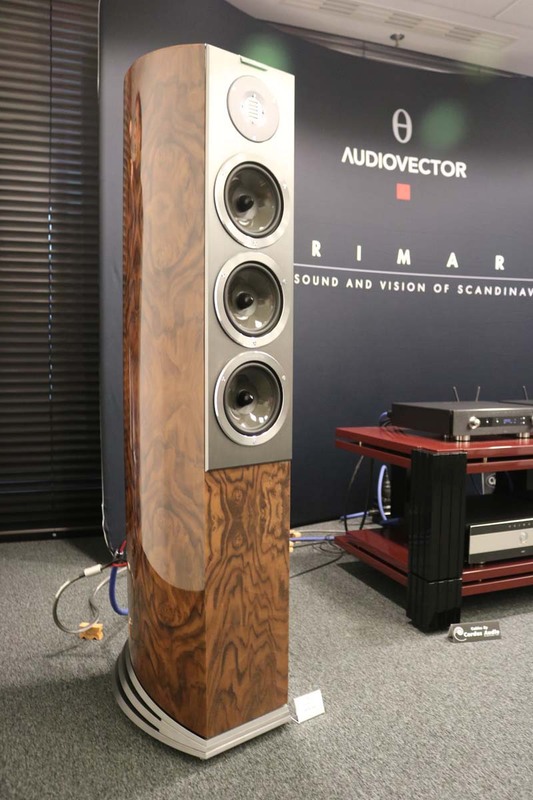 Another lovely sounding room with the big Audiovector R8s really coming into their own. 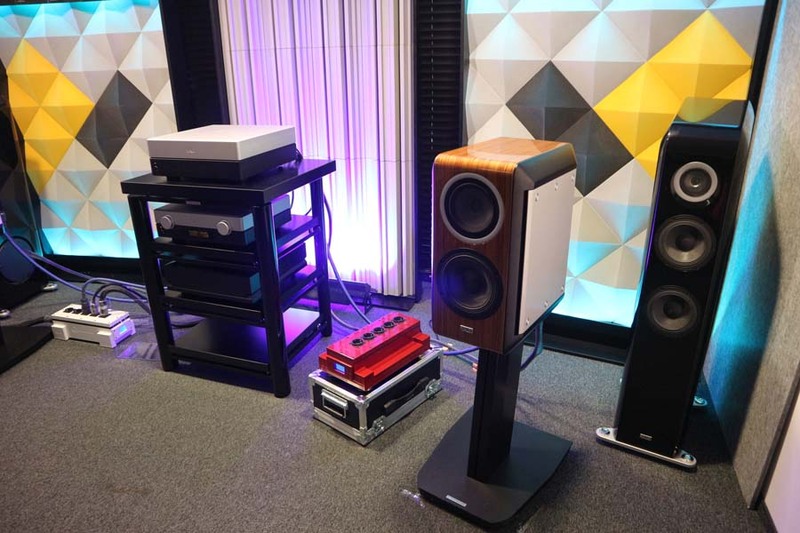 The speakers, and I’ve heard these a few times now, never seem to feel rushed or hassled and just project the music into the room. 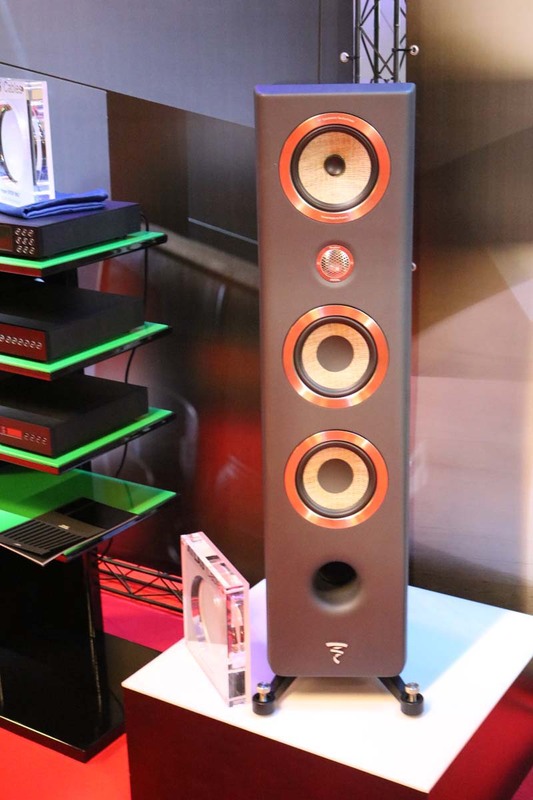 They are deep sounding and very detailed and certainly a speaker I’d look at having at home. 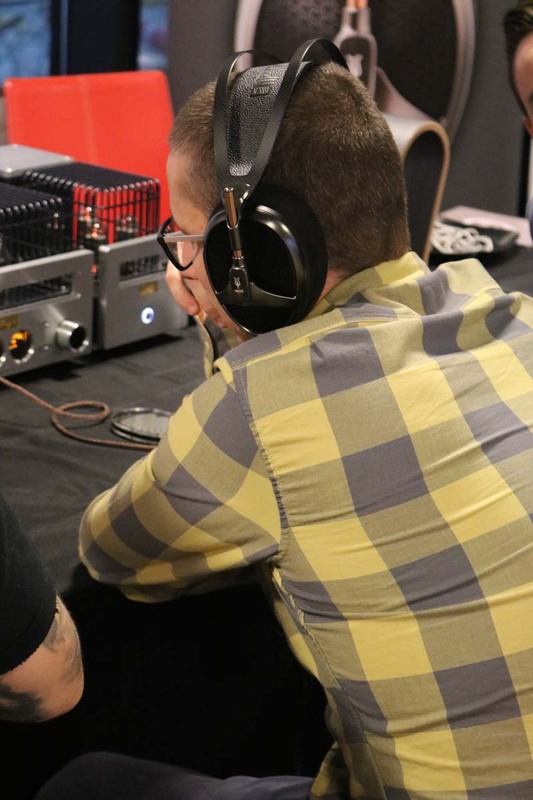 Truth is I was flagging by this point due to a rather nasty bug and so I got very little information about this room. 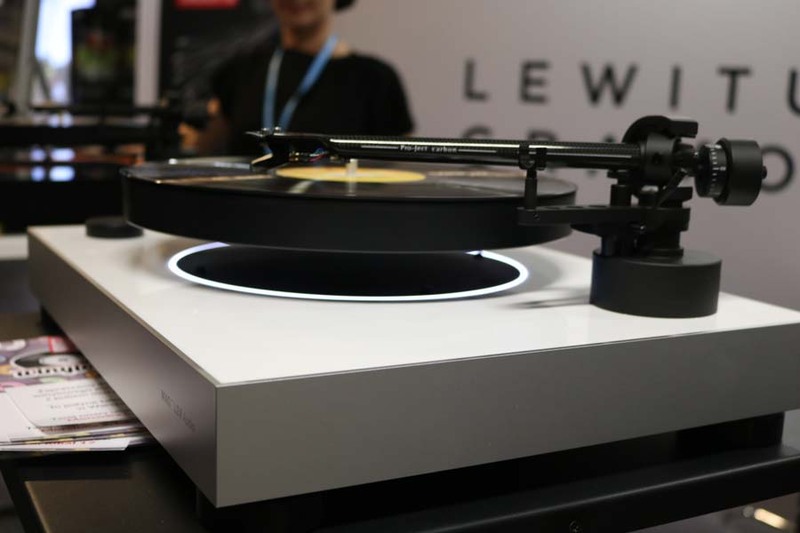 The jury is out on this levitating turntable as I’ve seen it several times but not once have I been offered the opportunity to take a listen. 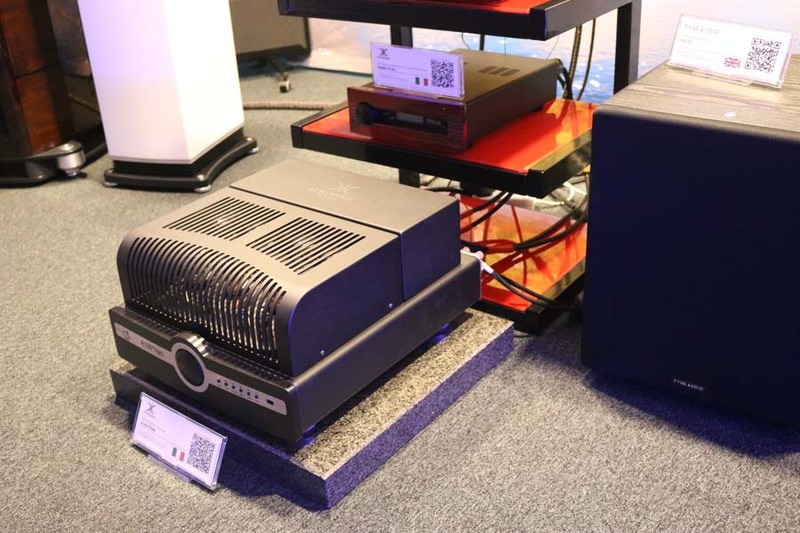 The final floor of the Audio Video Show was covered by Linette. 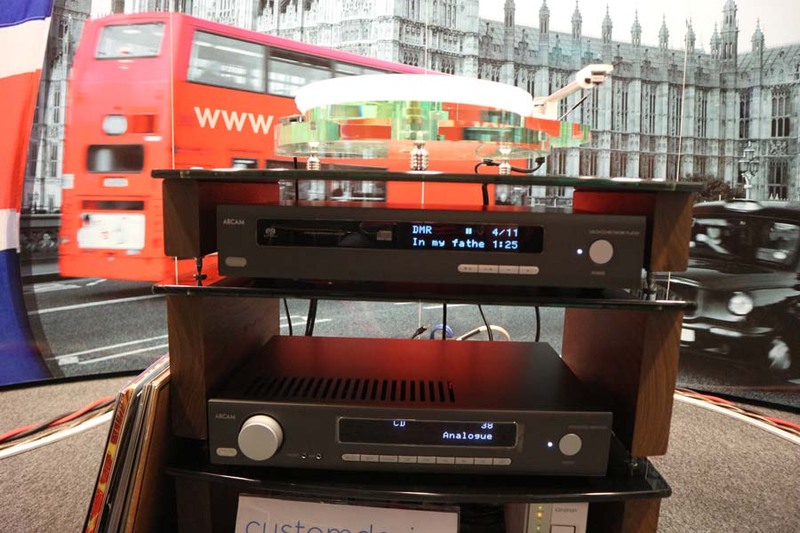 Mytek were showing both a headfi system and then a large system with Wildon speakers and their new Brooklyn Amp. 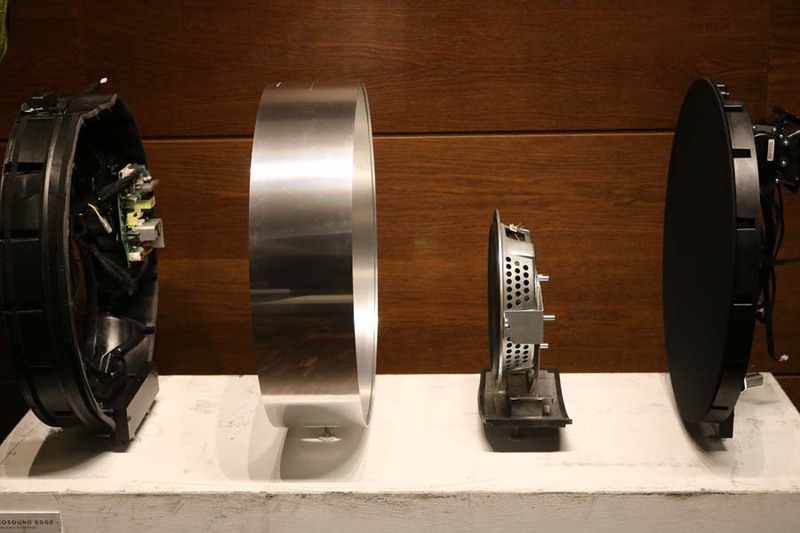 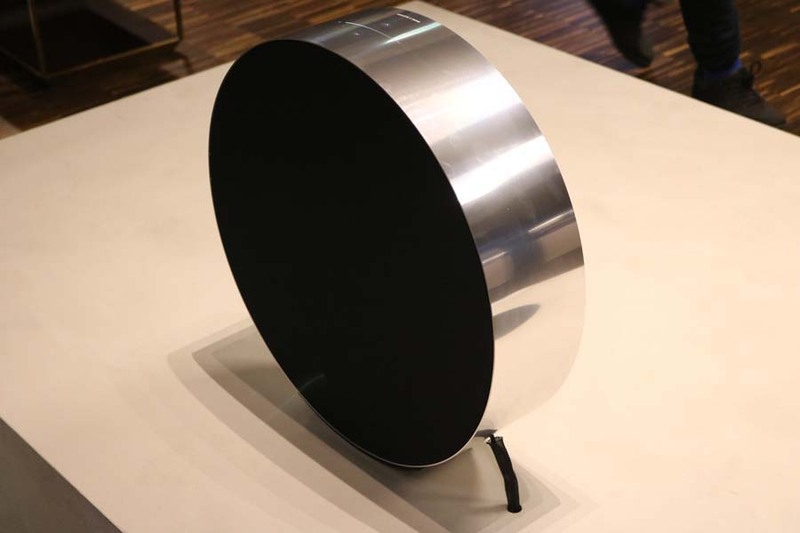 The main focus of the Galeria skybox was a selection of Davone loudspeakers. 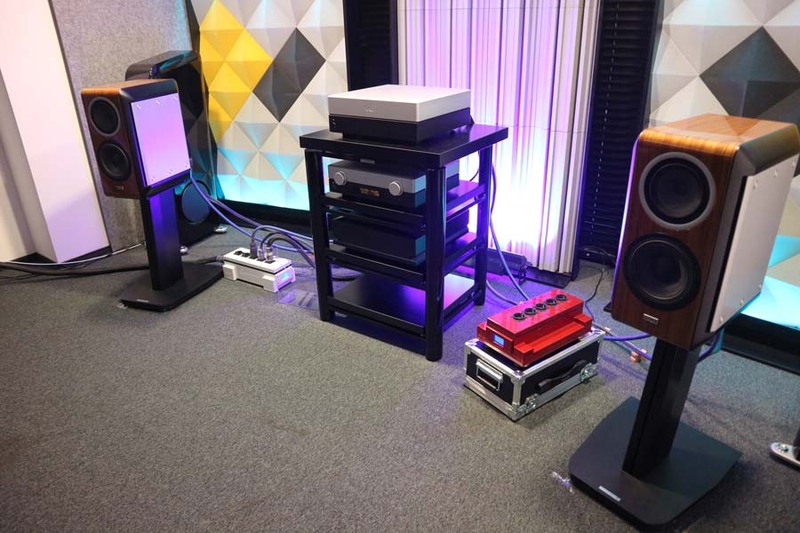 Some very nice Blumenhofer loudspeakers and My Sound Cube amplifiers with lots of the SOtM digital gear. 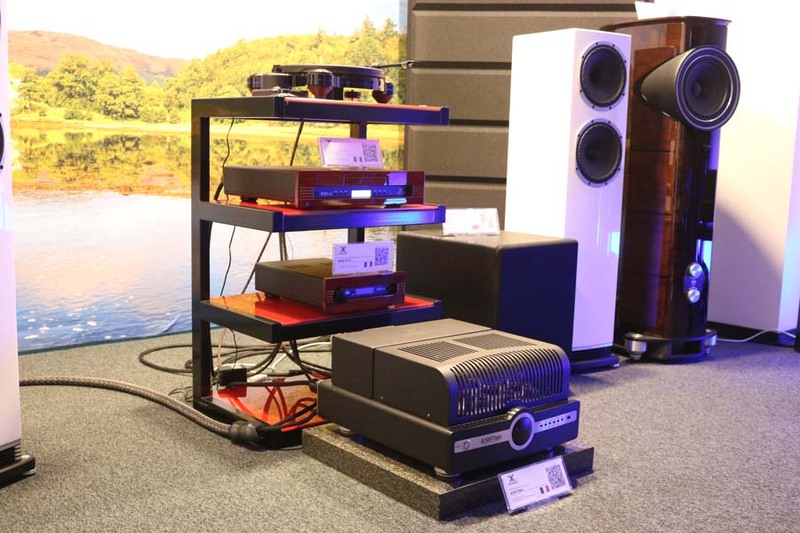 Another exhibitor with two skyboxes, sound club had Franc Audio’s racks in both rooms, supporting Air Tight, Brinkman and Devore in the first room and the blue-glow of Emotiva electronics in the second room along with their BasX loudspeakers. 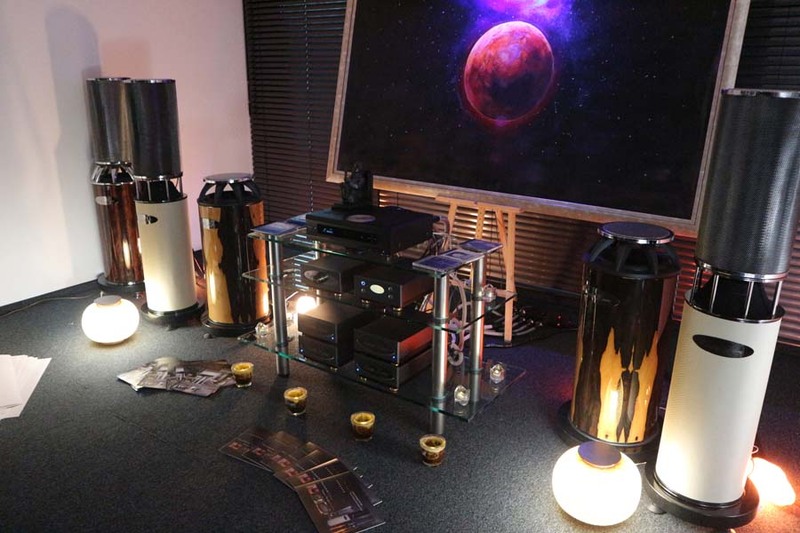 Omnidirectional Zeta Zero speakers in this atmospheric room, didn’t get to hear them though as there was a presentation going on while we were there. 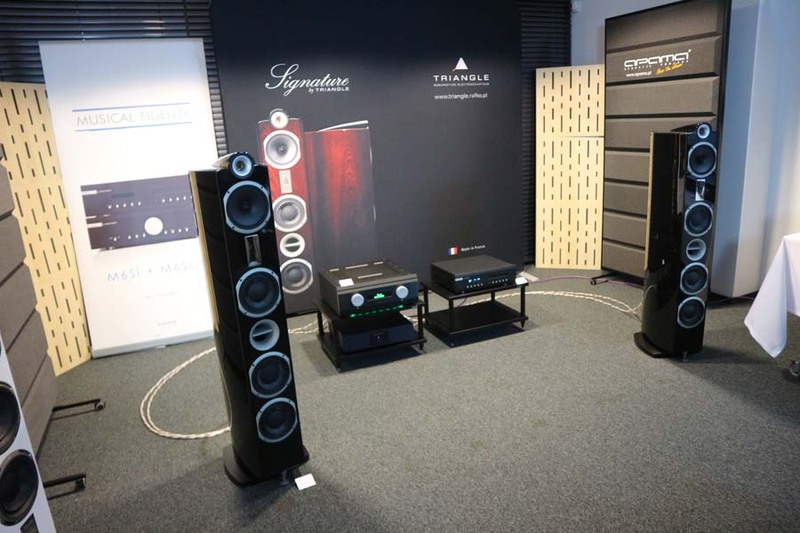 A good set up with French brand Triangle’s Signature loudspeakers and Musical Fidelity Nu Vista 800 amp. 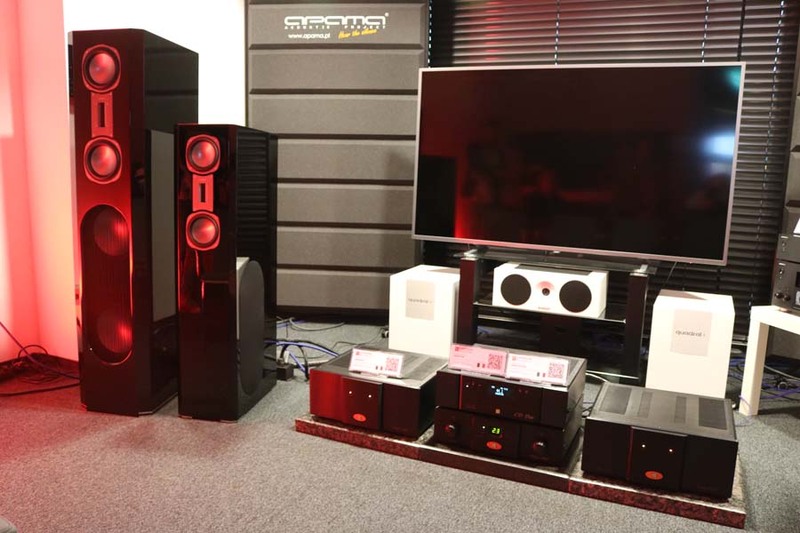 The next three skyboxes were run by Audio Centre who favour a lot of British brands. 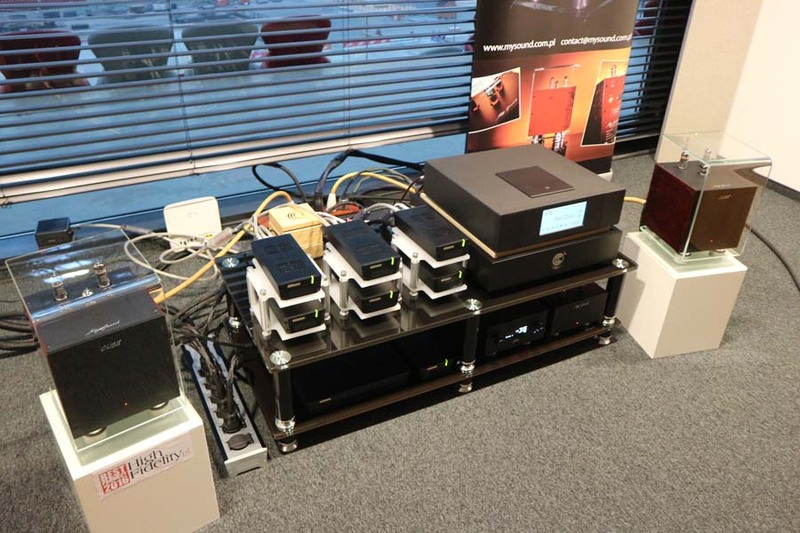 The first room was with Cambridge Audio, the second featured Arcam, Roksan, The Chord Company cables and Monitor Audio. 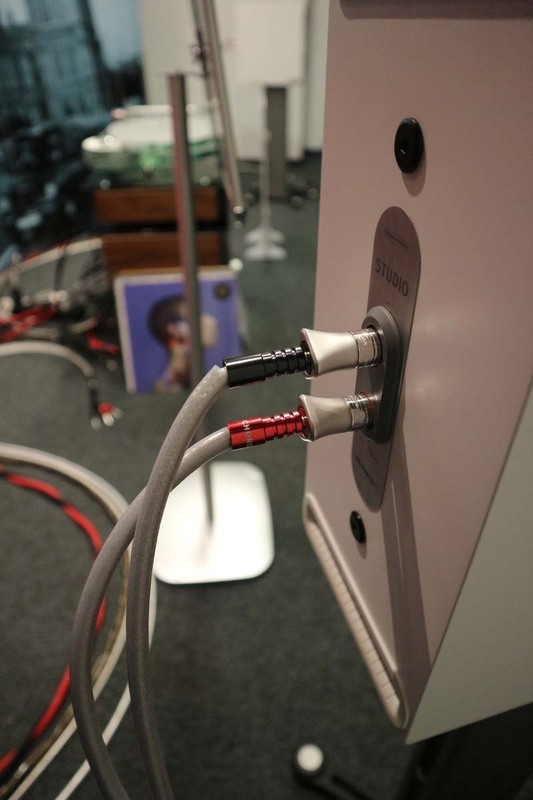 Patrick and Doug from Chord Co were doing a great job with the famous Chord Co cable dems despite the language barrier. 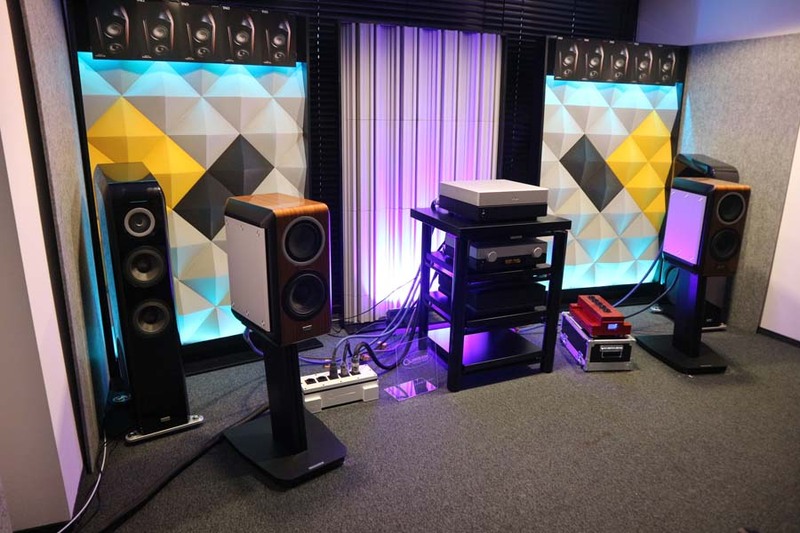 Their third room was Moon by Simaudio and Audiovector. 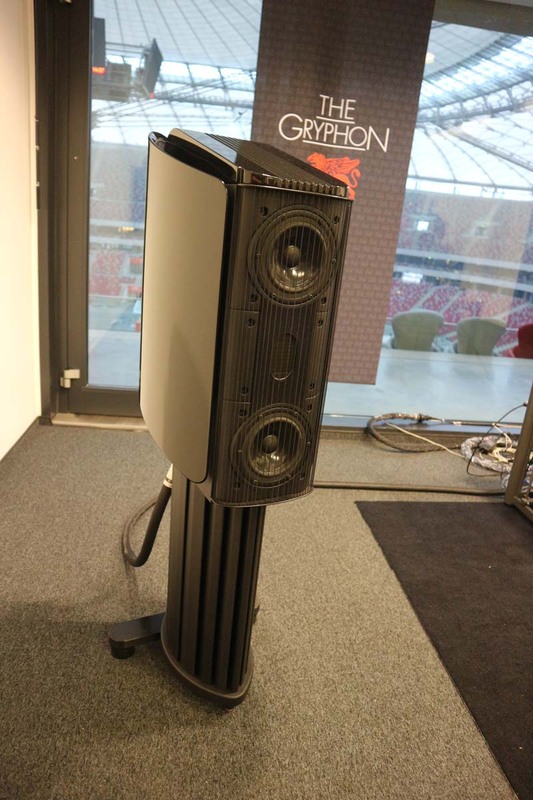 This was my first encounter with the recently launched Wilson Audio Sasha DAW loudspeakers, released in honour of Dave Wilson. 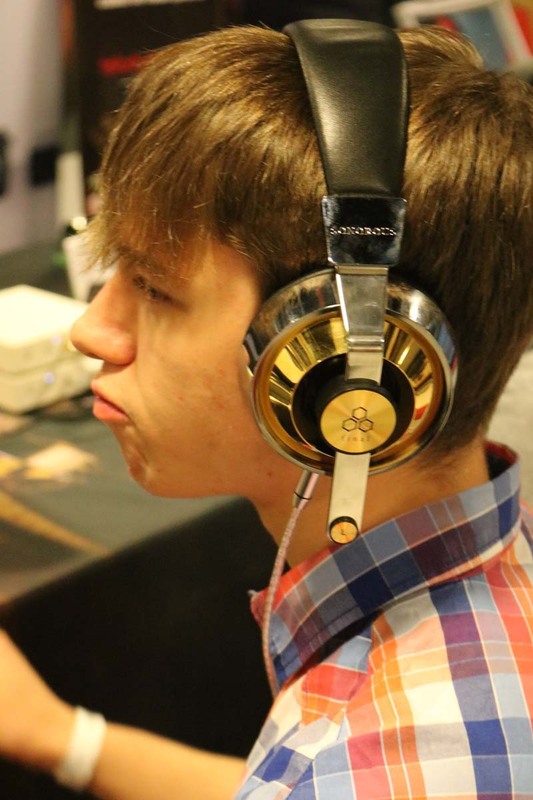 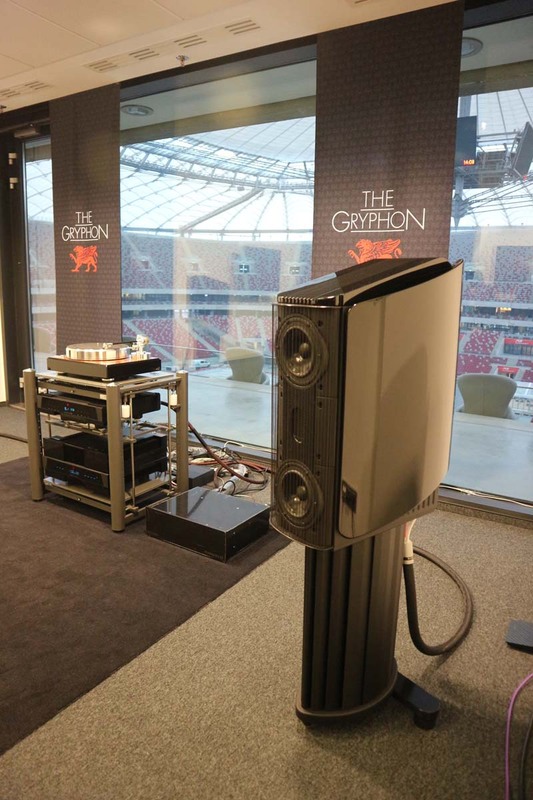 Wilson was partnered with Gryphon to make a serious system. 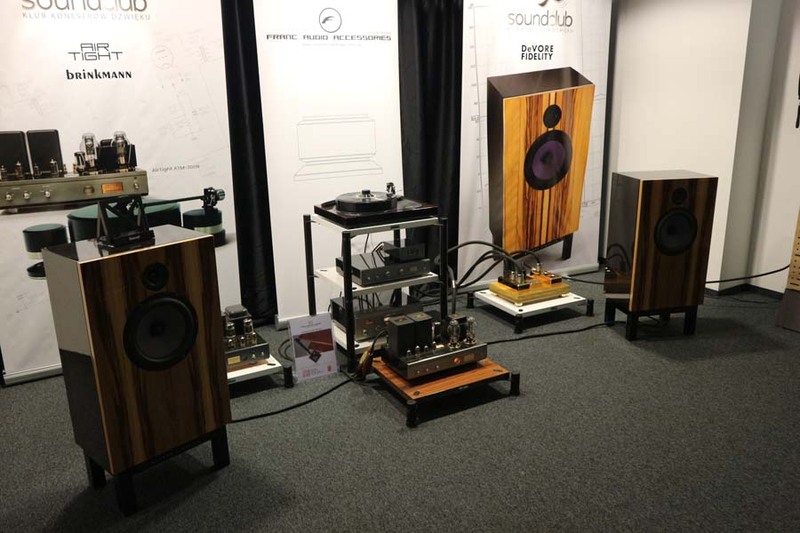 Next door Audiofast gave the whole room over to Gryphon, the Danish powerhouse of a brand sounding great and the room capably run by Rune who is back with the company again since Flemming has retired. 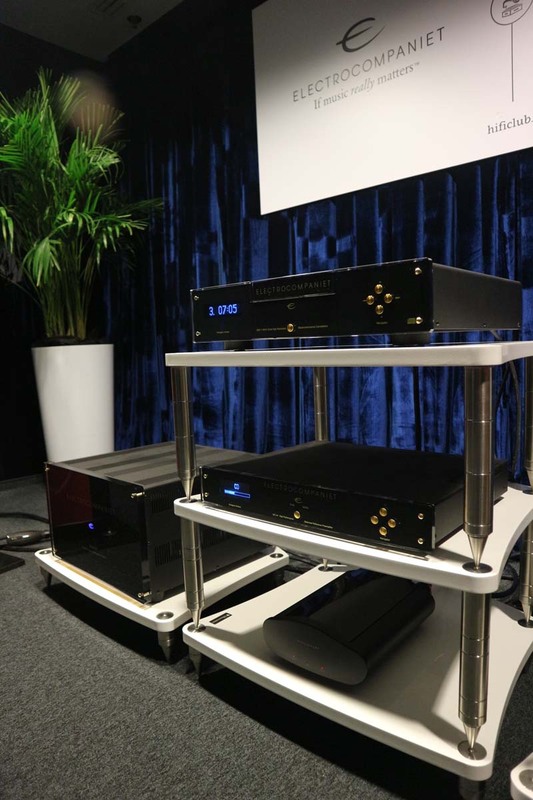 The system consisted of the Diablo 300 integrated Amplifier with the Diablo DAC module and the PS2-photo stage module, Scorpio S CD-player and the Mojo S 2-way Speakers, cabling was Gryphon VIP. 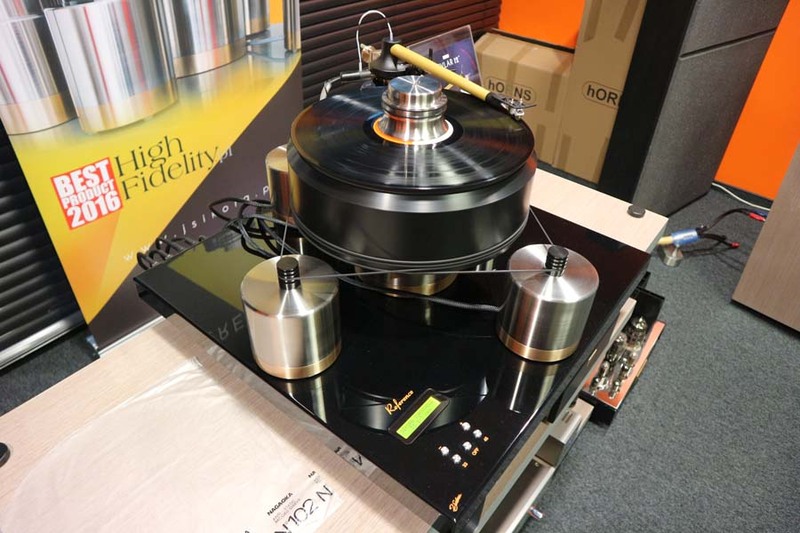 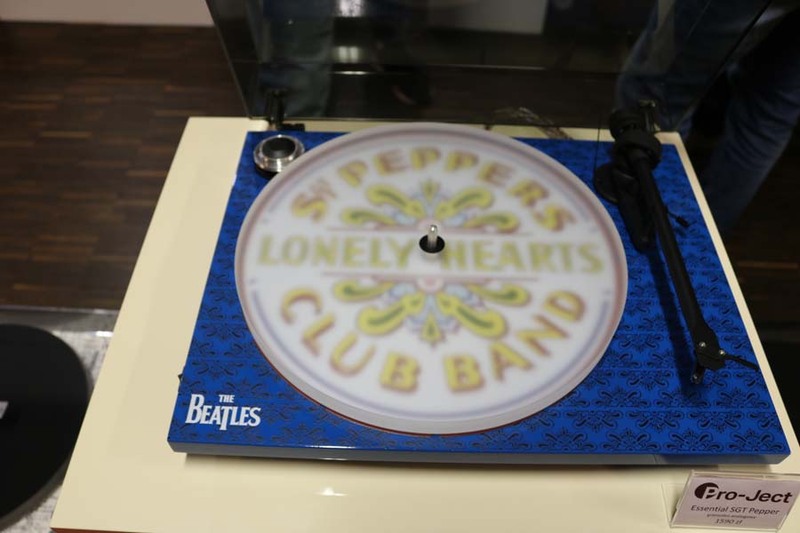 Also in there was an Acoustic Signature turntable from Germany. 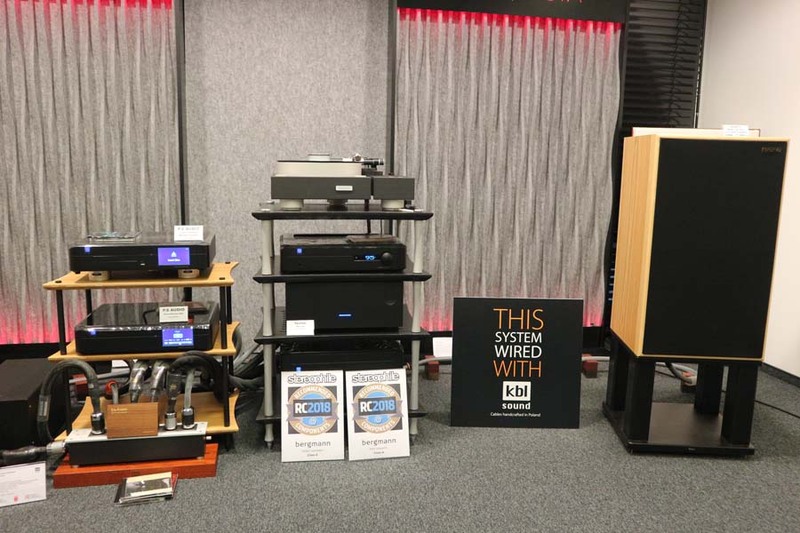 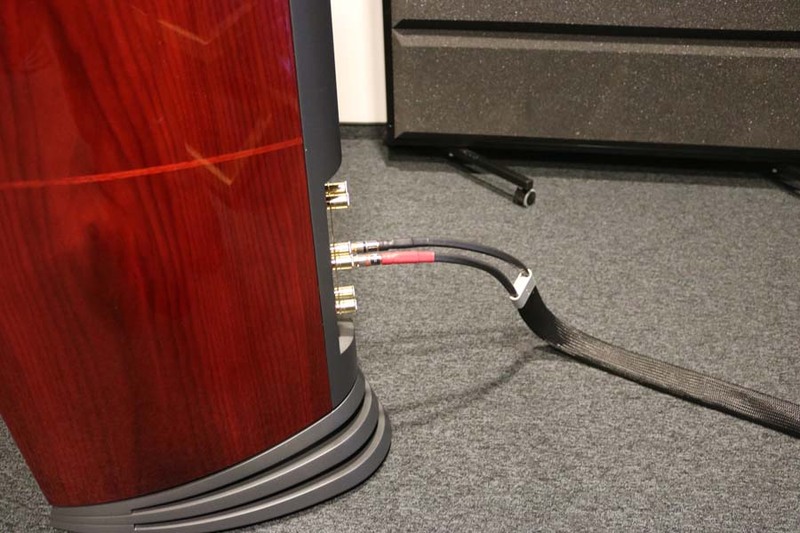 Hifi Club had put together a very good sounding system featuring Electrocompaniet from Norway, British brand Wilson Benesch’s loudspeakers and Transparent cable. 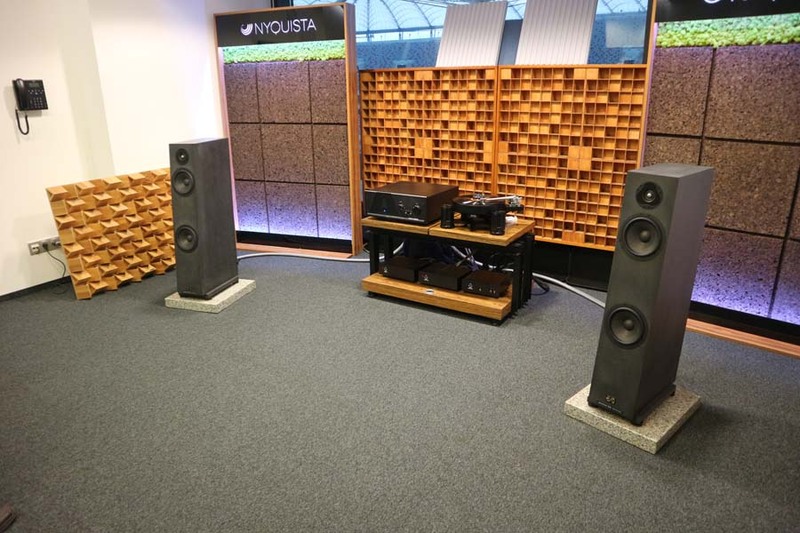 The Living Voice OBX RW loudspeakers were sounding excellent in this room partnered with Audion valve amps. 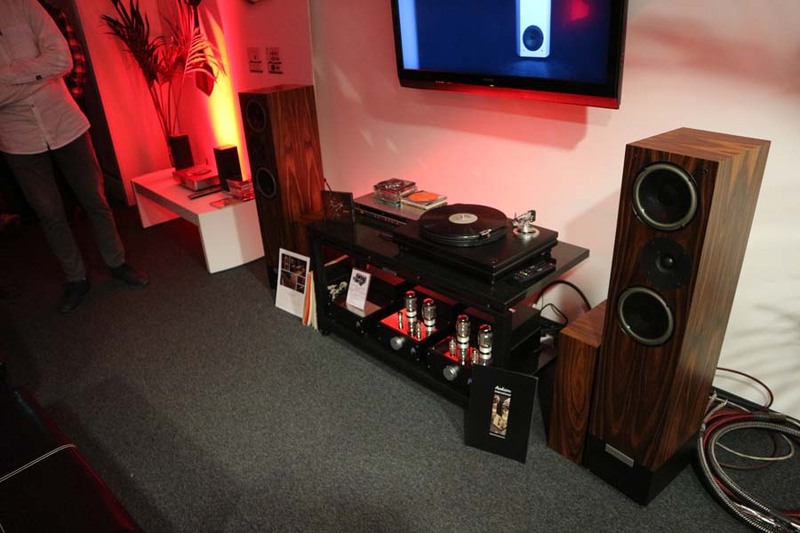 The room also featured Technics. 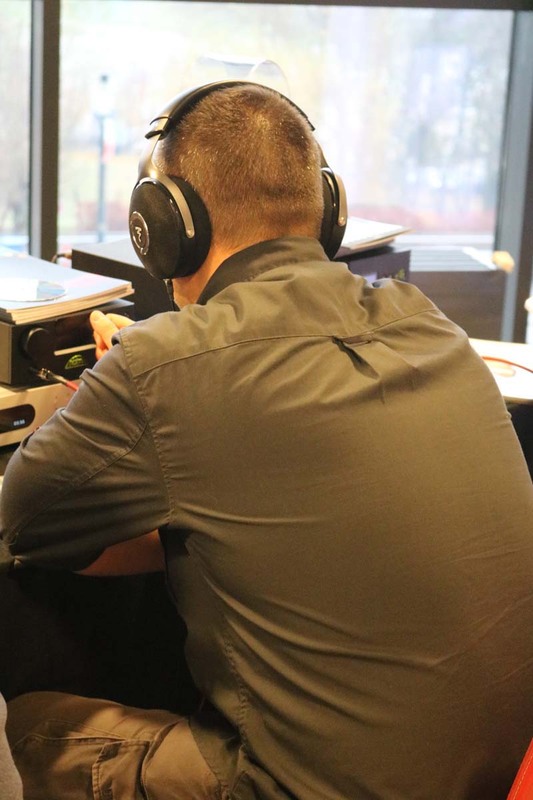 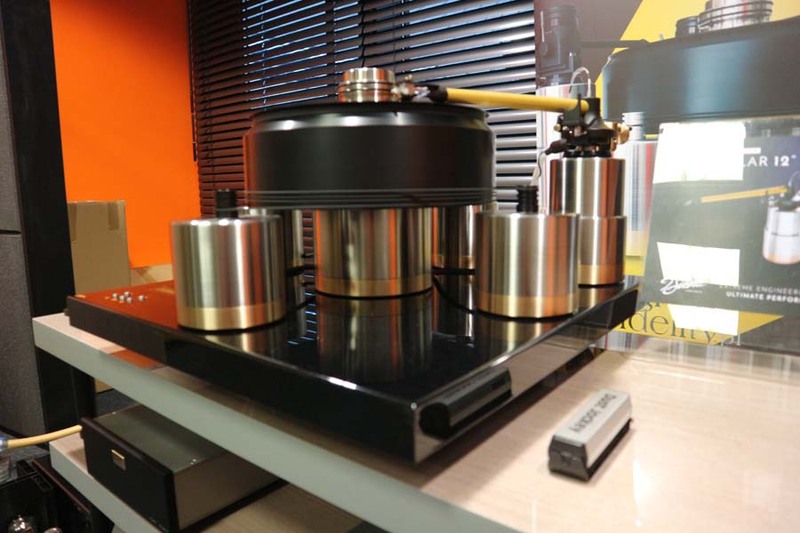 Sikora had the world premiere of their new 15g Kevlar tonearm which is a12″ unipivot with oil damping, the wand being a Kevlar conical tube. 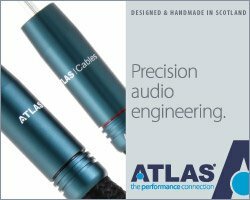 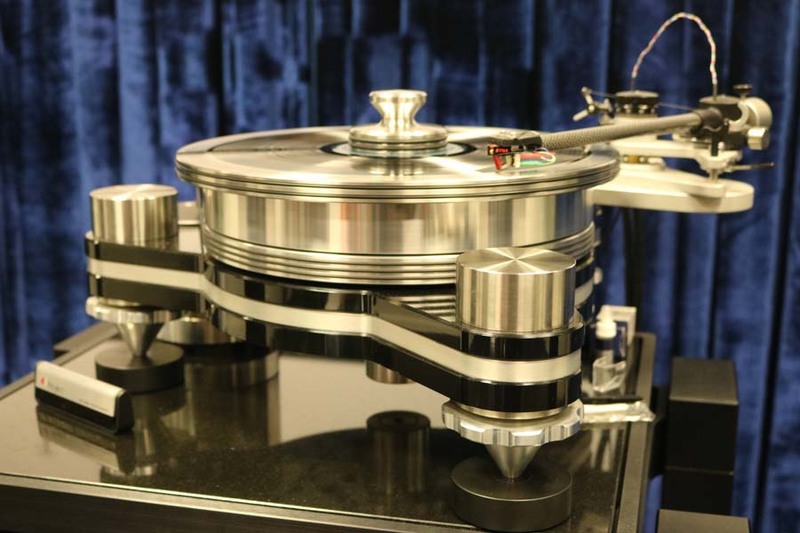 The tonearm cables are monocrystalic silver from Albedo. 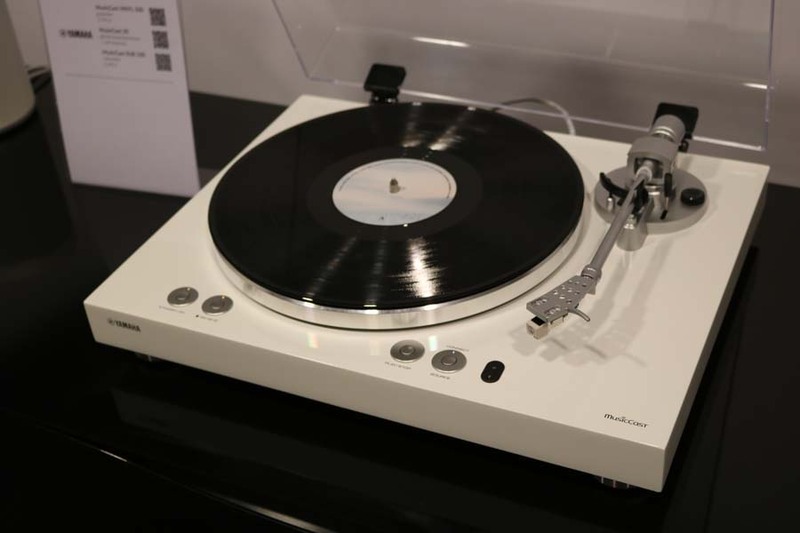 The turntable was the J Sikora Reference. 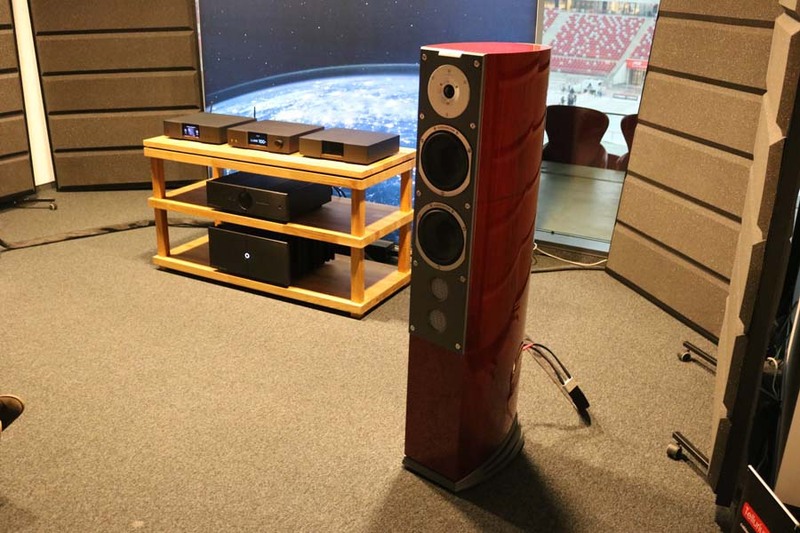 The big hORNS speakers were their Symphony. 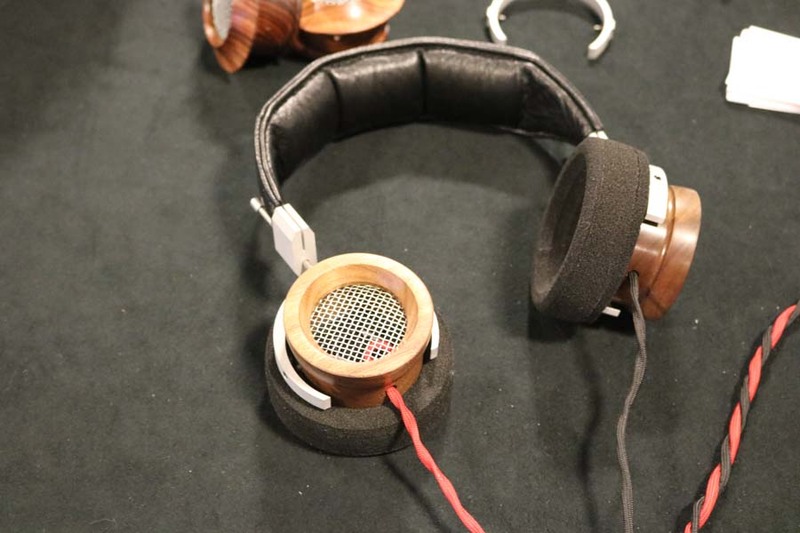 Really lovely sound. 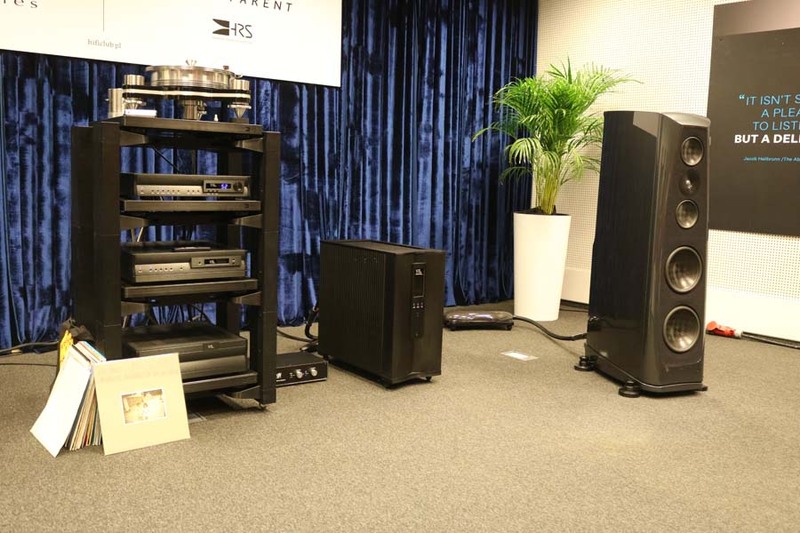 Intrada’s first room featured a very attractive Avid system, with Mertrum Lab ESA loudspeakers. 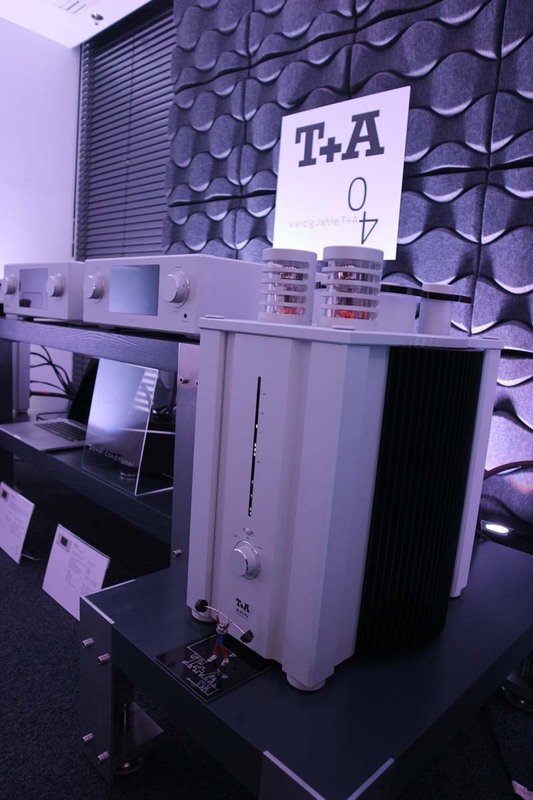 T+A always create an attractive room at shows, both sound wise and their good use of lighting. 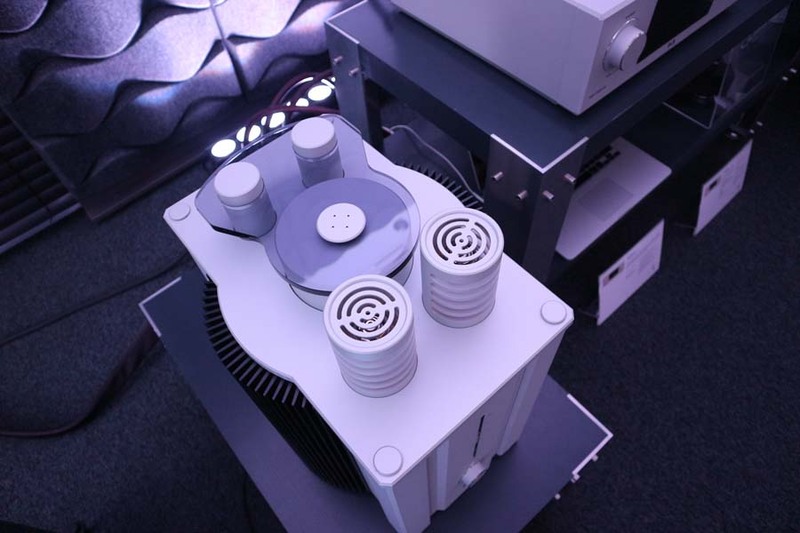 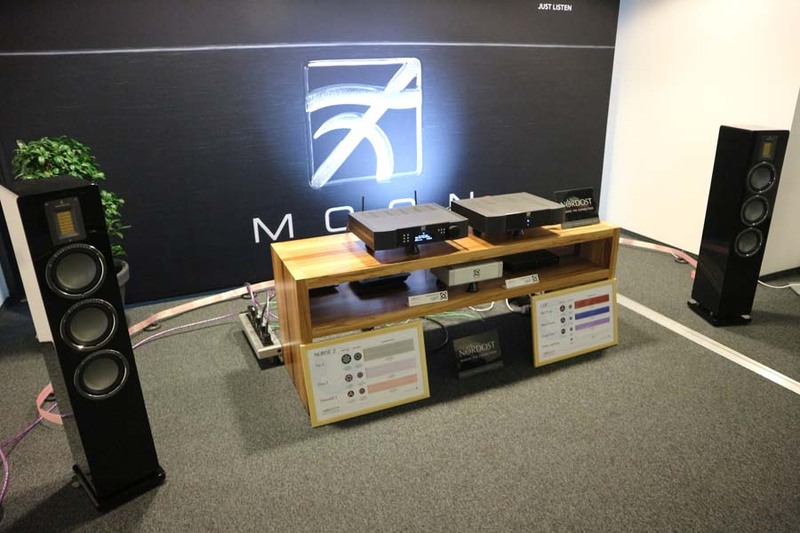 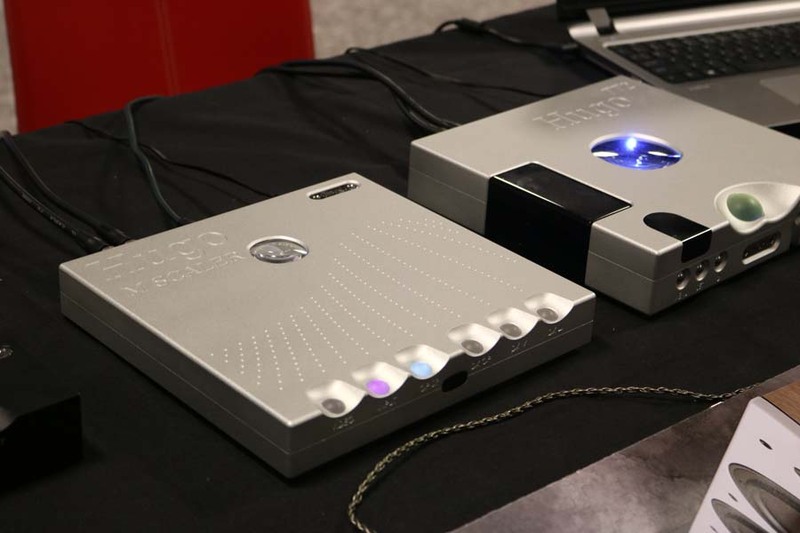 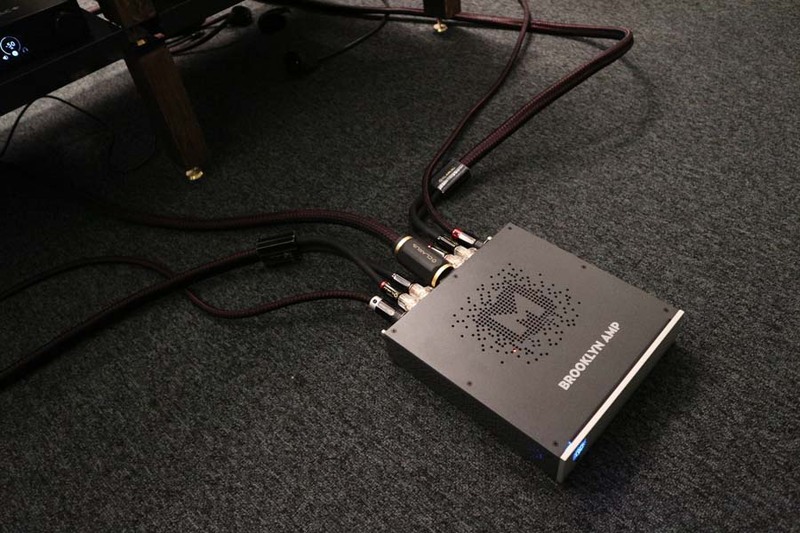 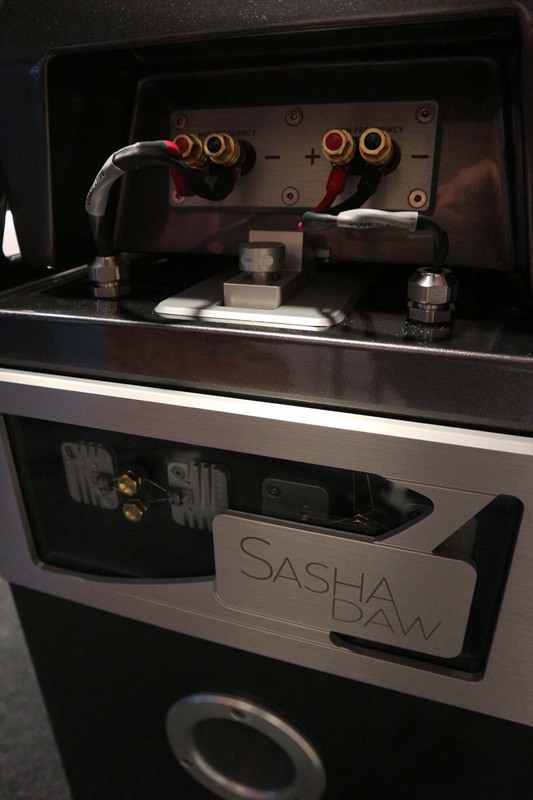 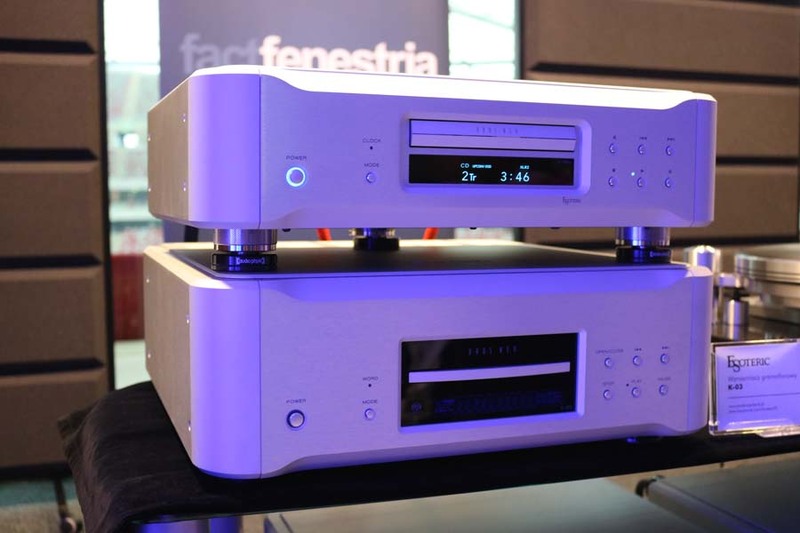 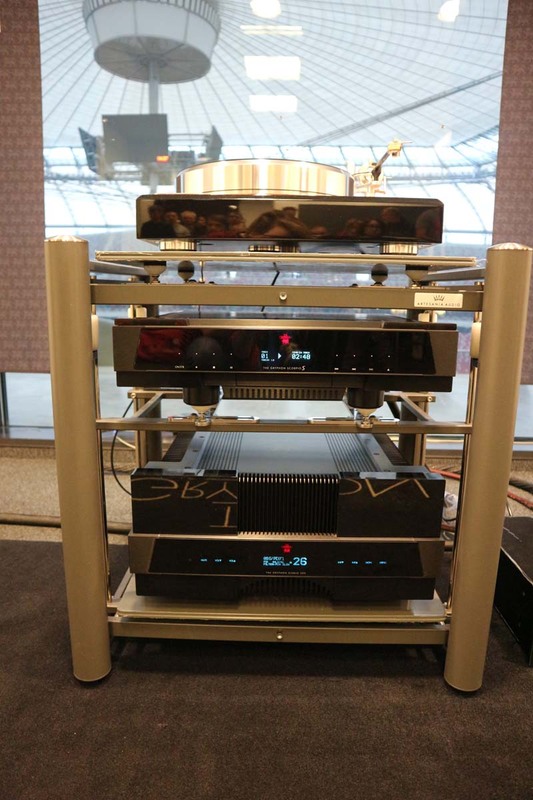 The stars of the show were their new M40HVth Anniversary edition monoblock amplifiers. 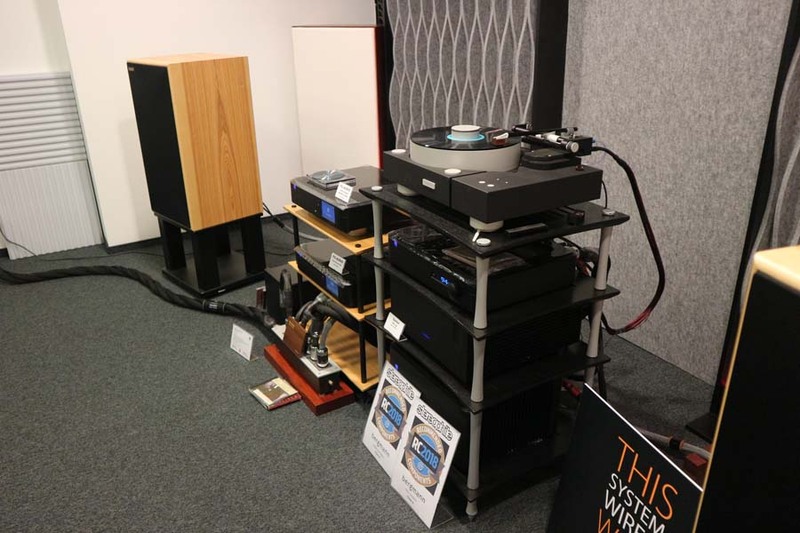 The floorstanding speakers were T+A Criterion S and the system was cabled by Tellurium Q.
TAD had a great sounding system, the Japanese brand are another that can be counted on to deliver at shows. 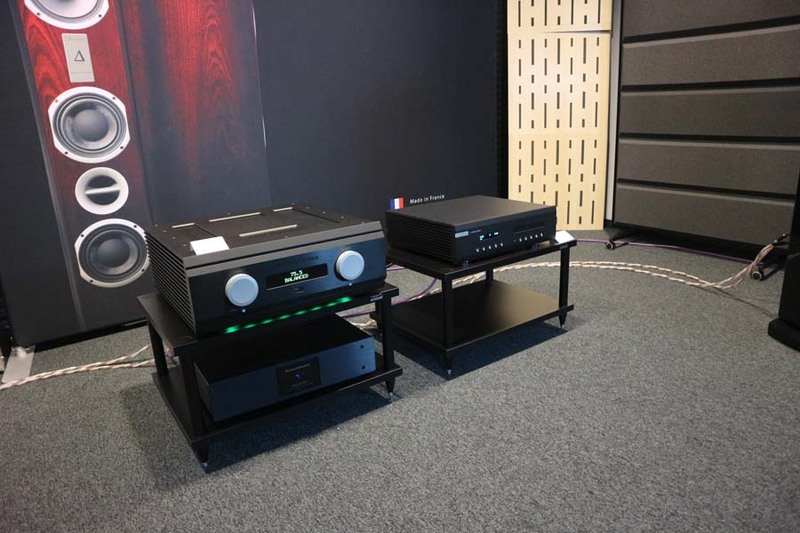 Next door Best Audio was a popular room featuring Advance from France. 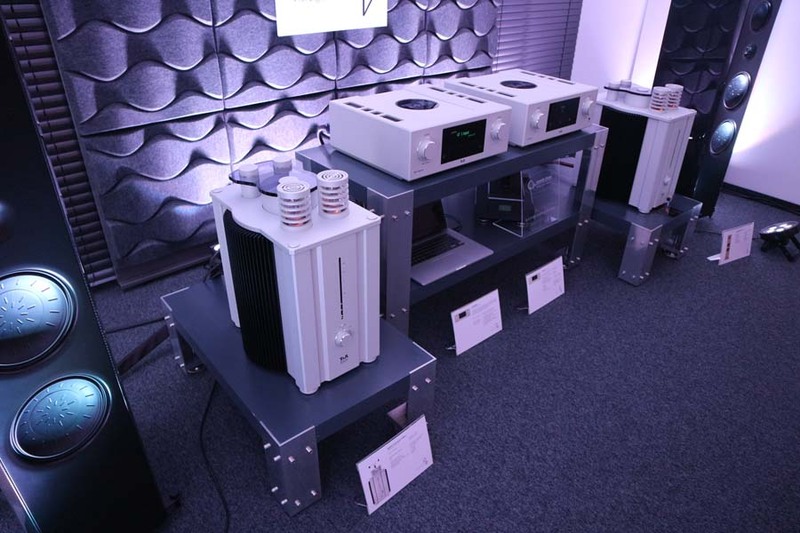 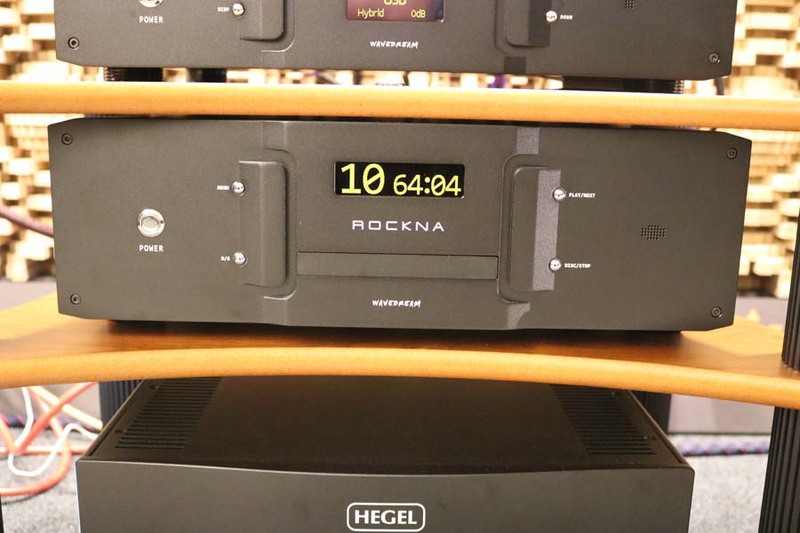 Intrada’s second room featured Nagra, Avid and Stenheim along with Isotek. 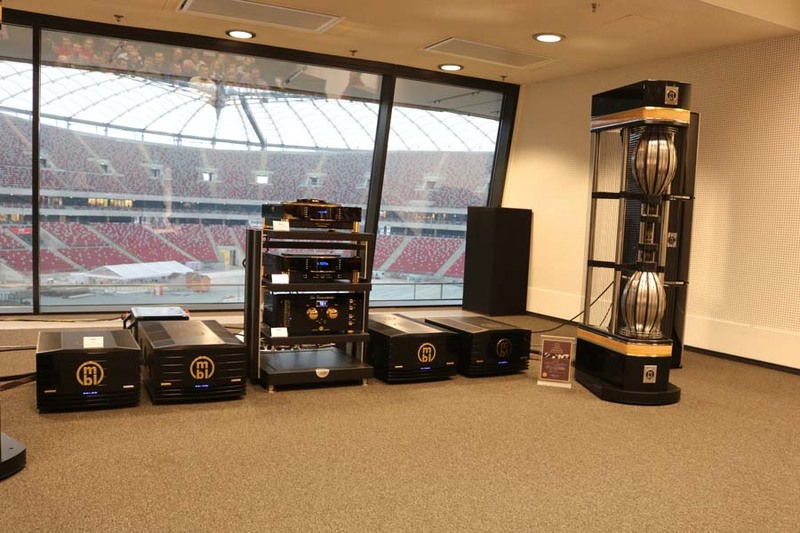 Another room from Audiofast was the final one on the top level of the stadium. 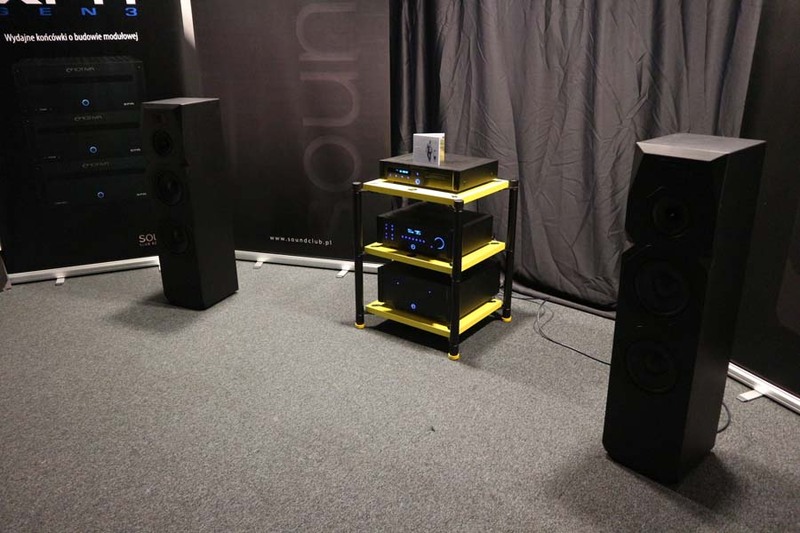 This one featured GoldenEar loudspeakers along with Aurender, Prima Luna and Synergistic Research. 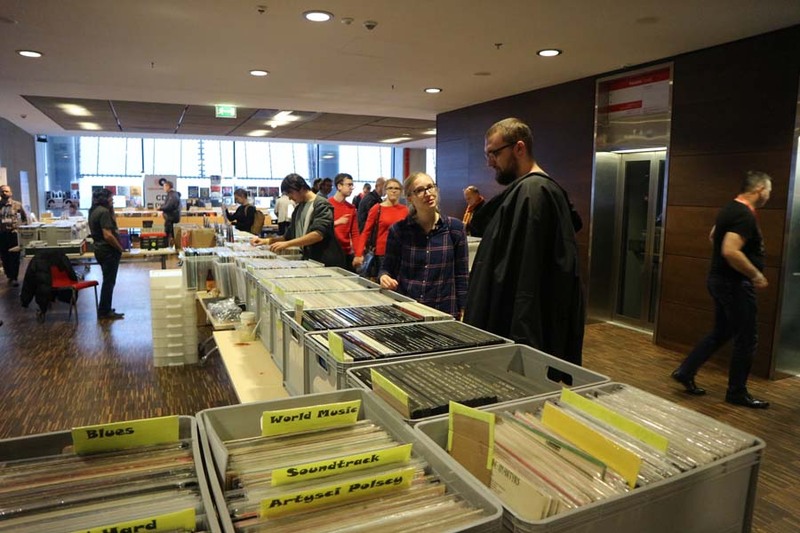 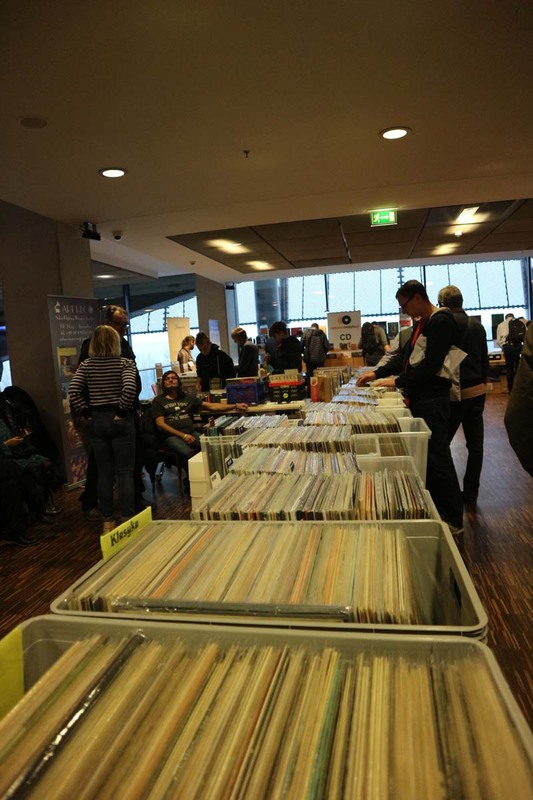 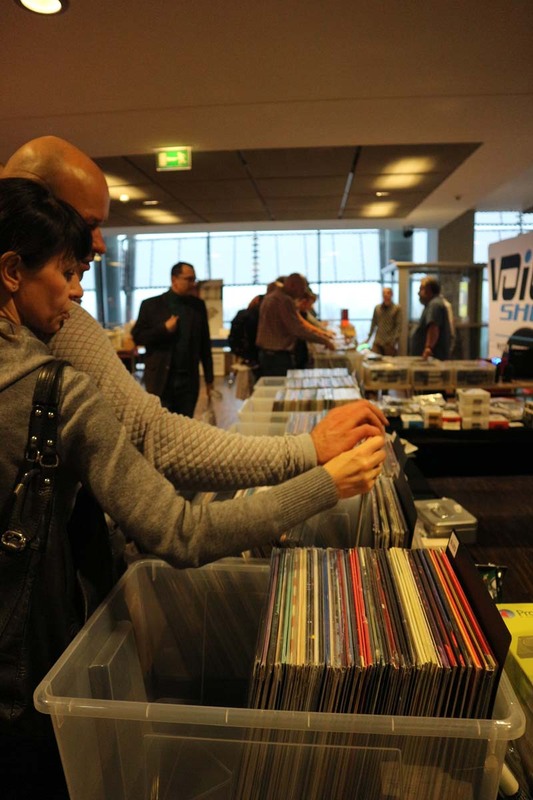 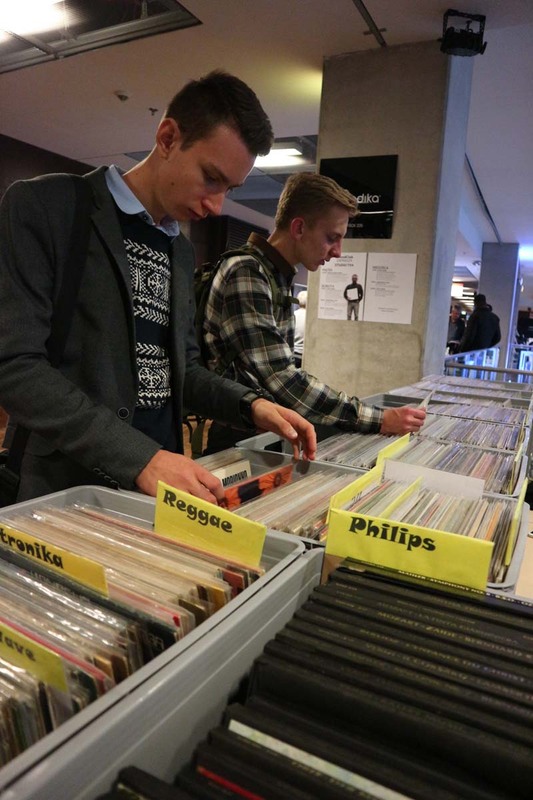 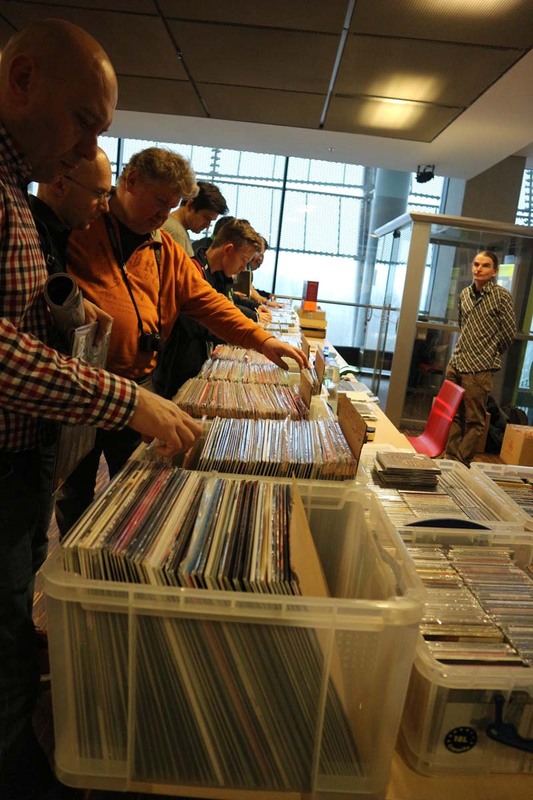 Record collectors were also in for a treat as there were a host of stalls selling music, which seemed very popular. 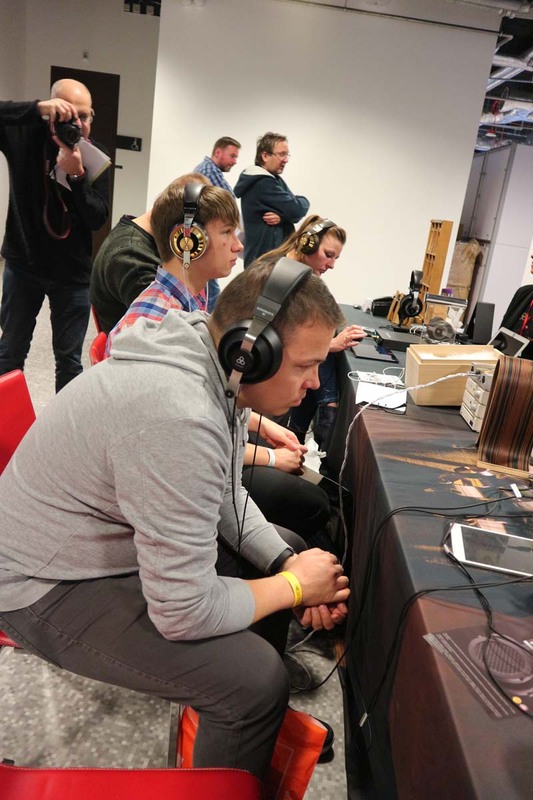 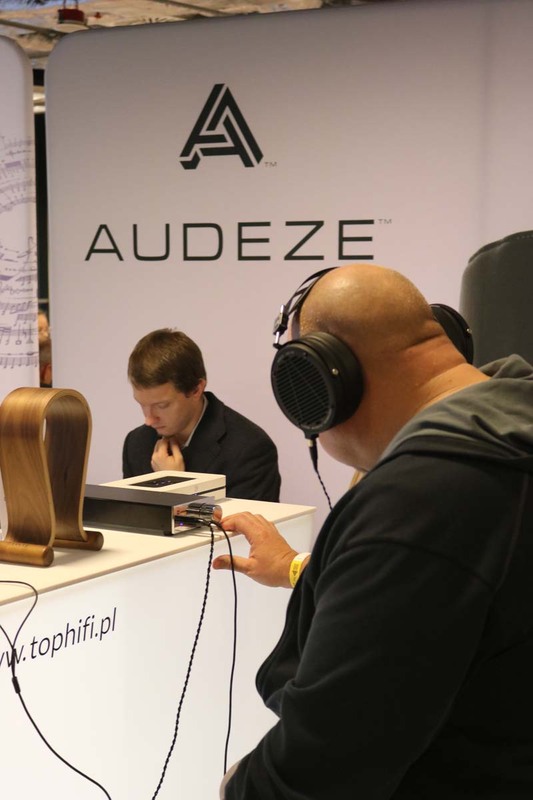 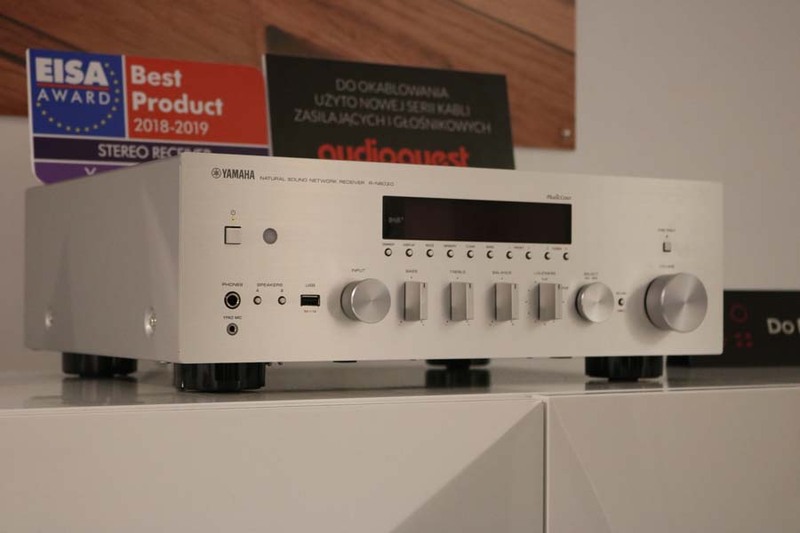 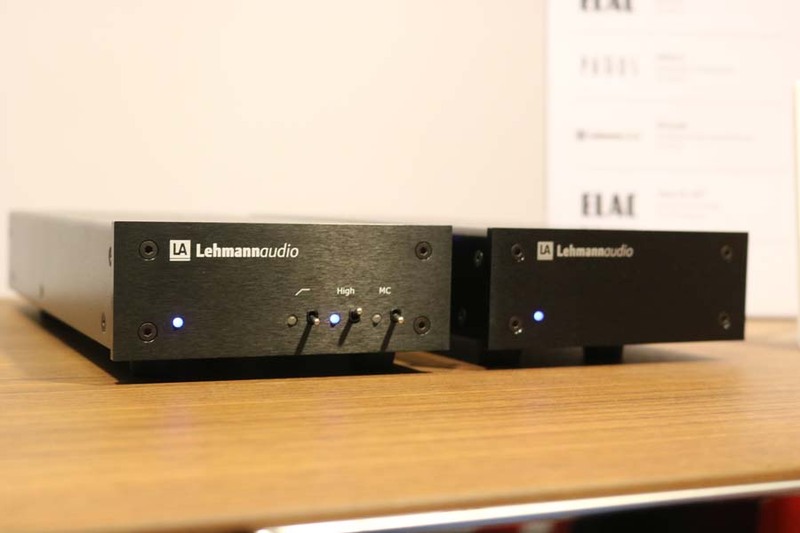 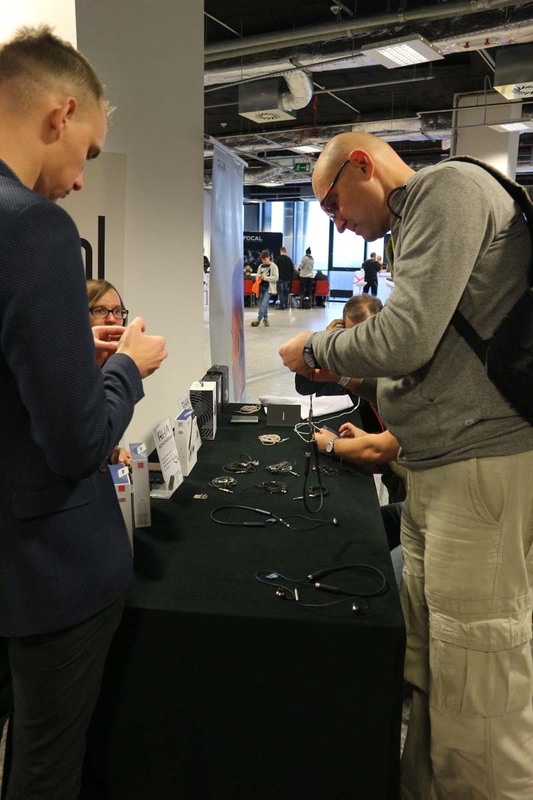 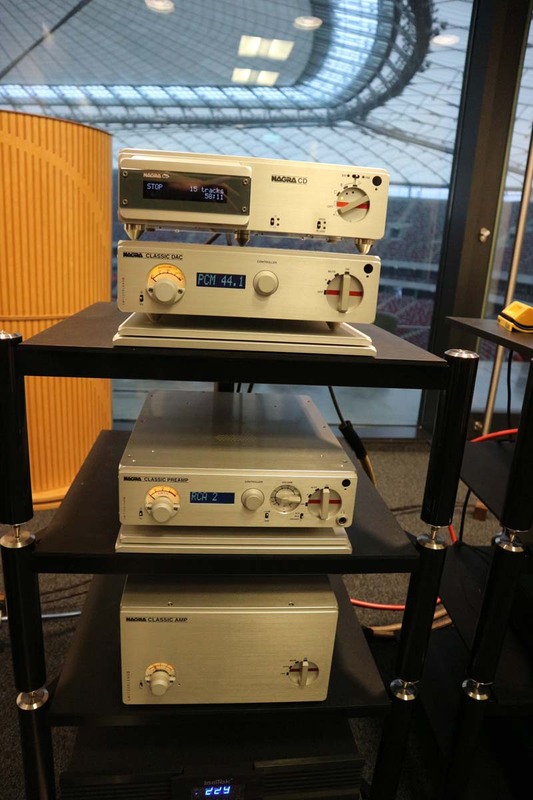 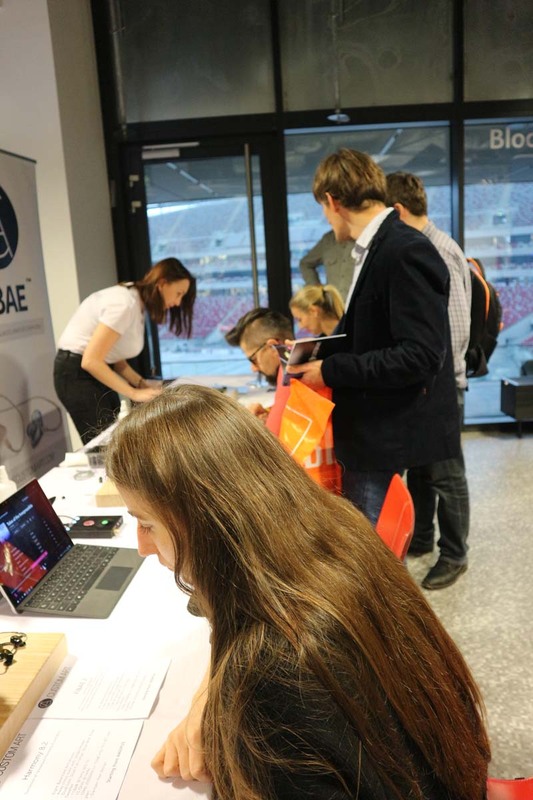 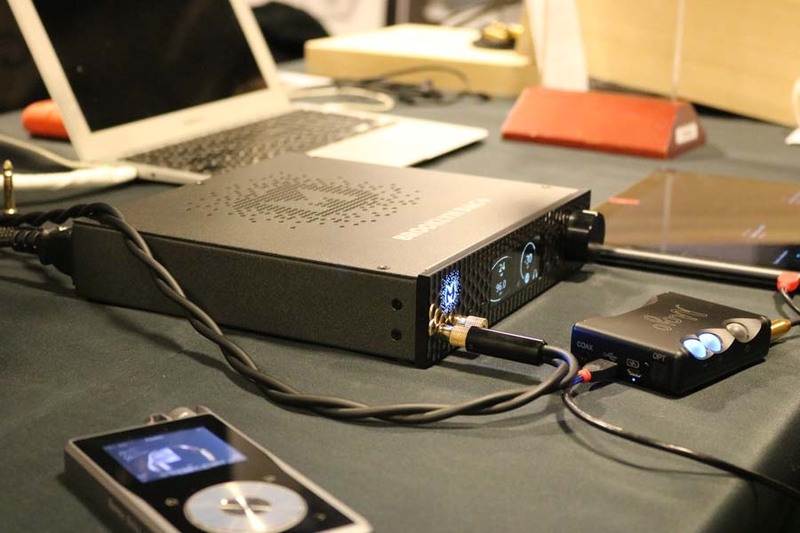 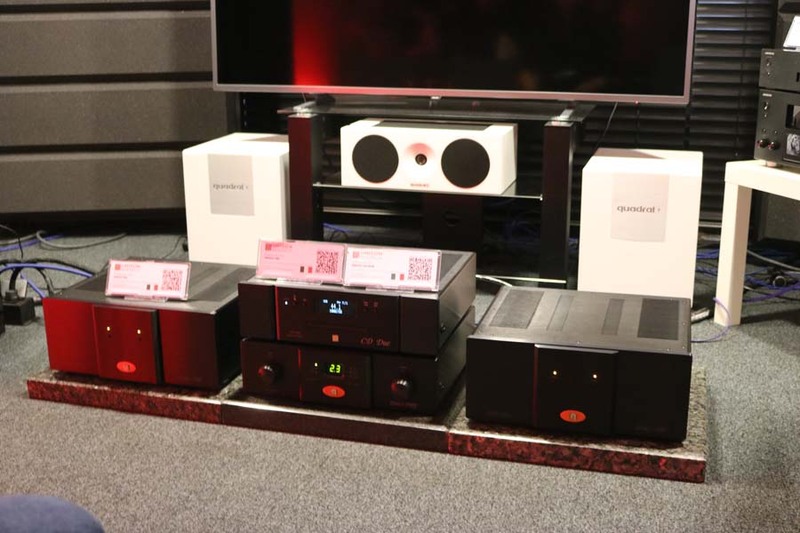 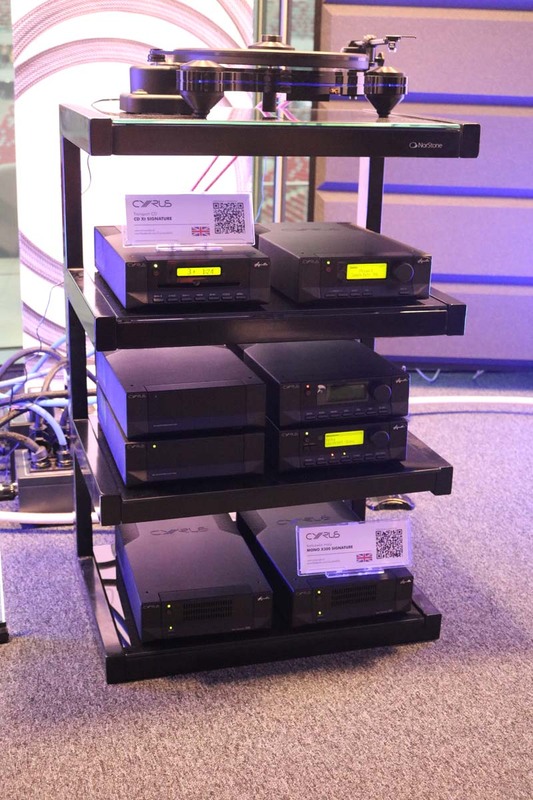 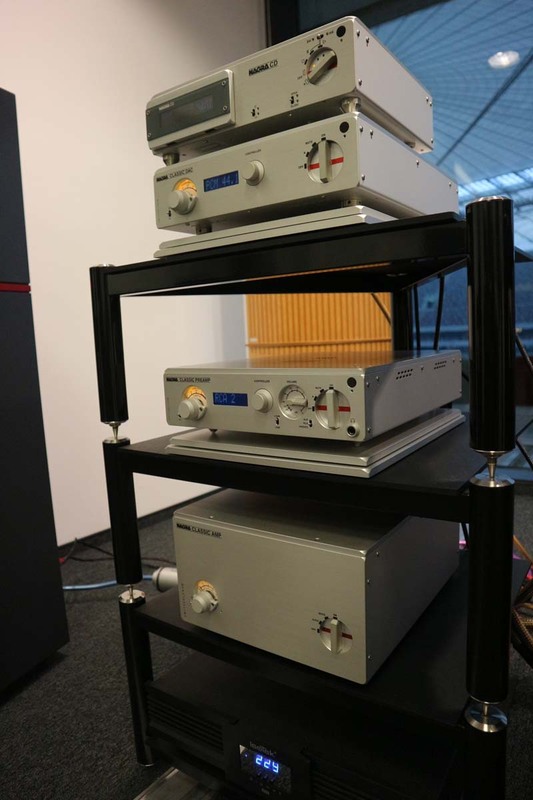 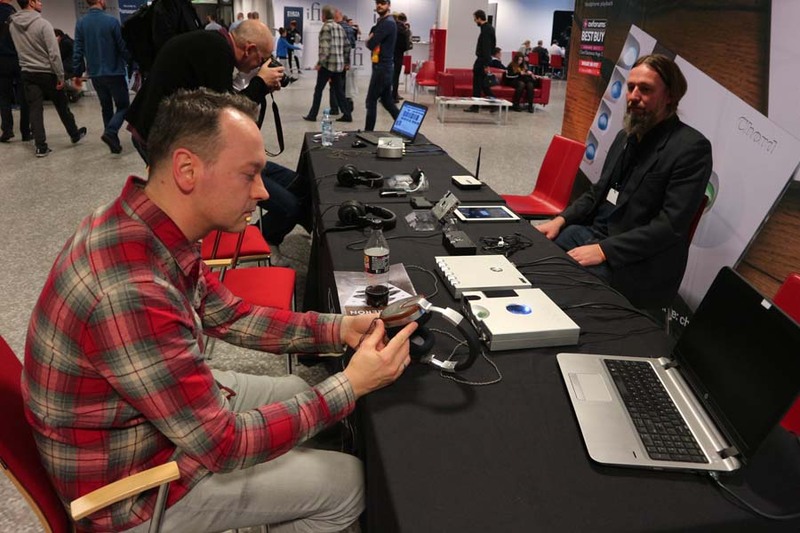 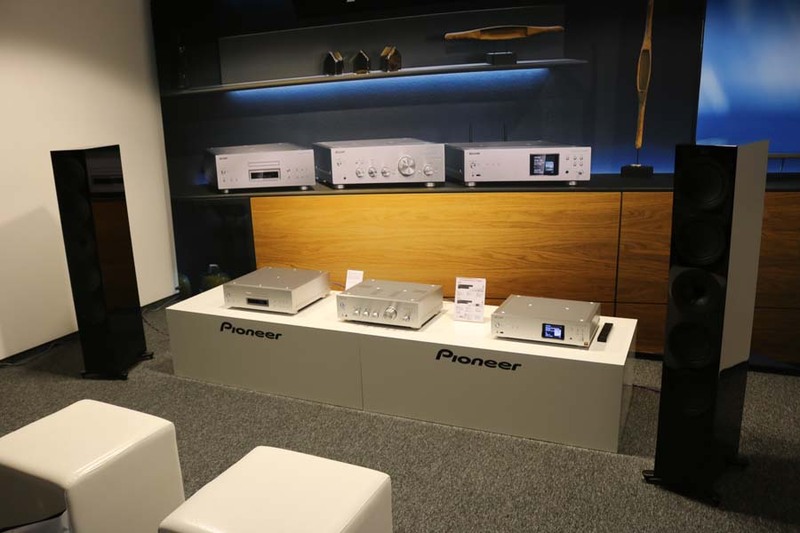 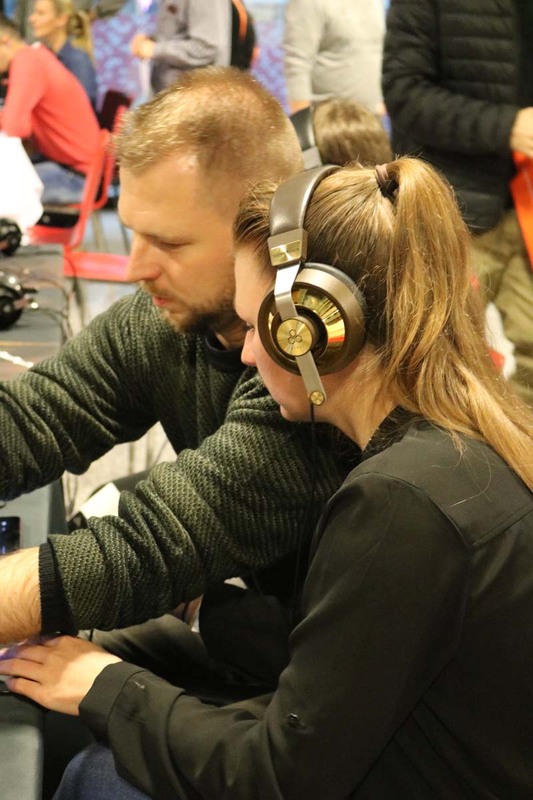 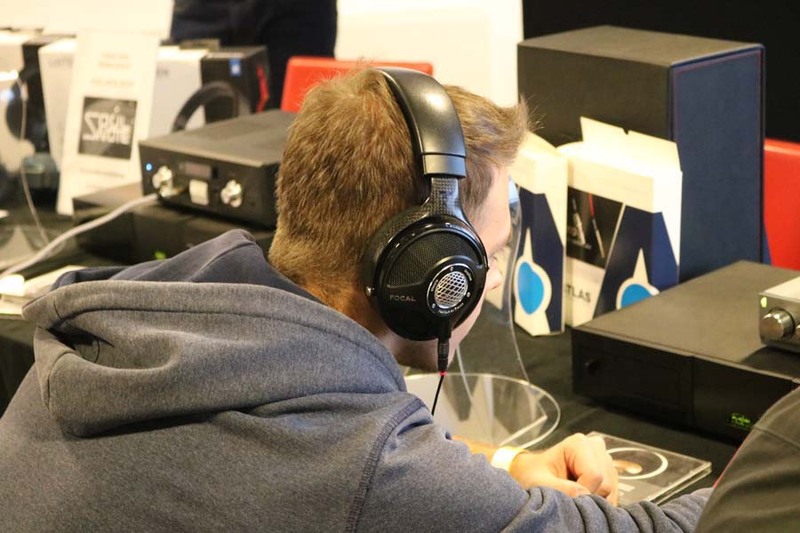 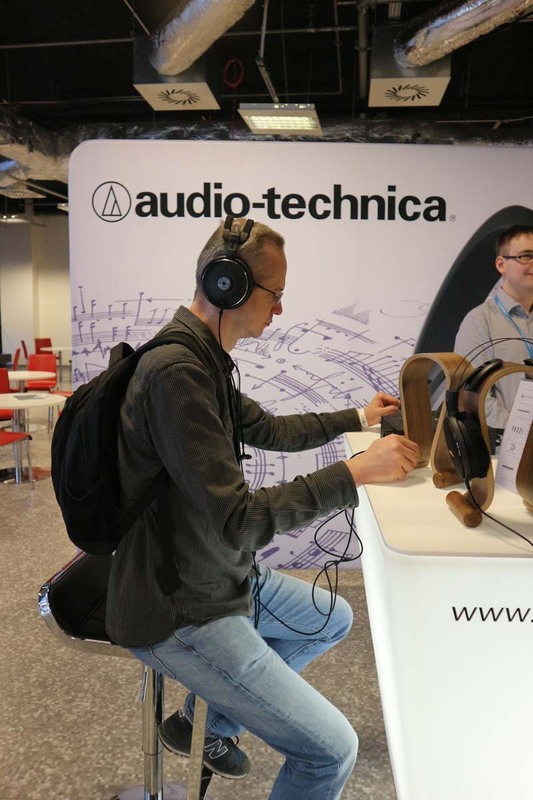 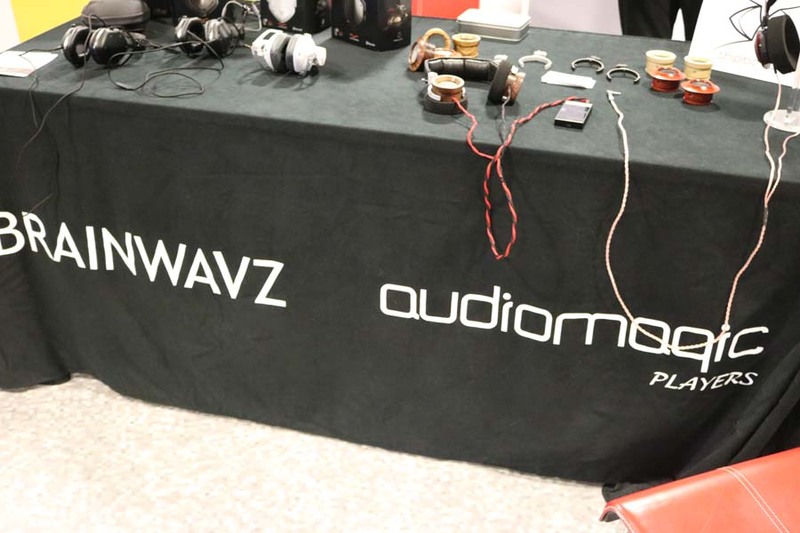 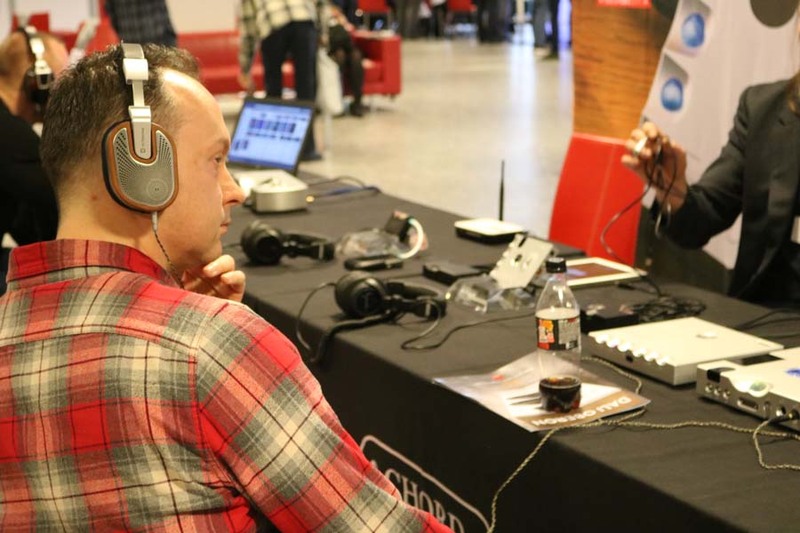 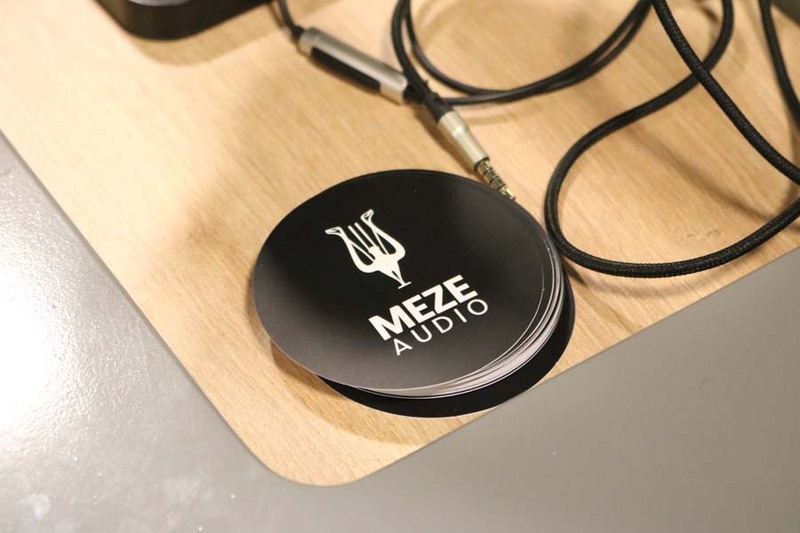 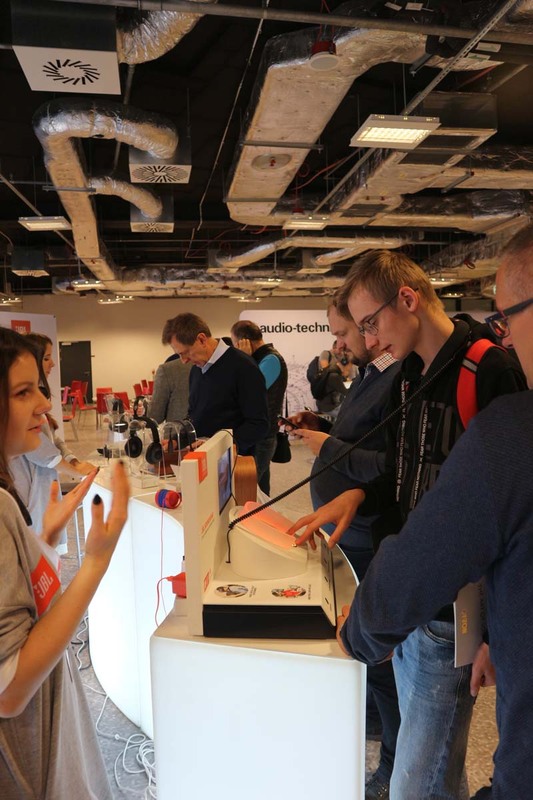 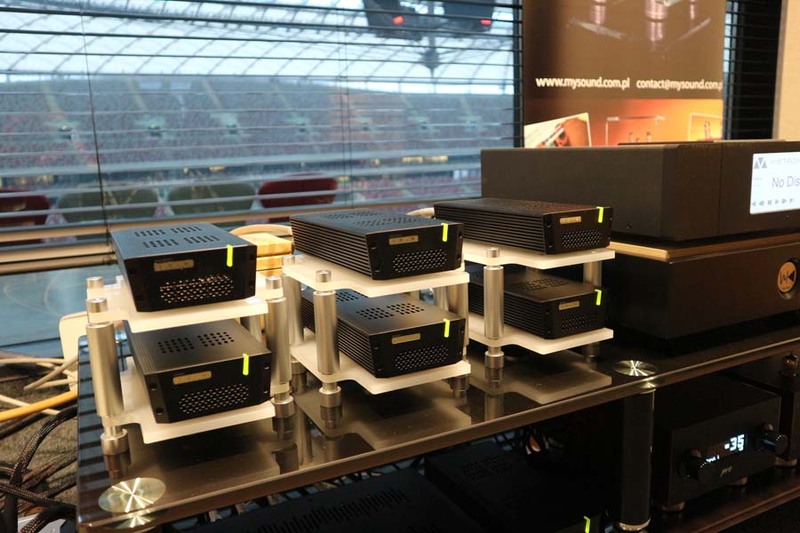 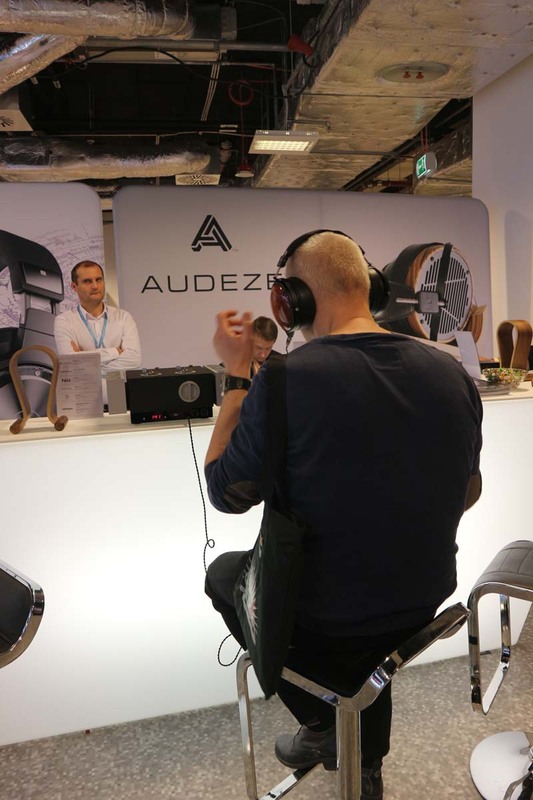 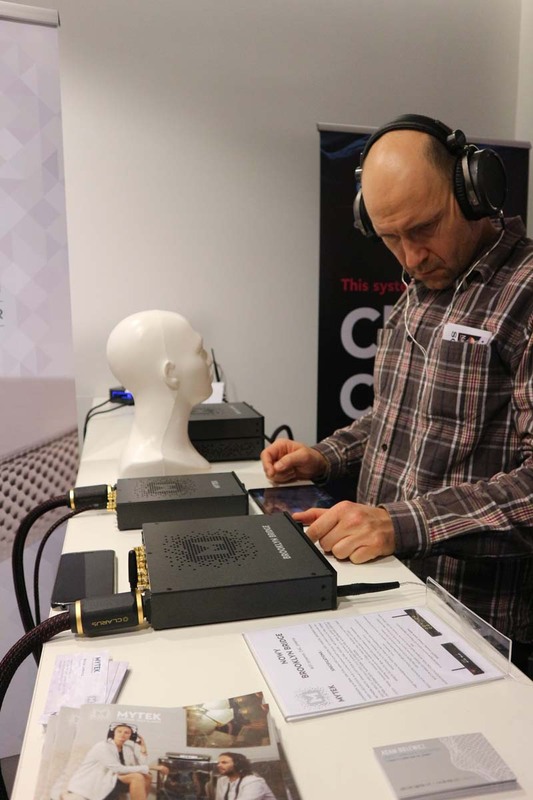 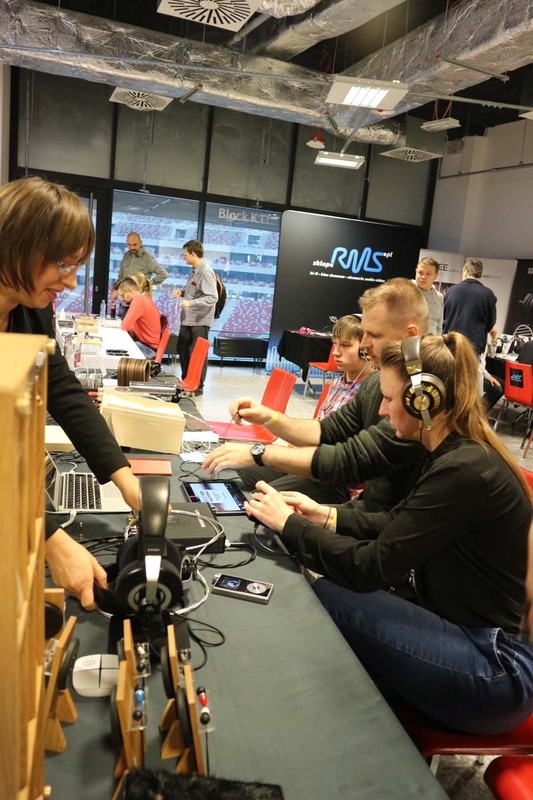 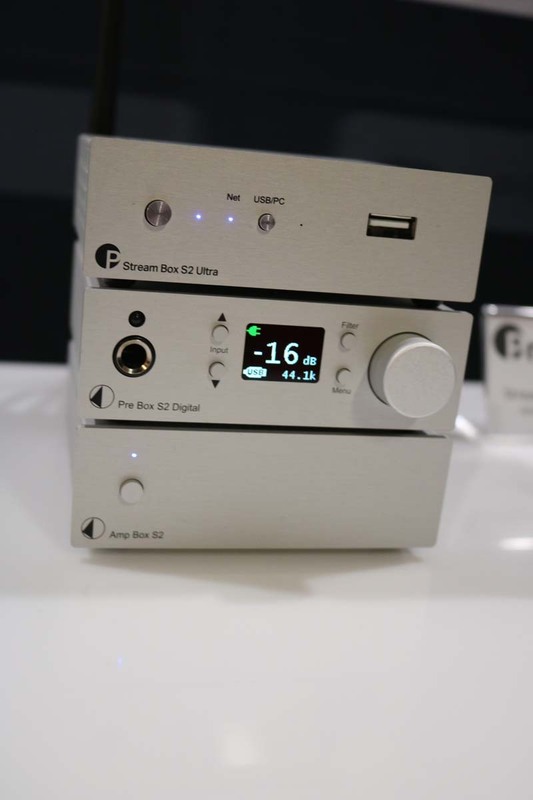 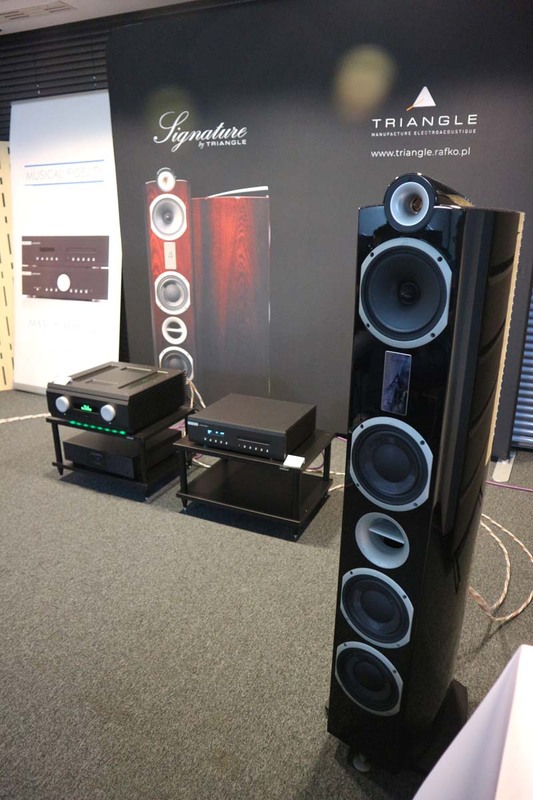 A very quick look around the headfi area of Audio Video Show Warsaw. 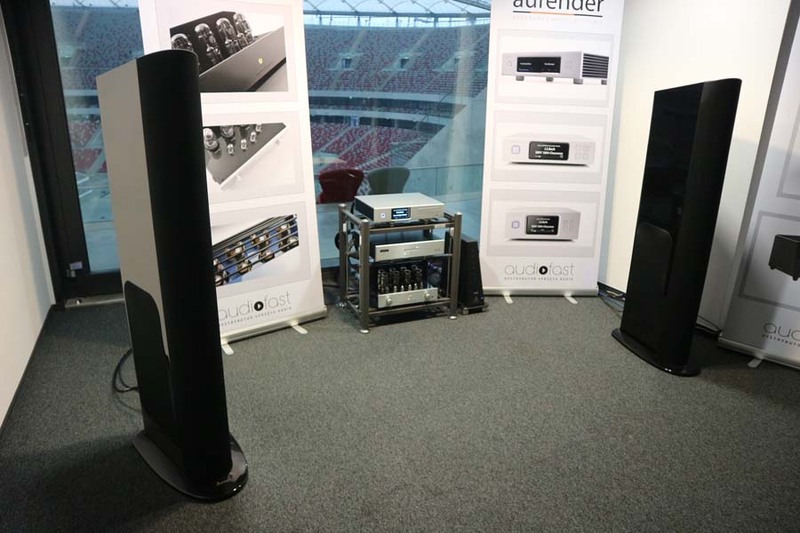 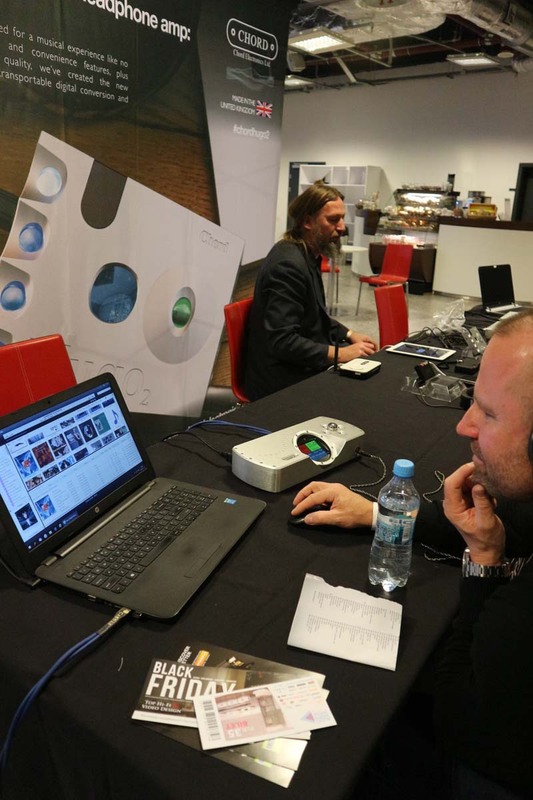 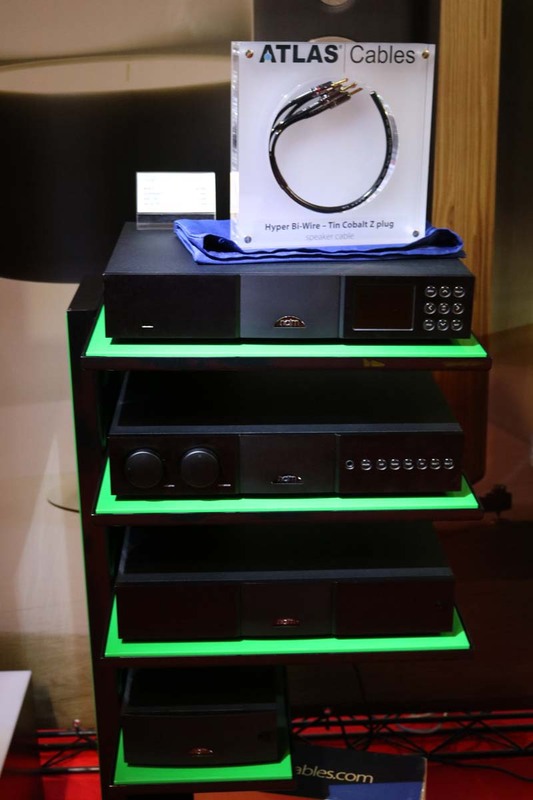 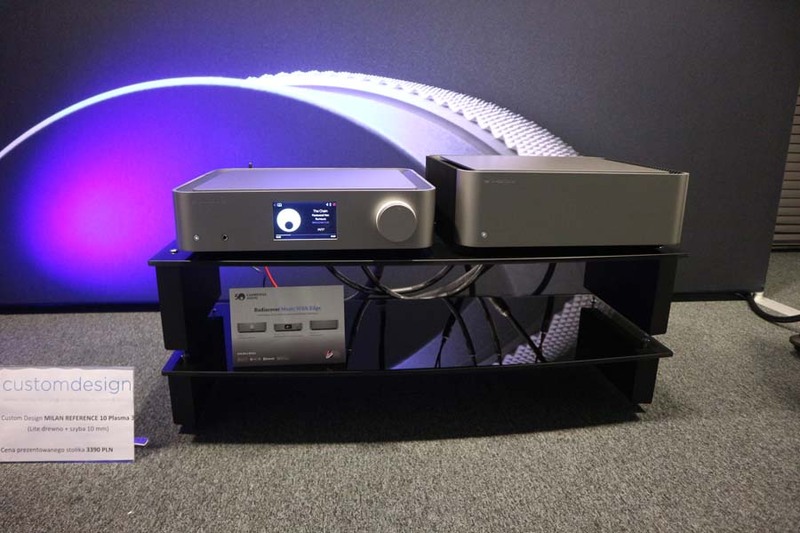 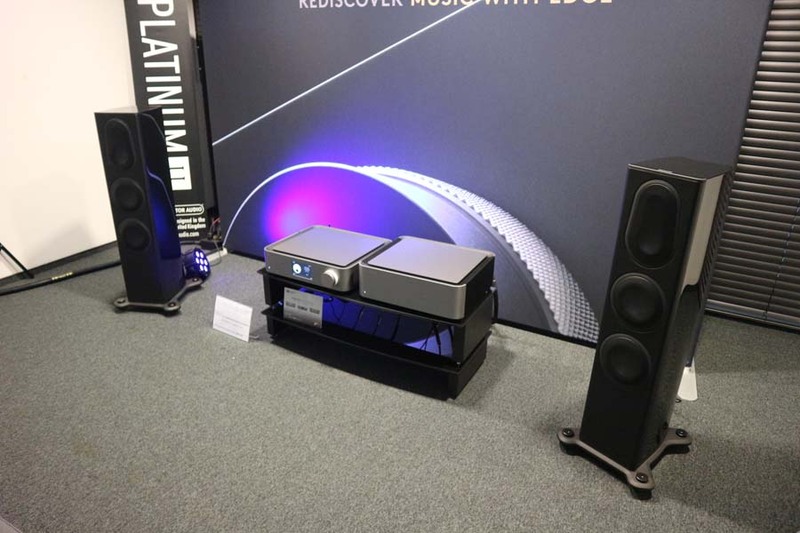 Thanks again to Adam who does such a great job organising the show,the exhibitors at Audio Video Show, Warsaw, the many visitors to the show that took time out to say hello to us and of course our readers for all their positive comments…not forgetting the team at Tellurium Q for sponsoring our coverage of what is a truly world-class Hifi show. 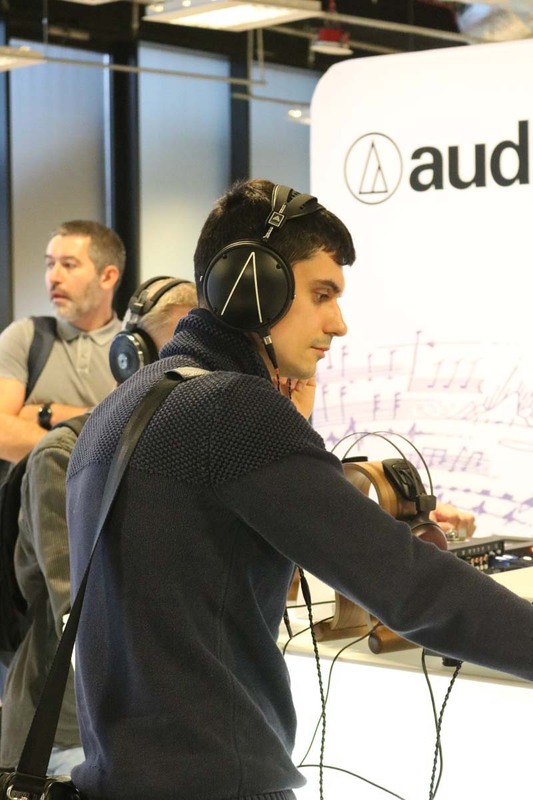 We look forward to attending and bringing you all the news from Audio Video Show 2019.